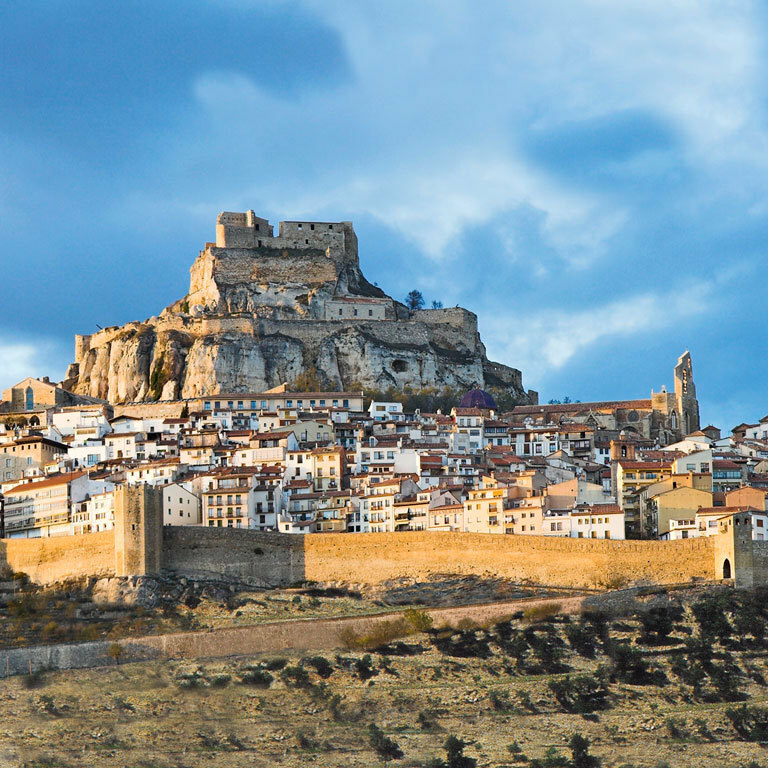 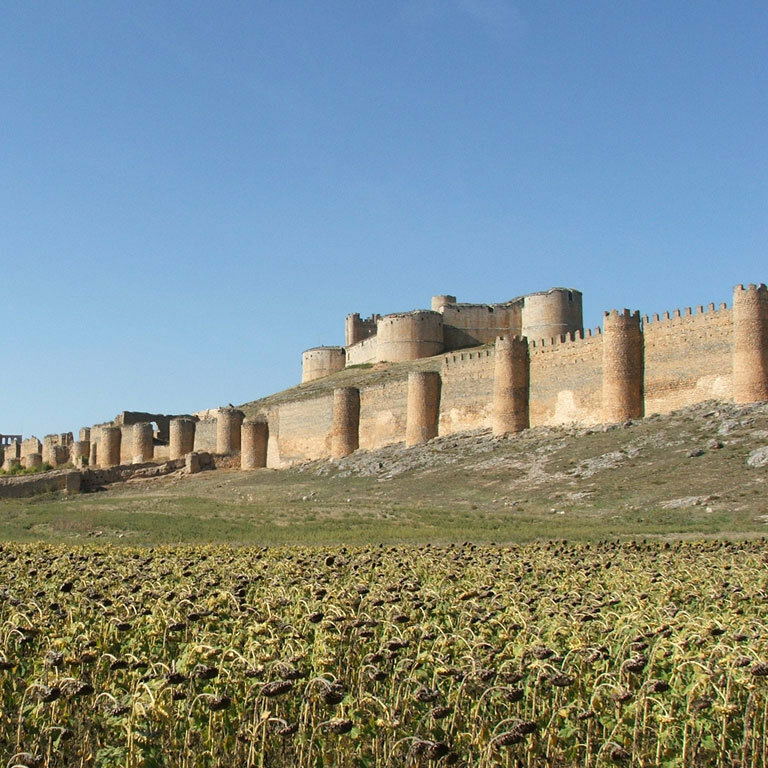 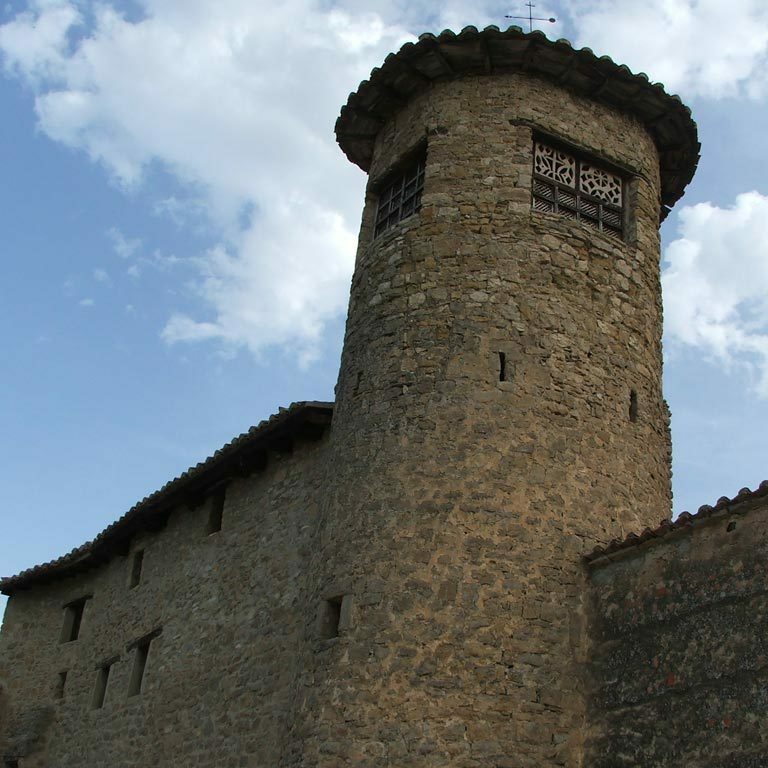 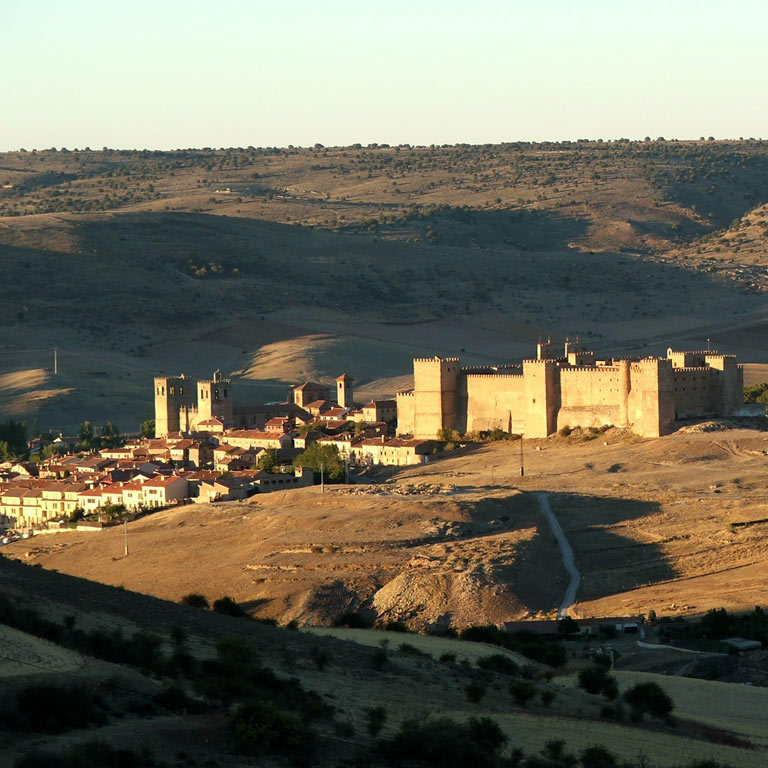 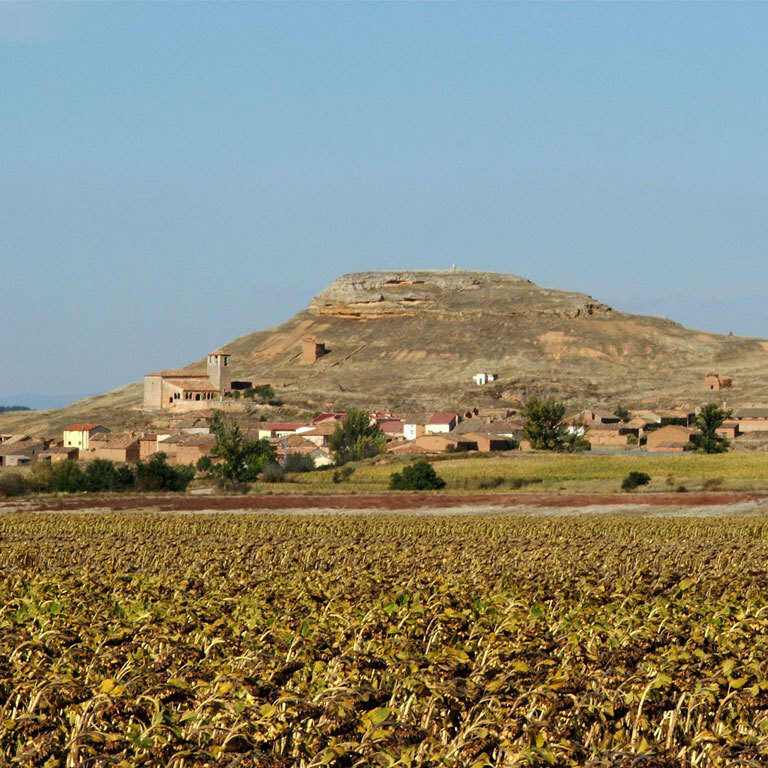 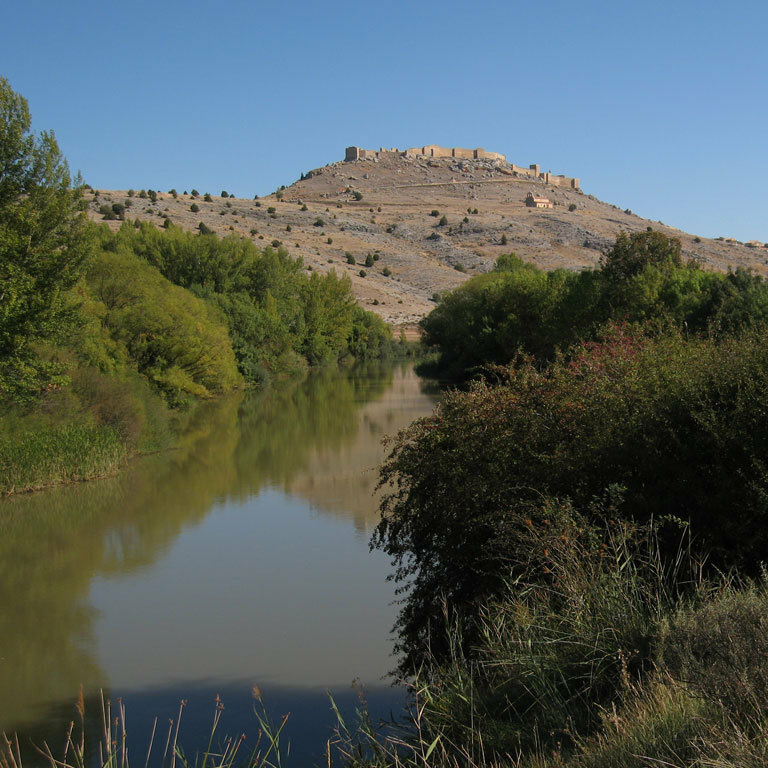 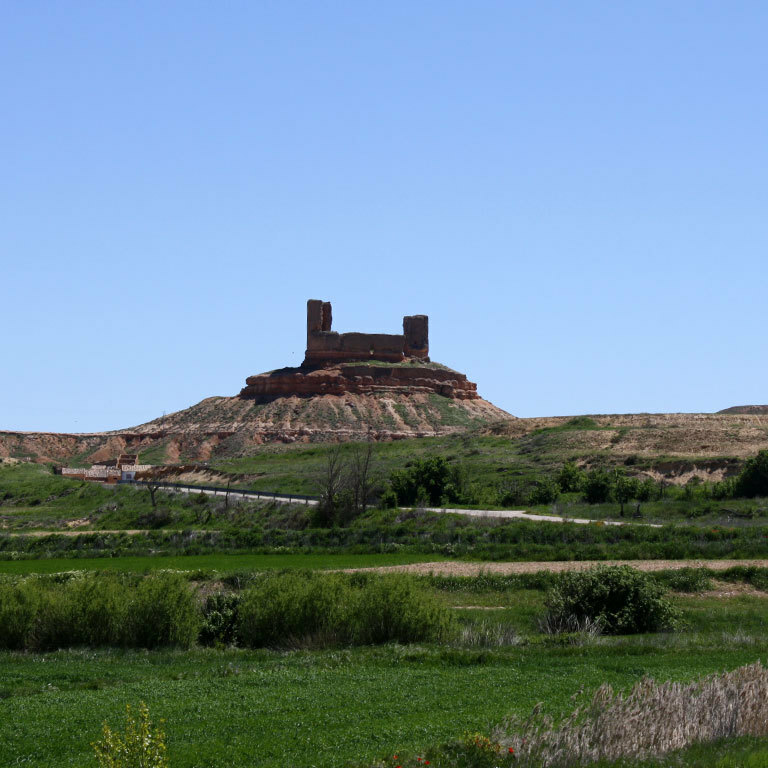 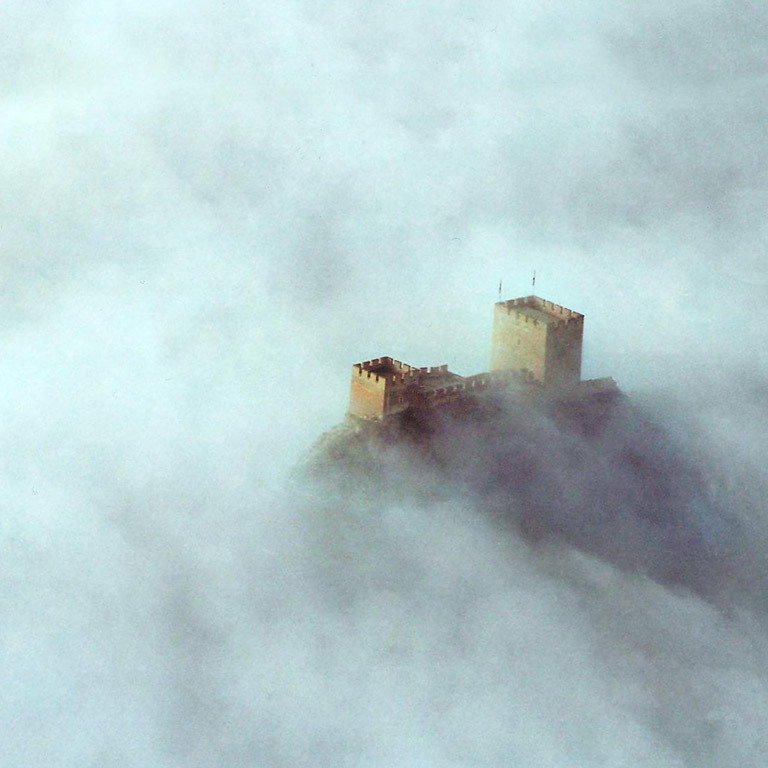 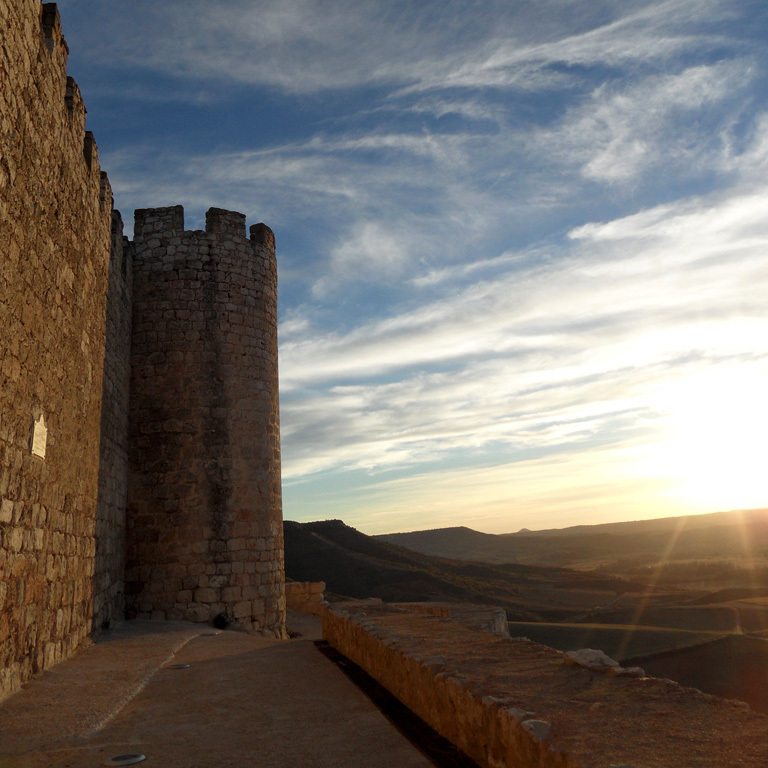 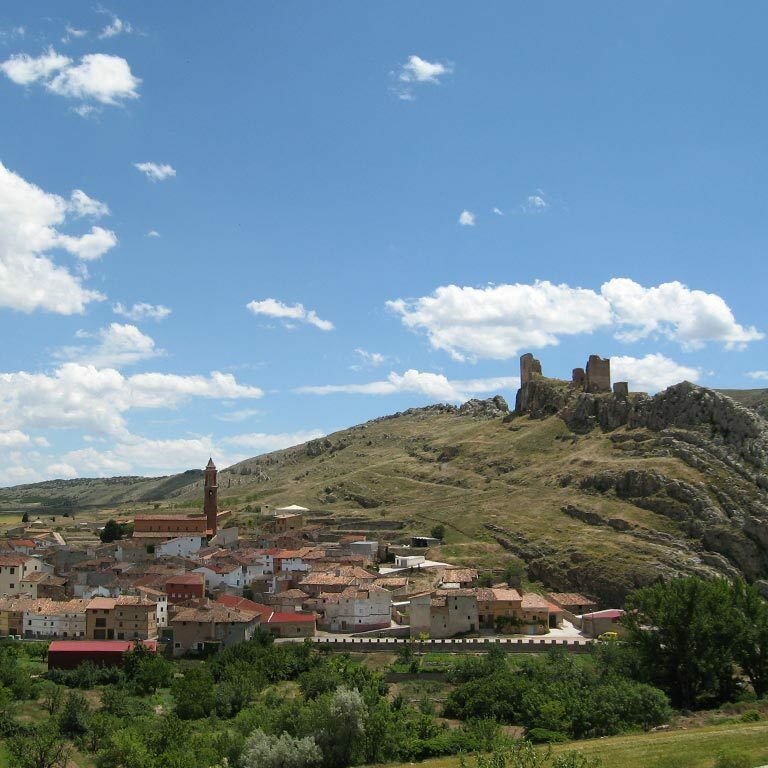 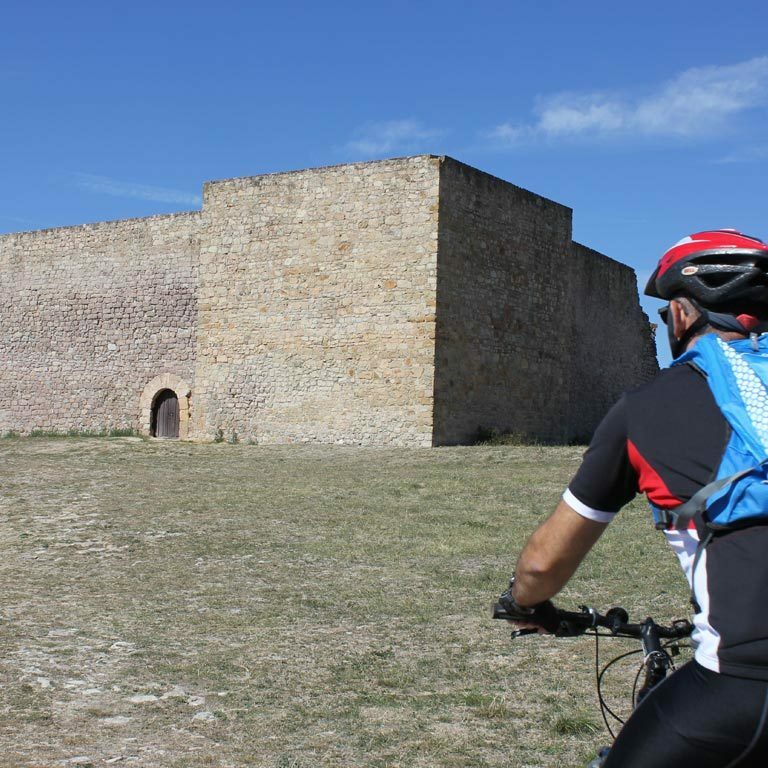 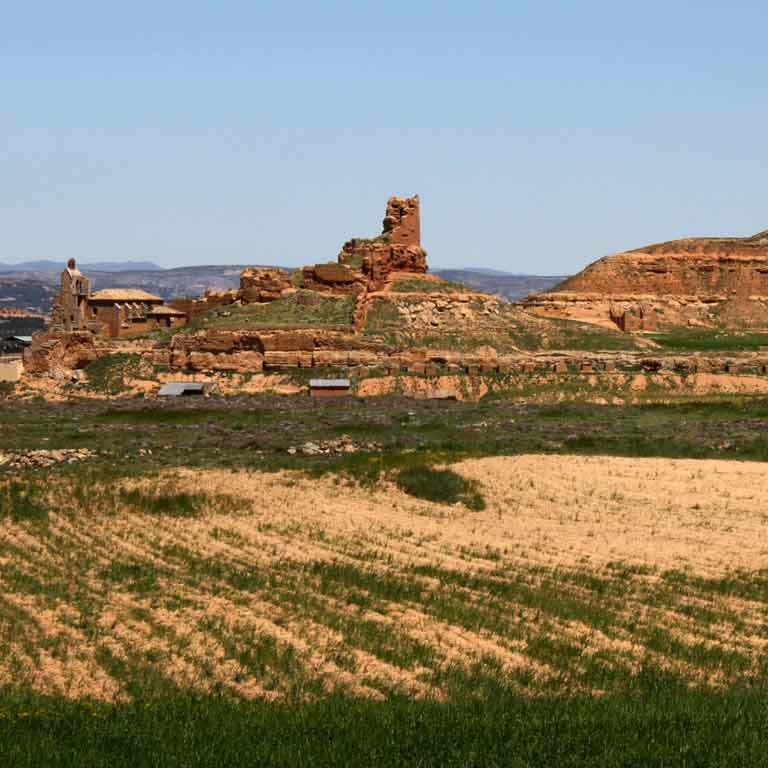 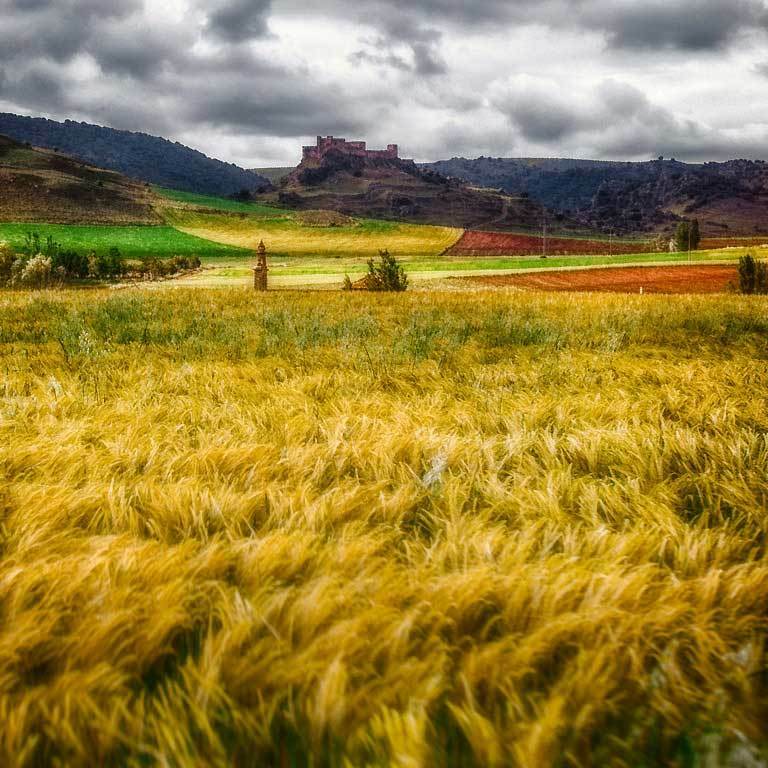 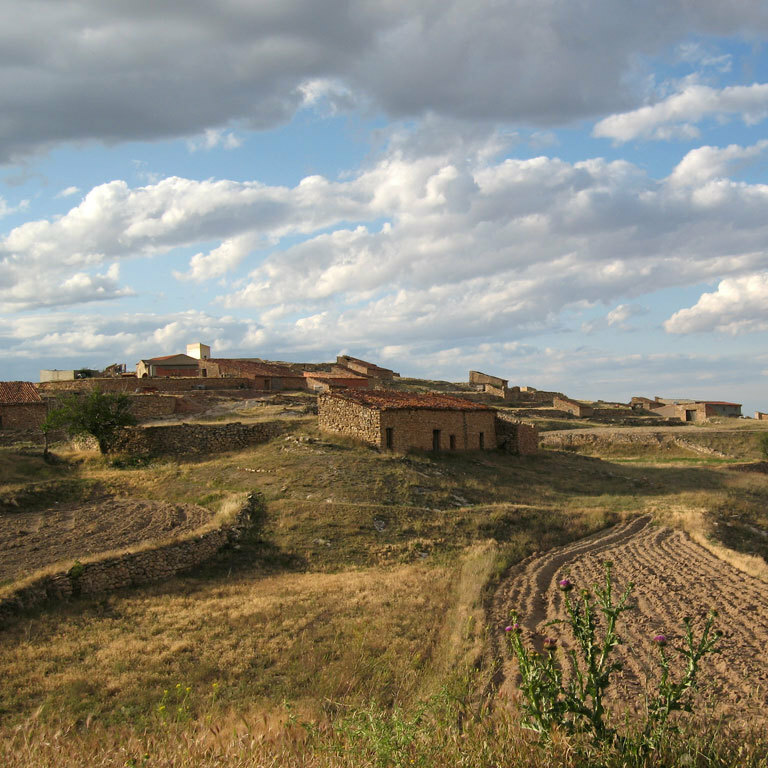 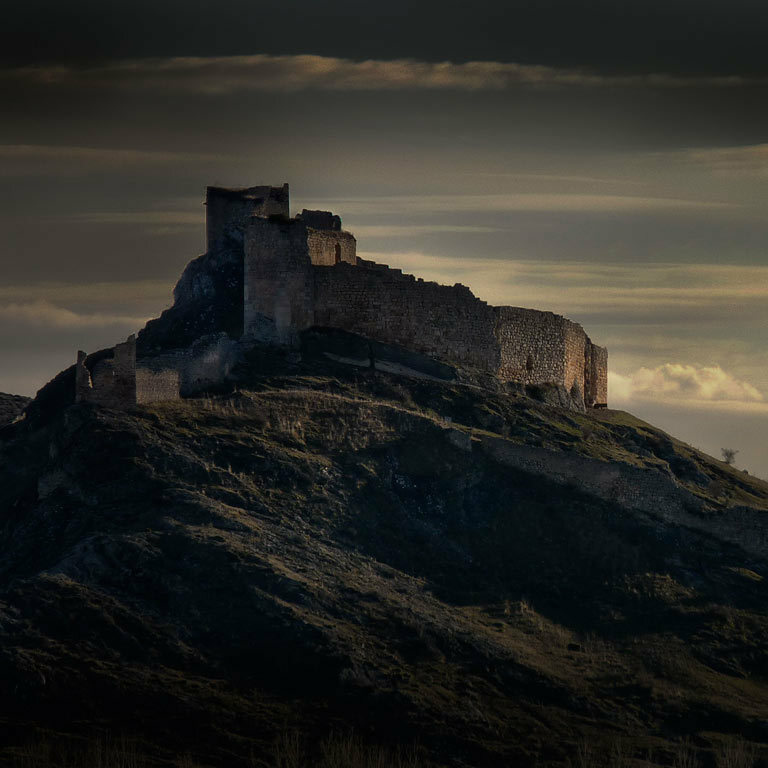 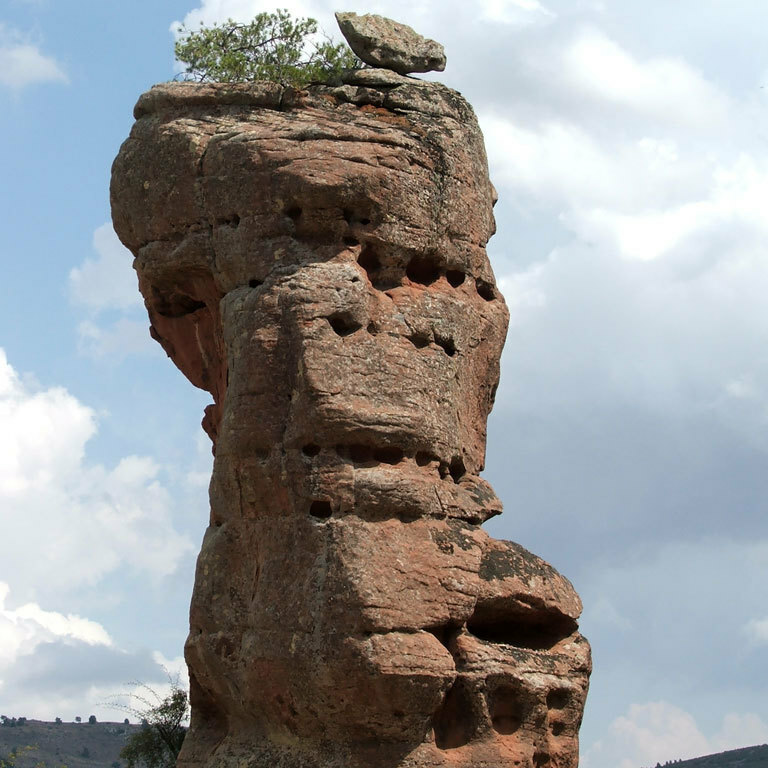 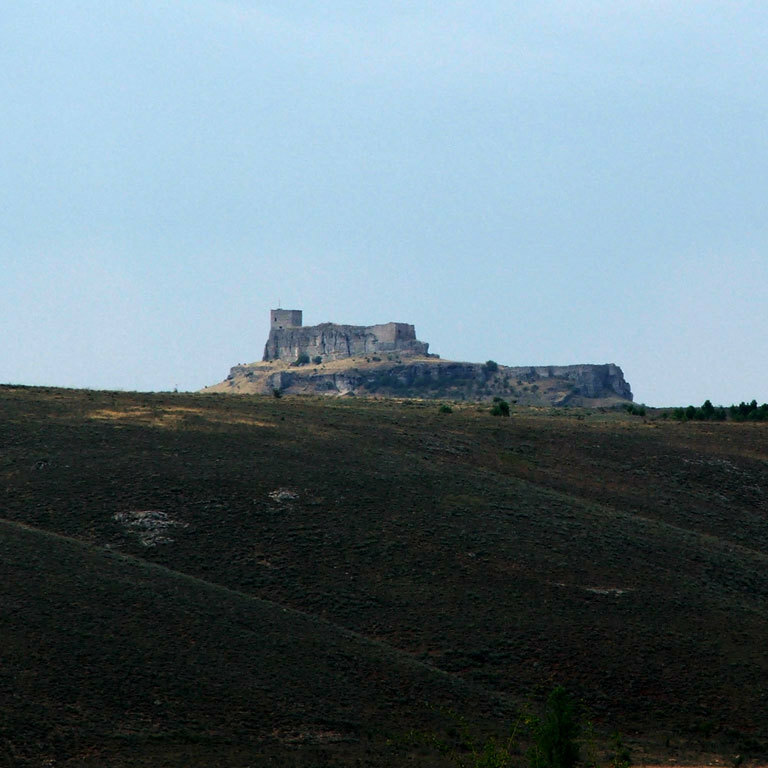 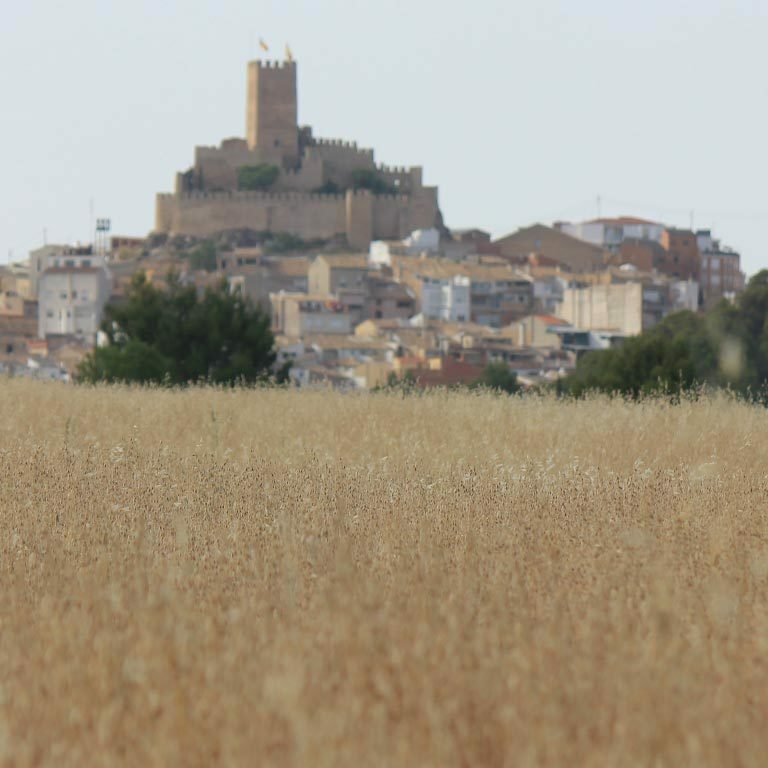 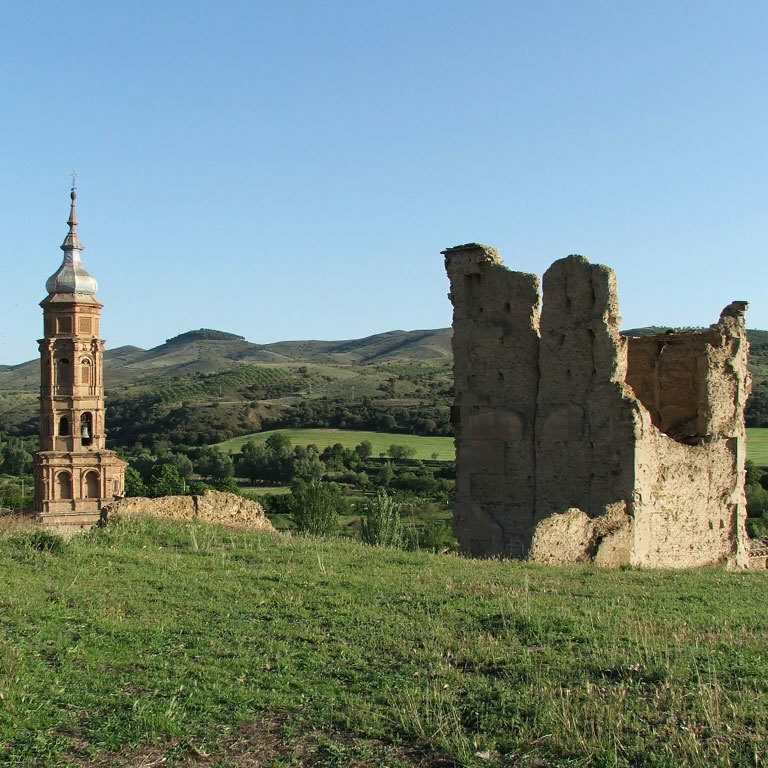 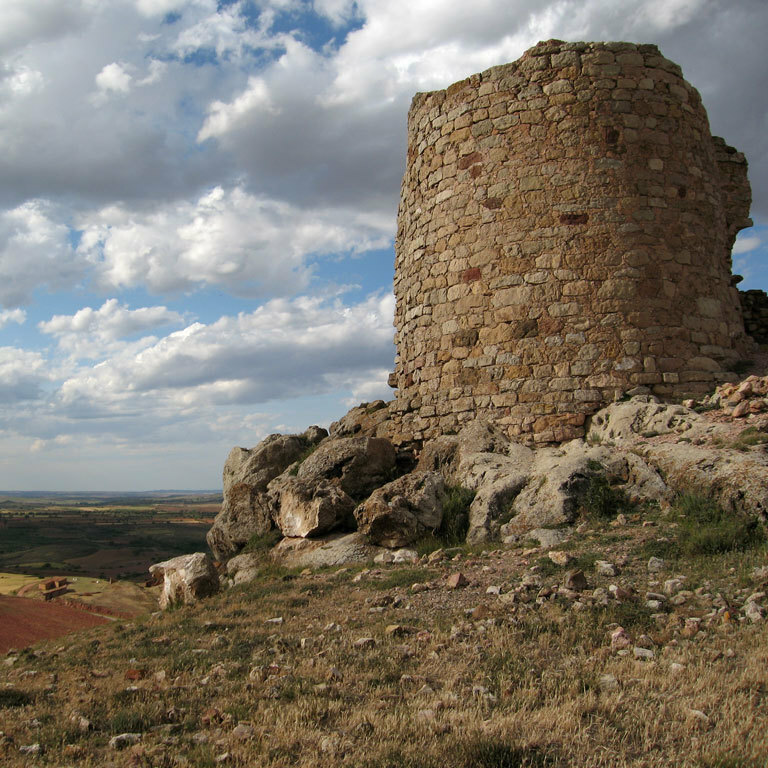 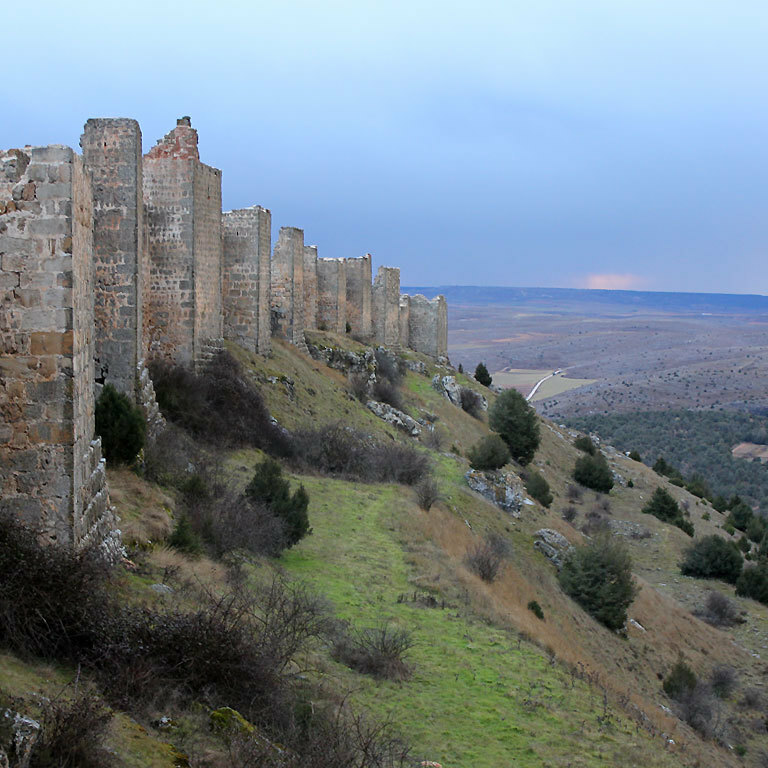 Gormaz Castle, Soria.Discover the Way of El Cid. 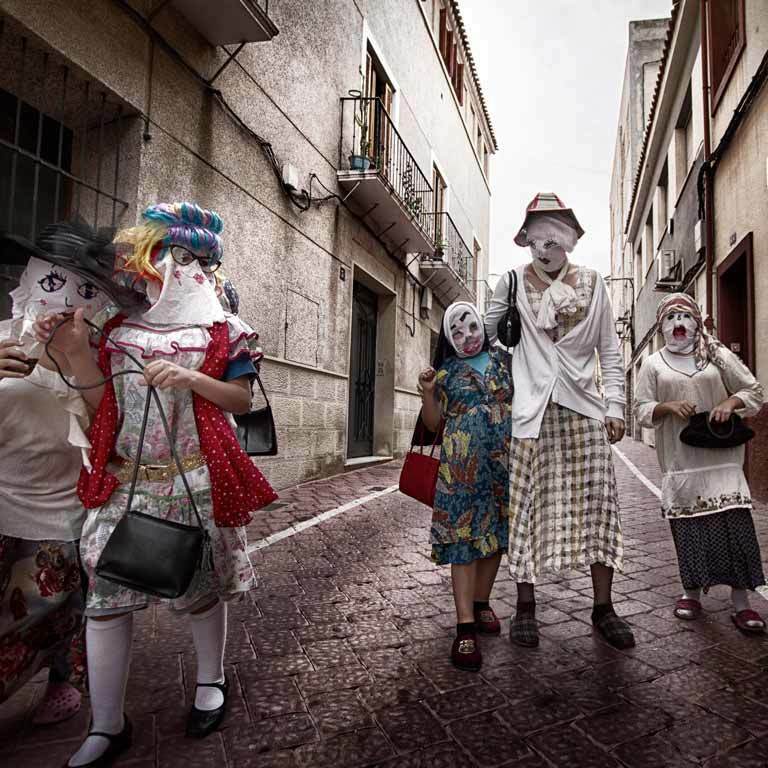 Here you have eight clues! 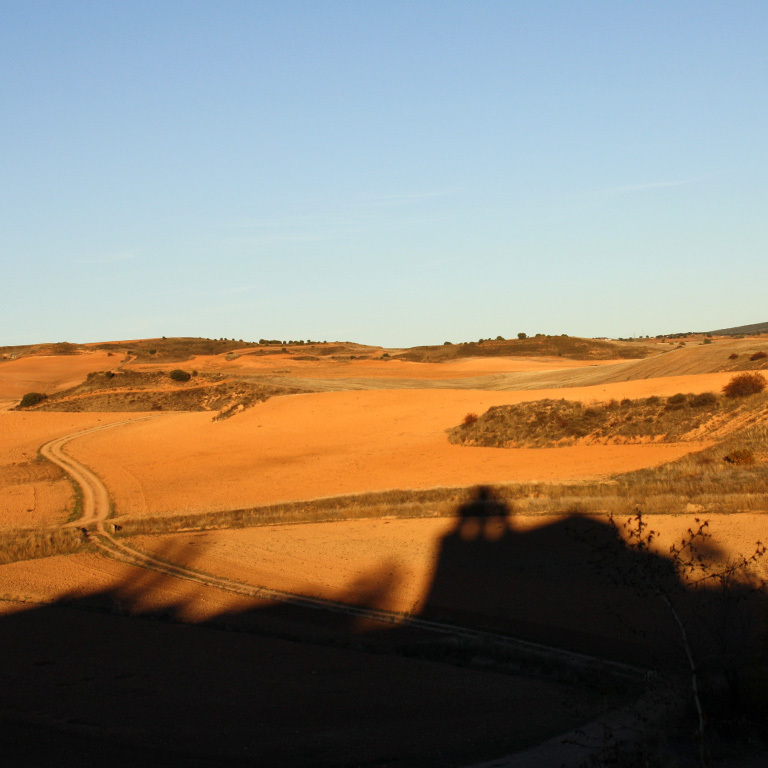 The Way of El Cid is a huge stage of over 2000 km crossing Spain from northwest to southeast. 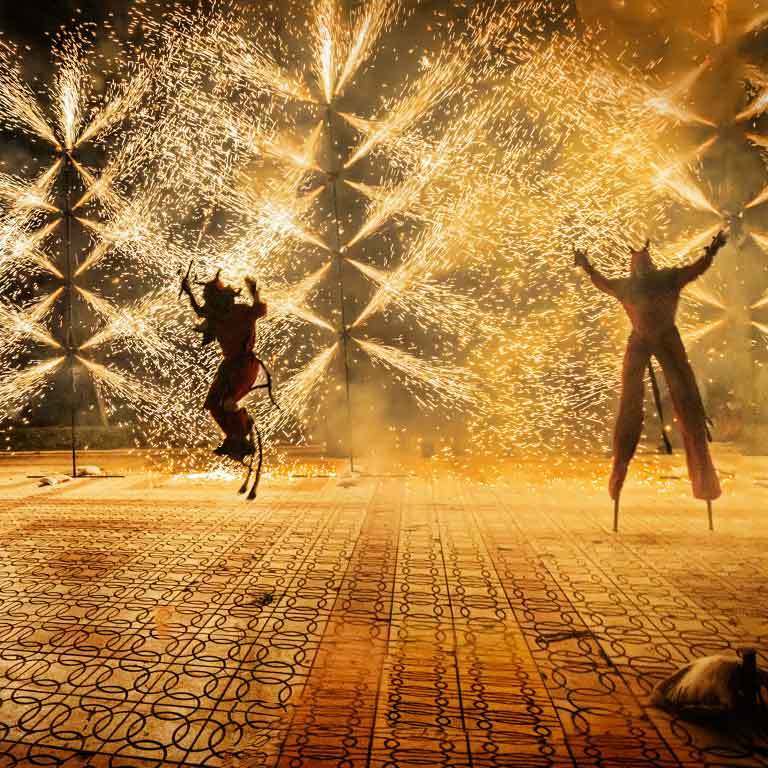 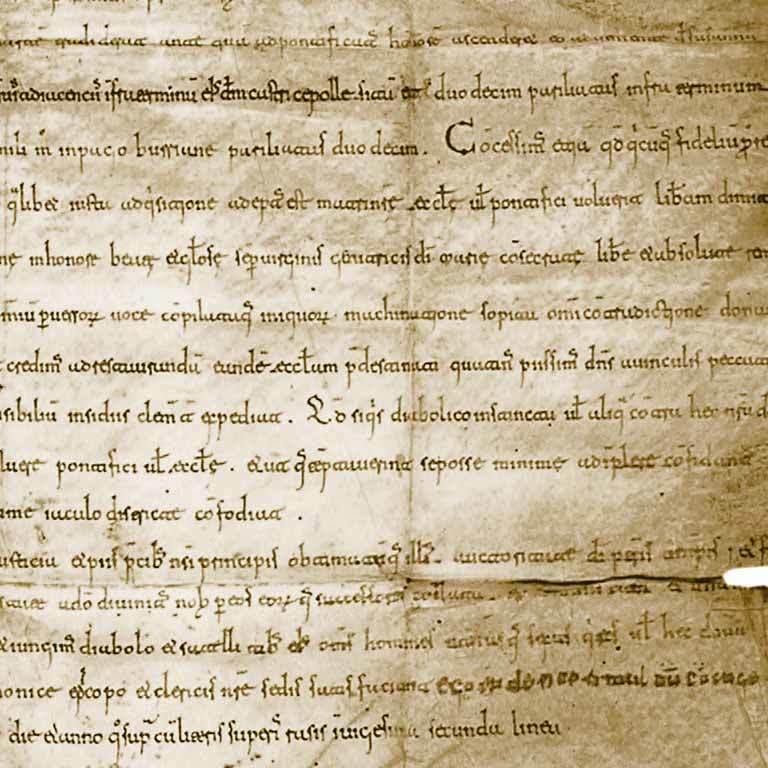 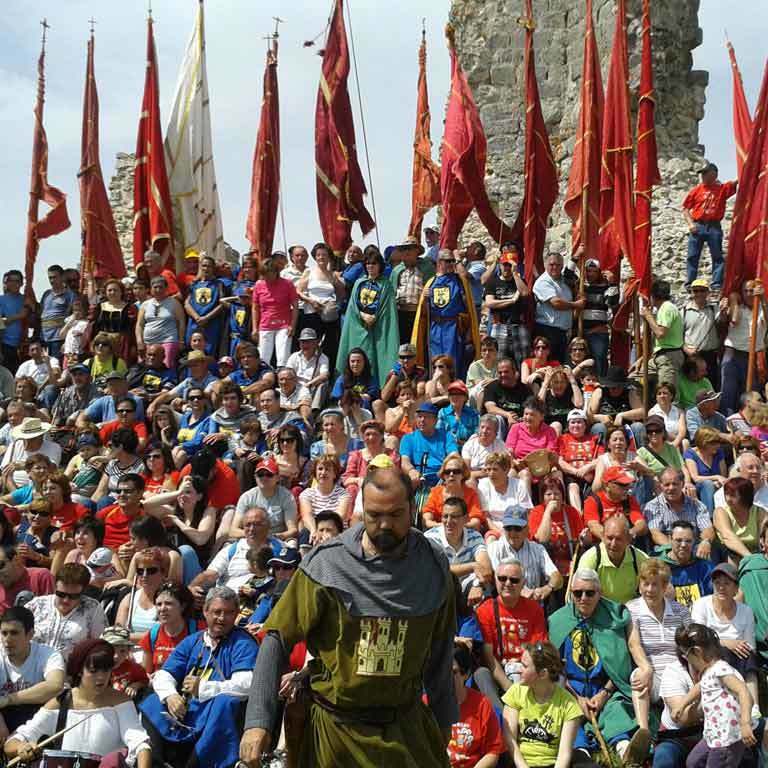 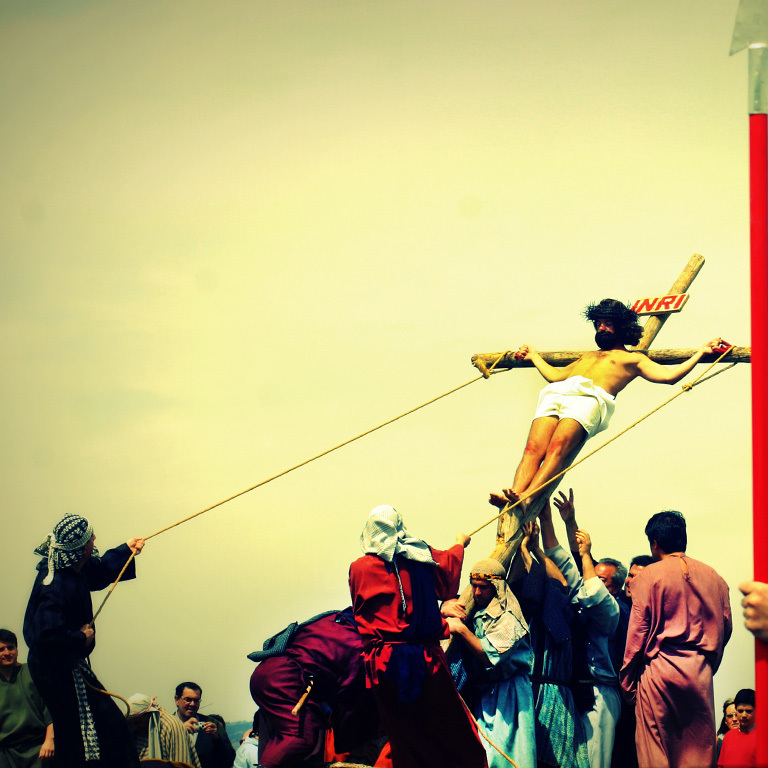 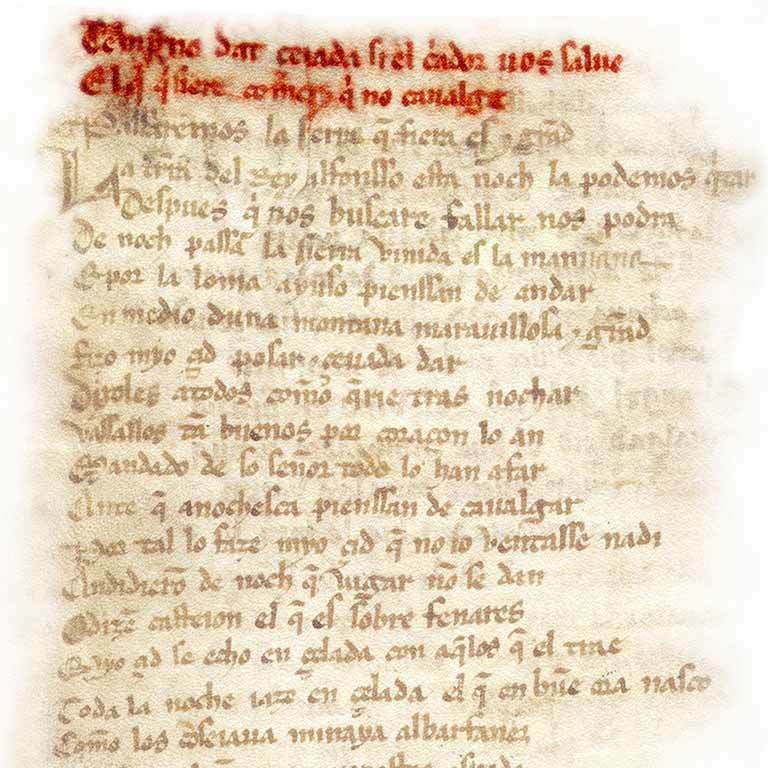 It recreates one of the greatest epic poems ever written in the Middle Ages: the Poem of The Cid. 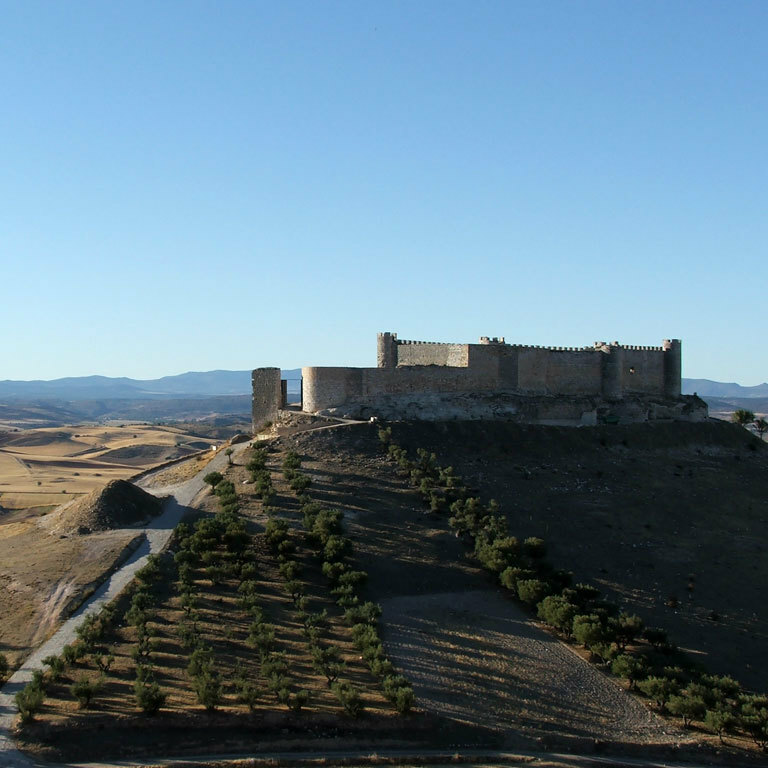 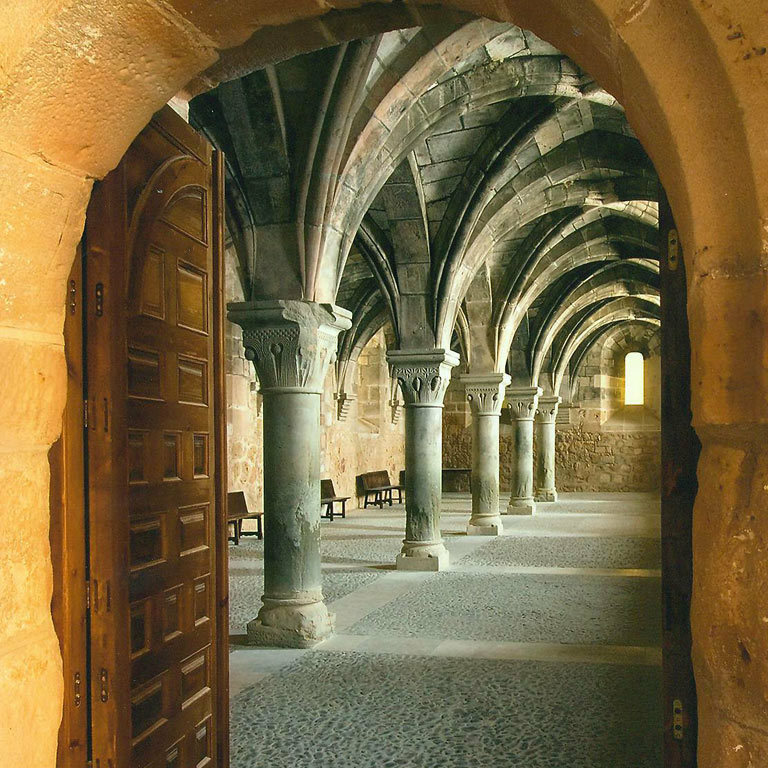 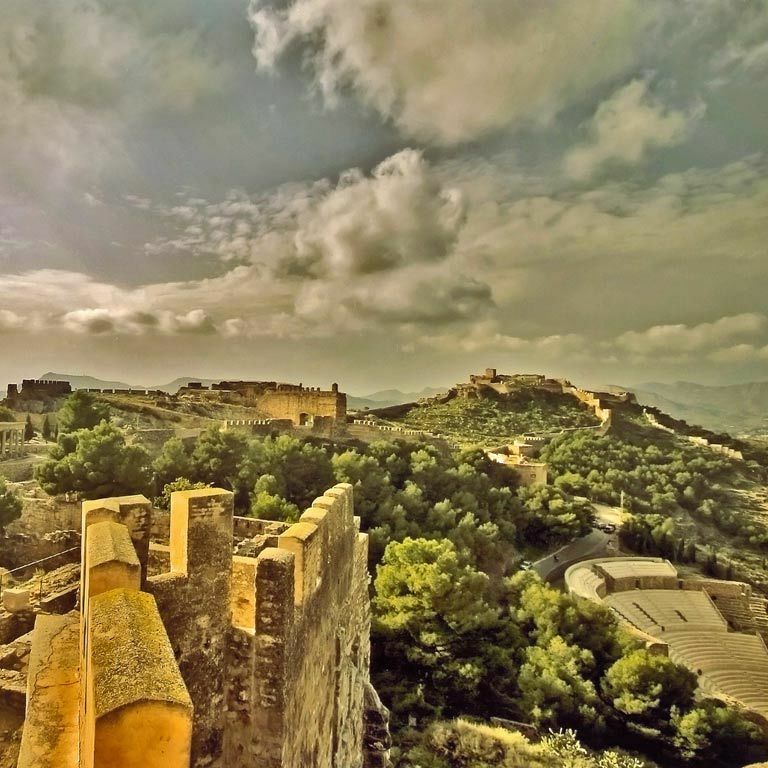 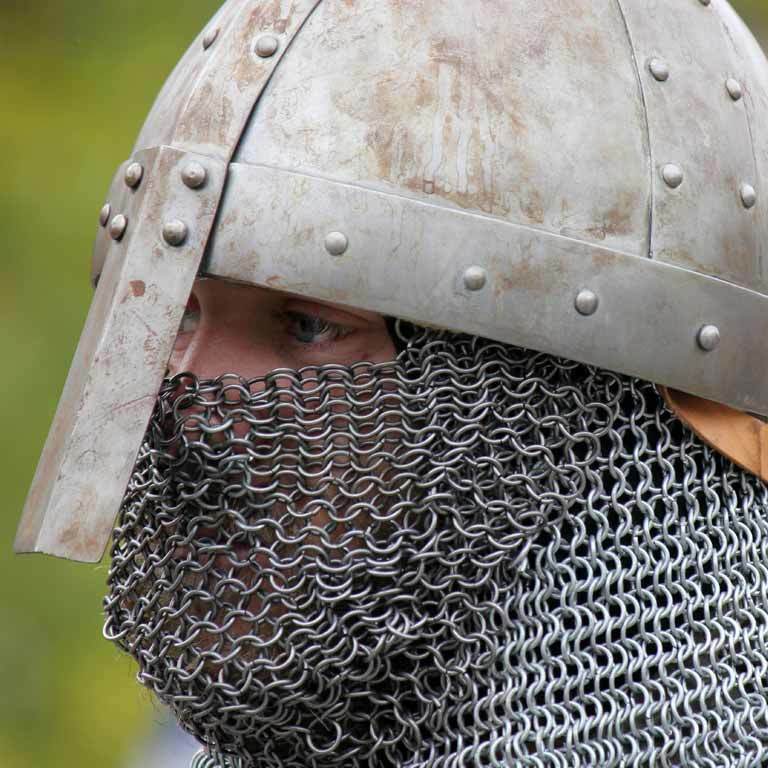 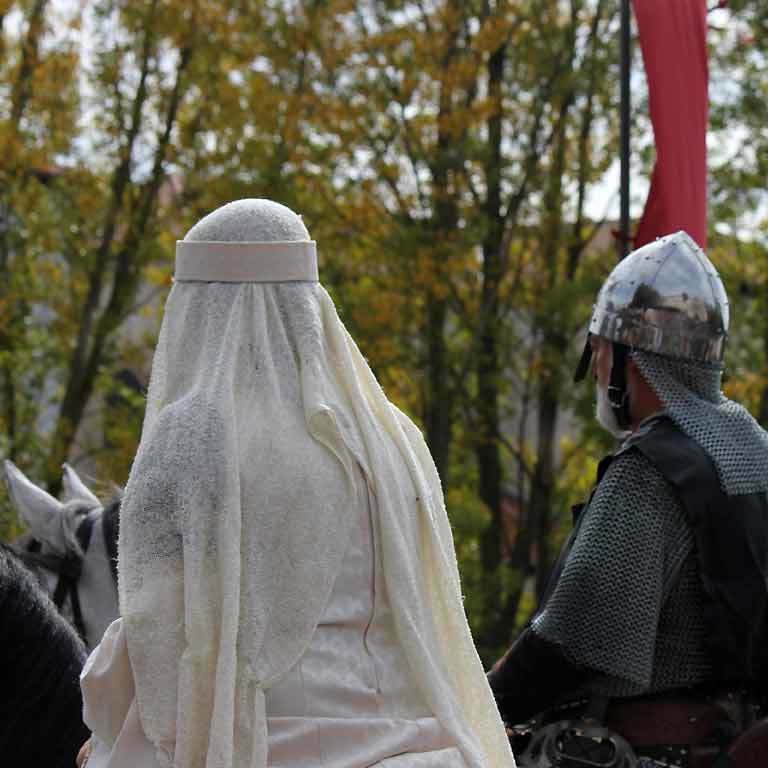 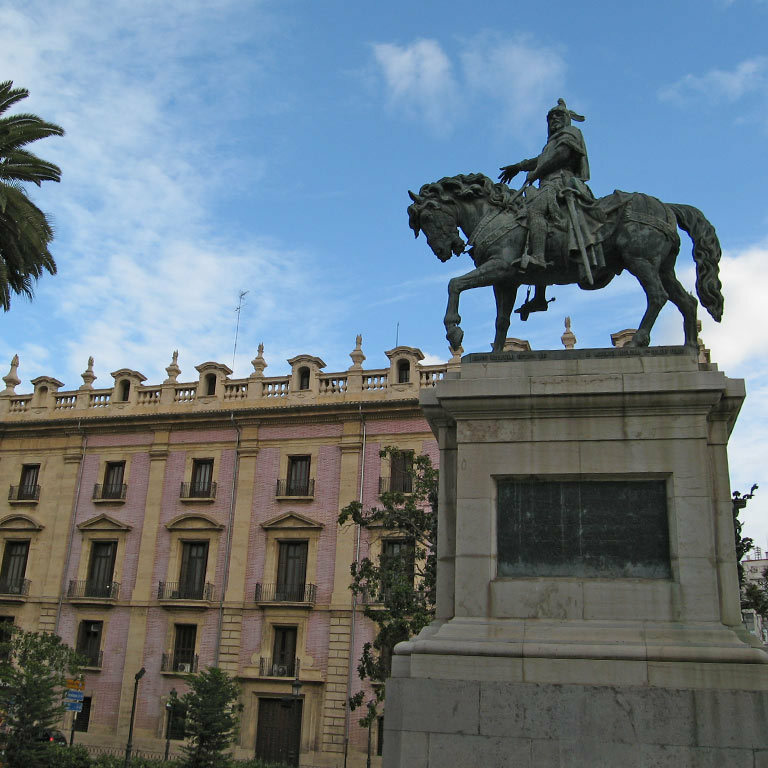 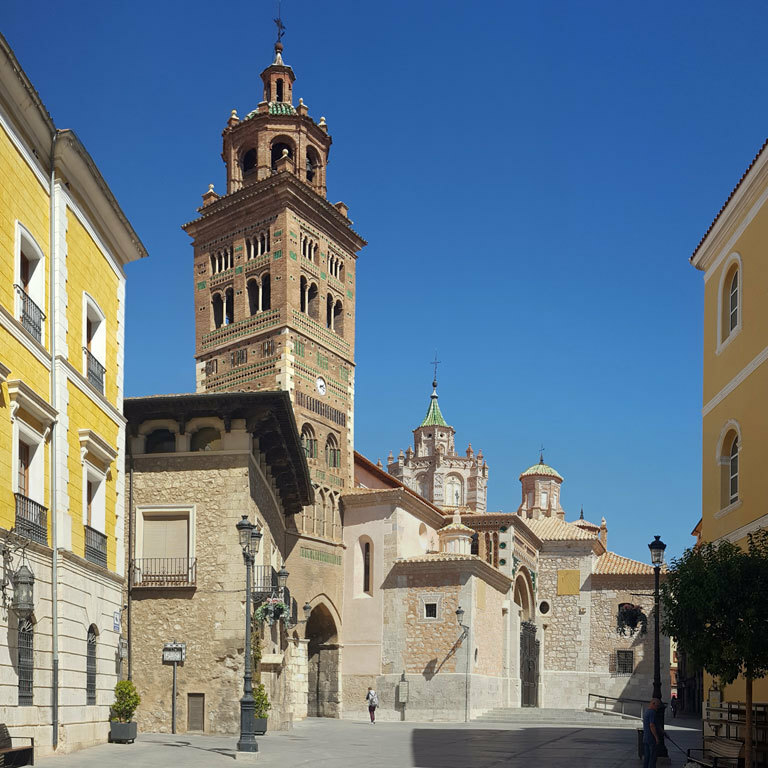 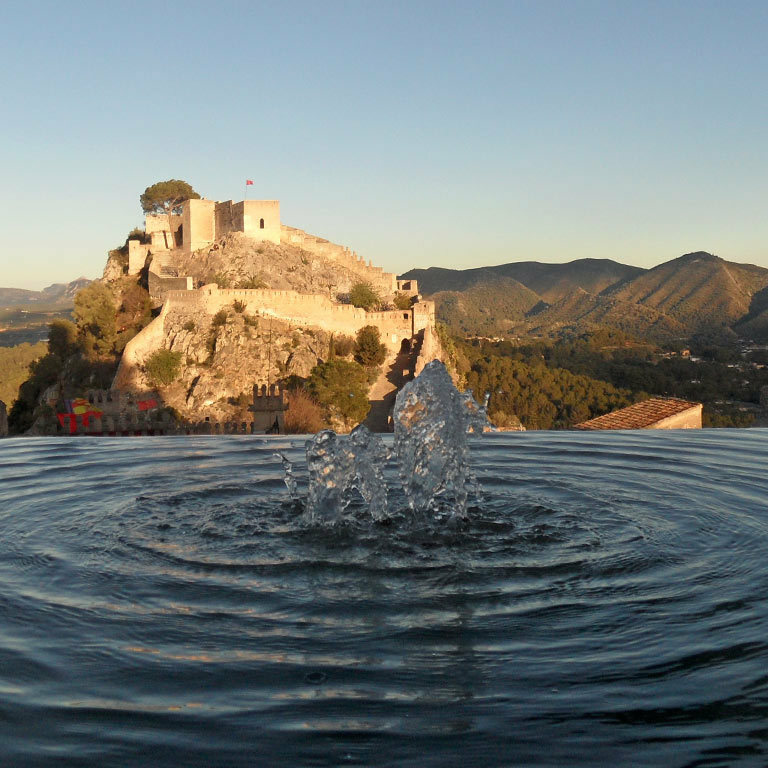 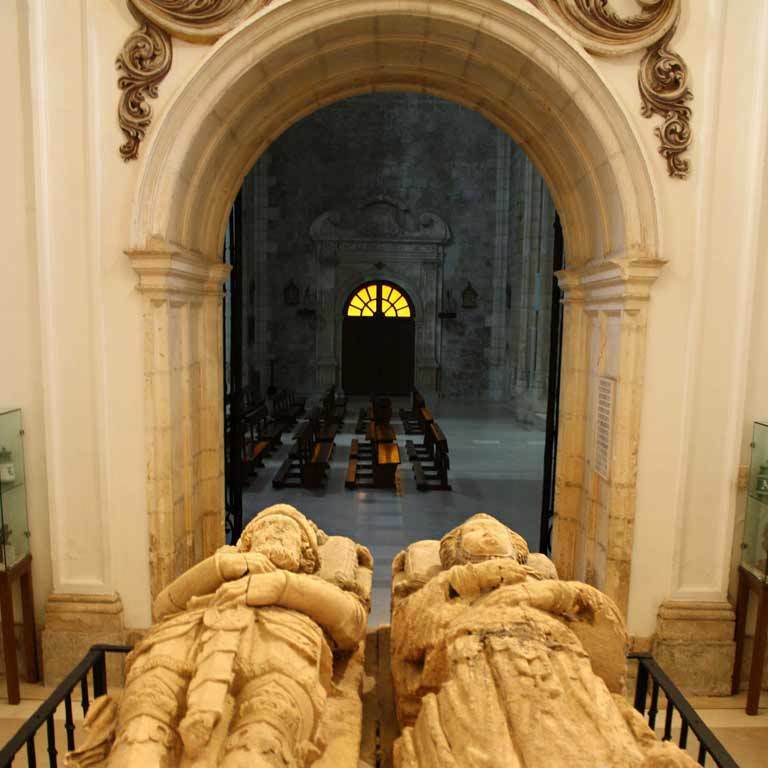 You will visit sites from history and literature that have kept a good part of their medieval character and your guide will be El Cid, one of the most famous medieval knights in Europe. 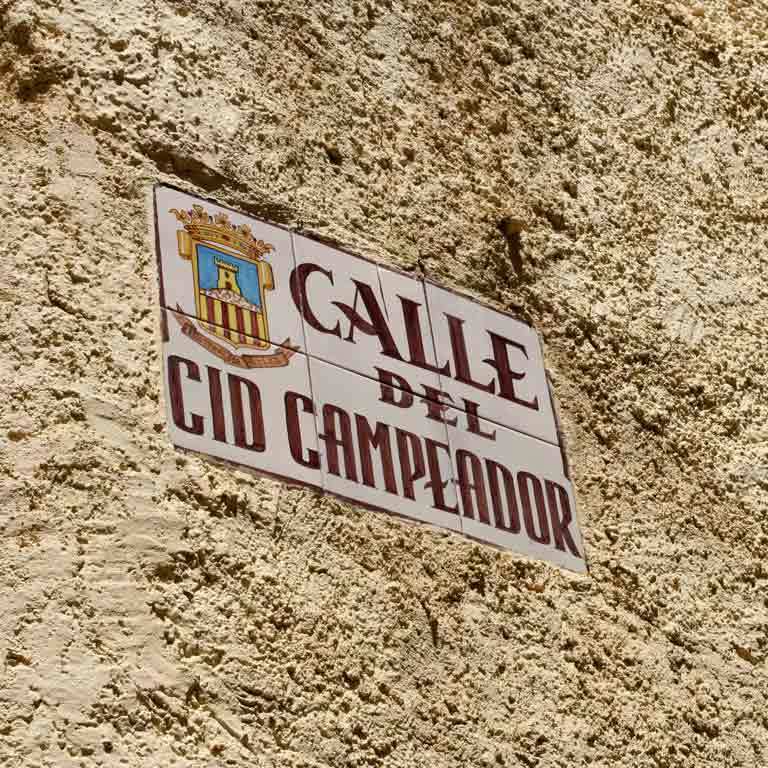 Follow his steps and walk into the legend. 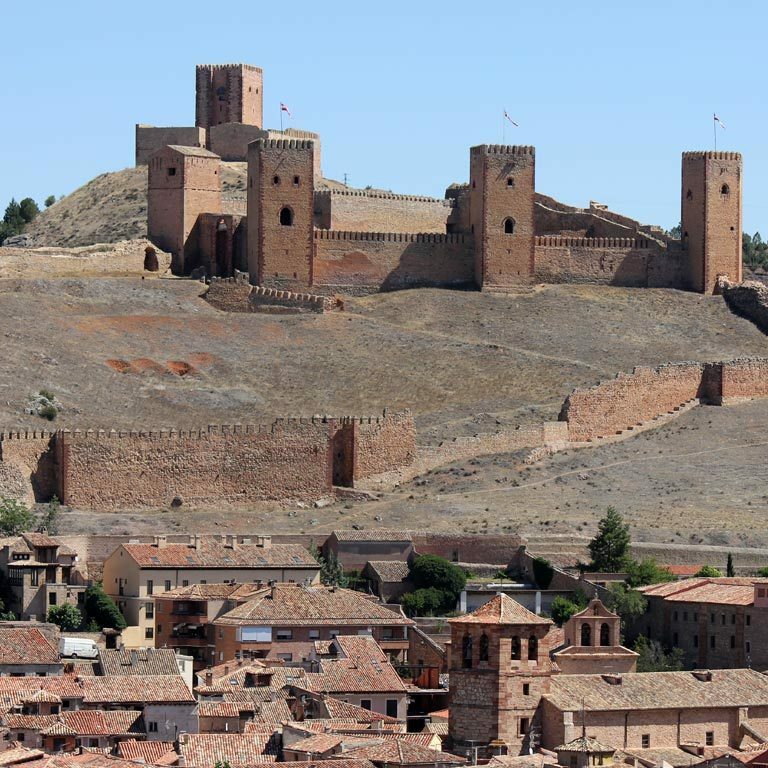 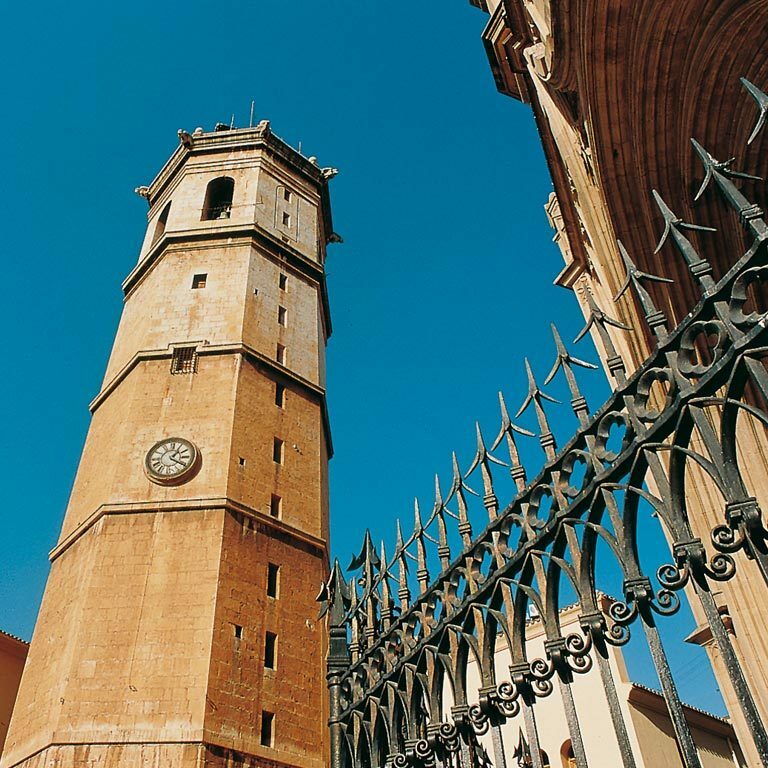 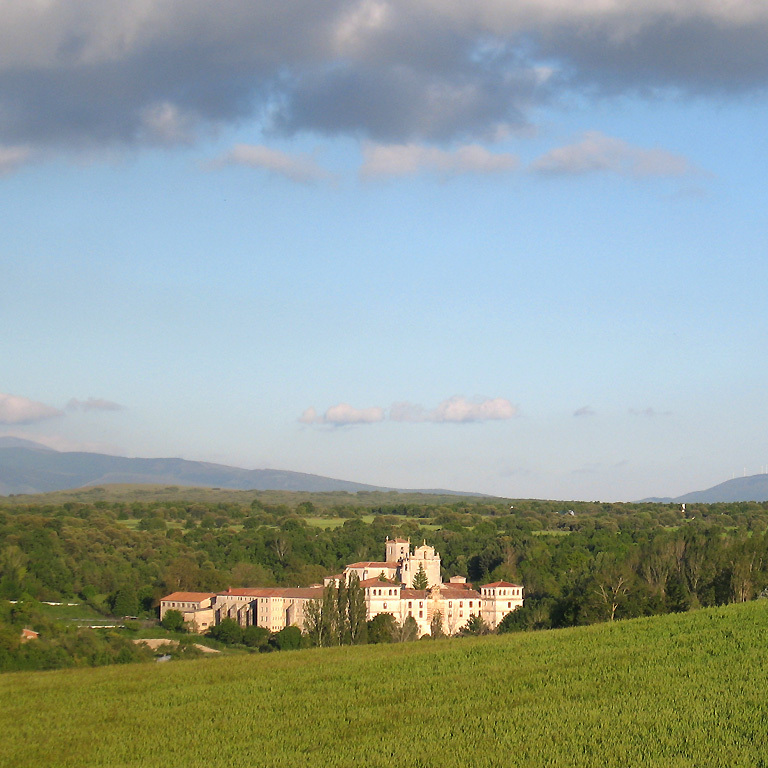 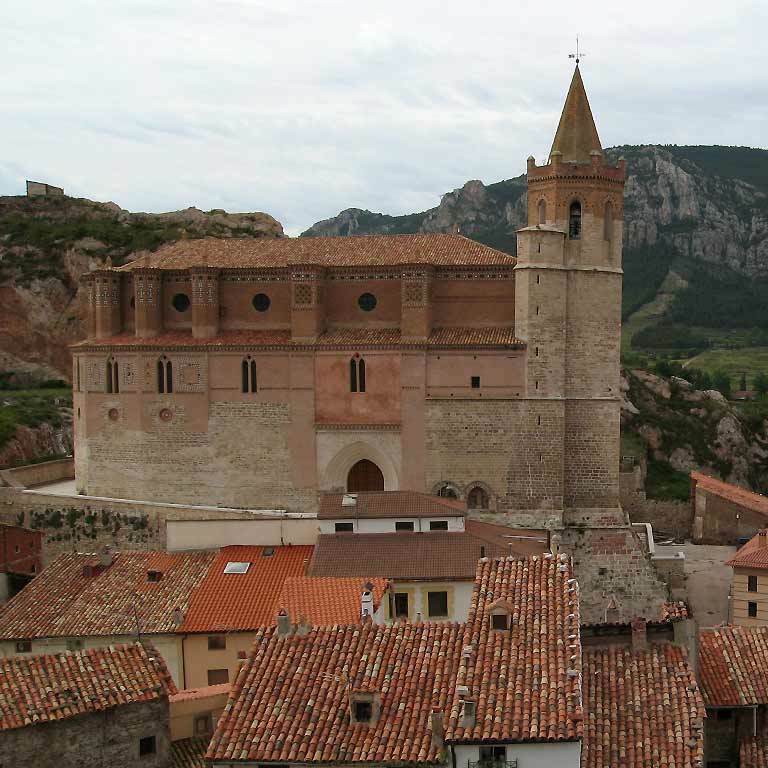 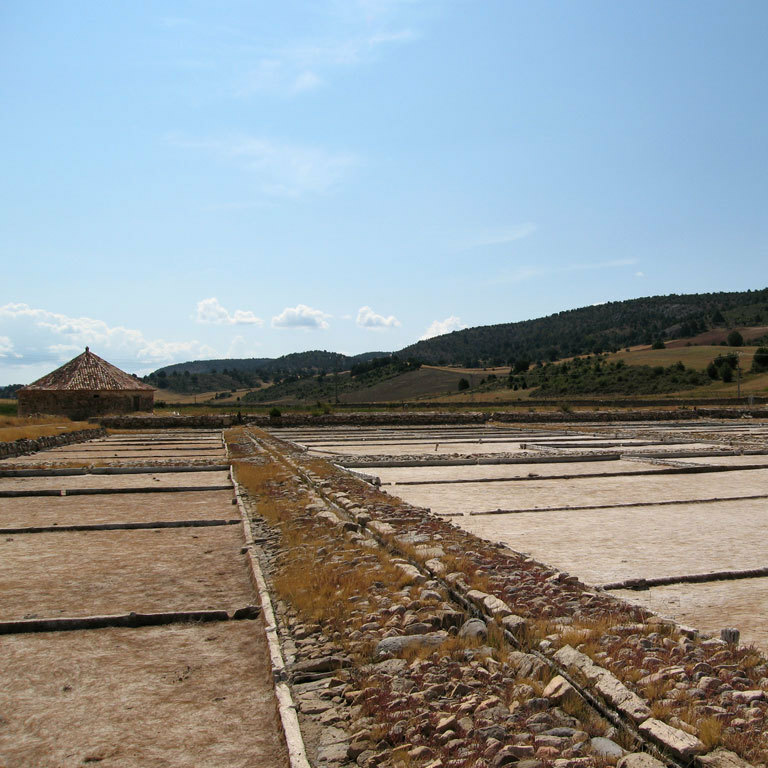 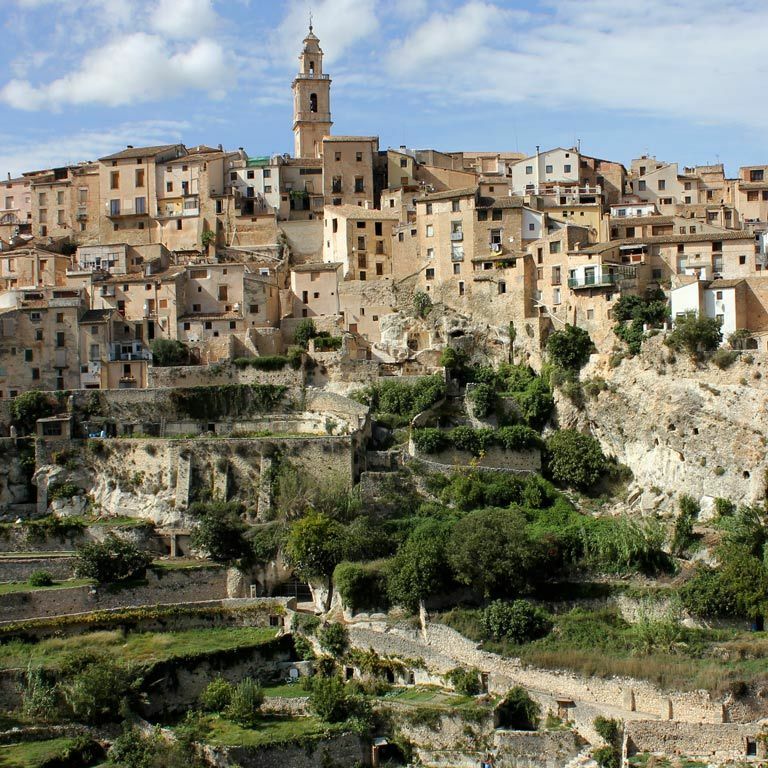 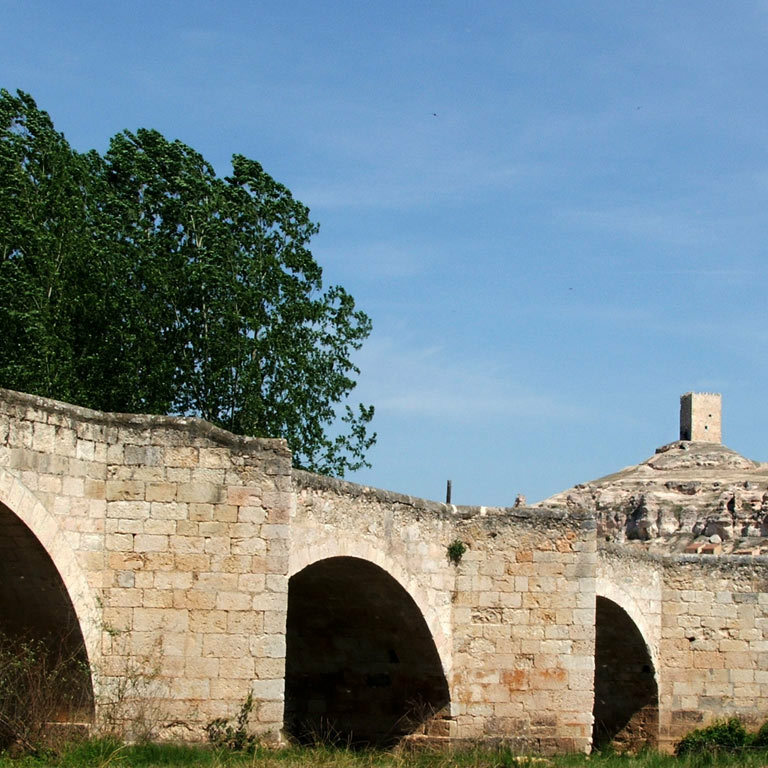 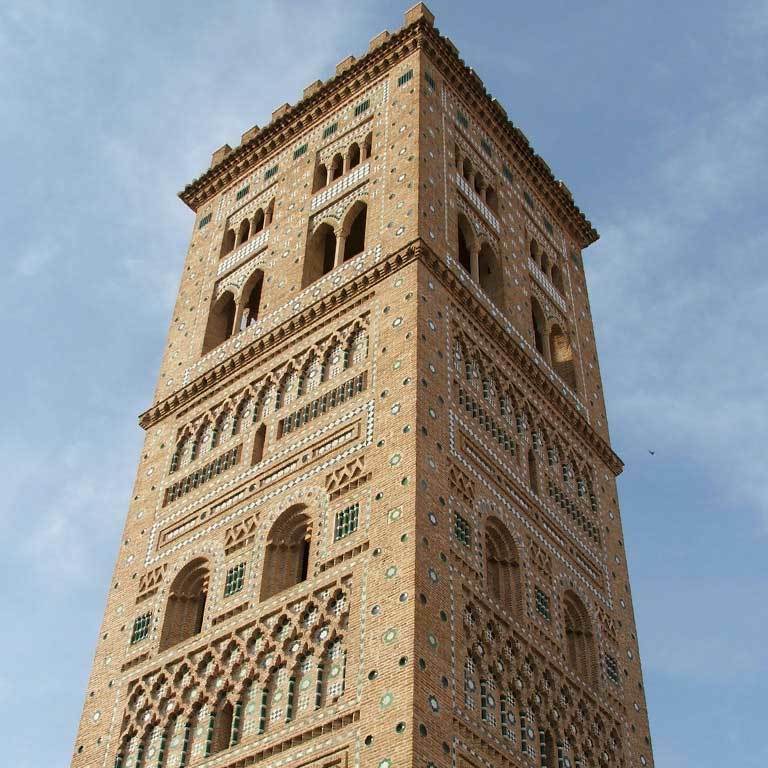 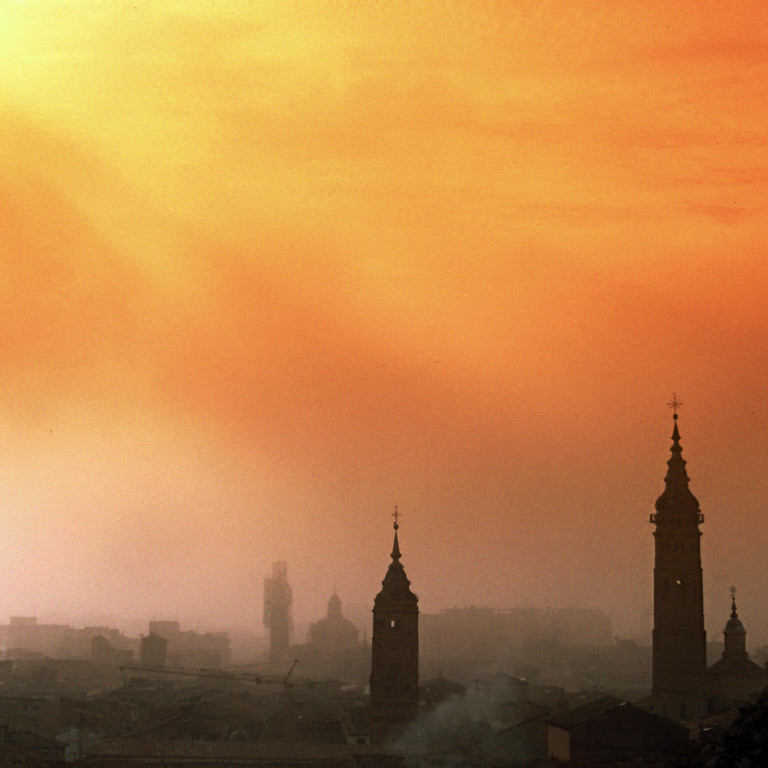 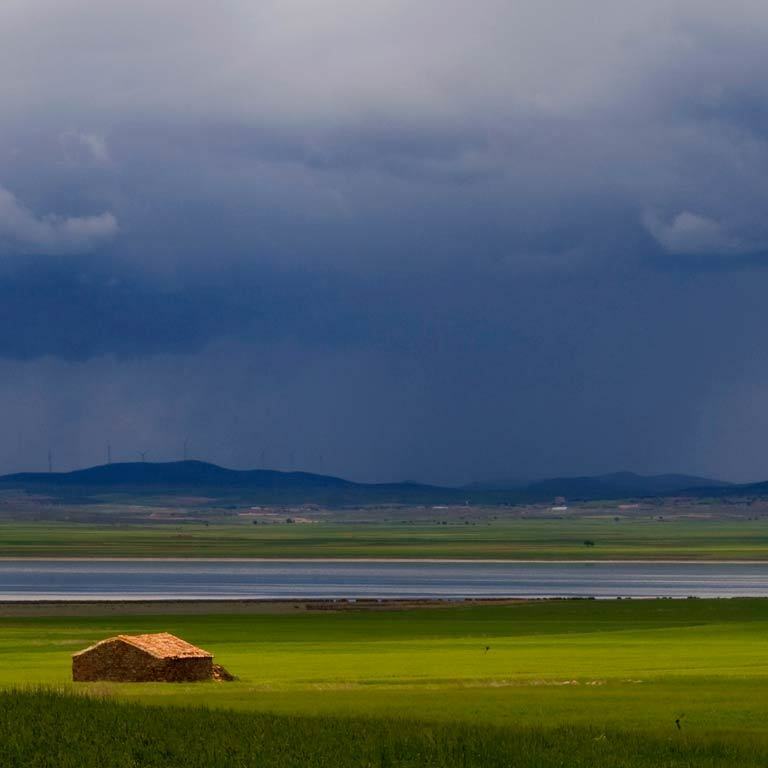 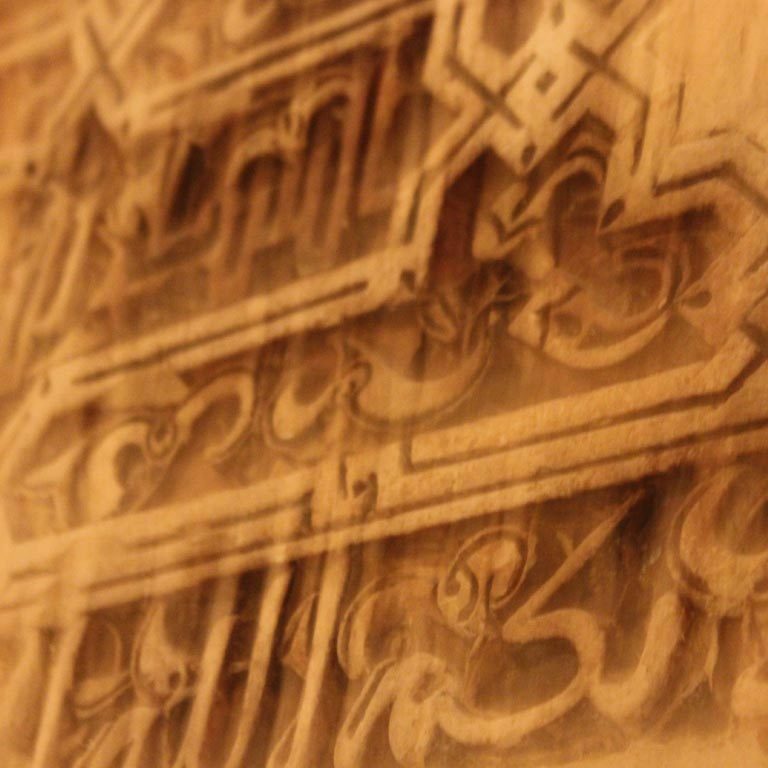 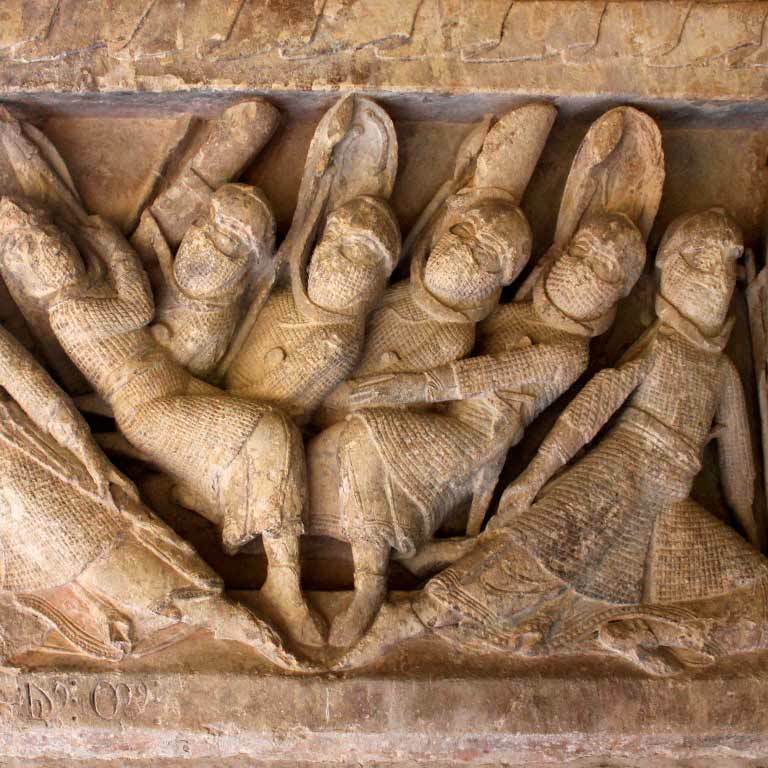 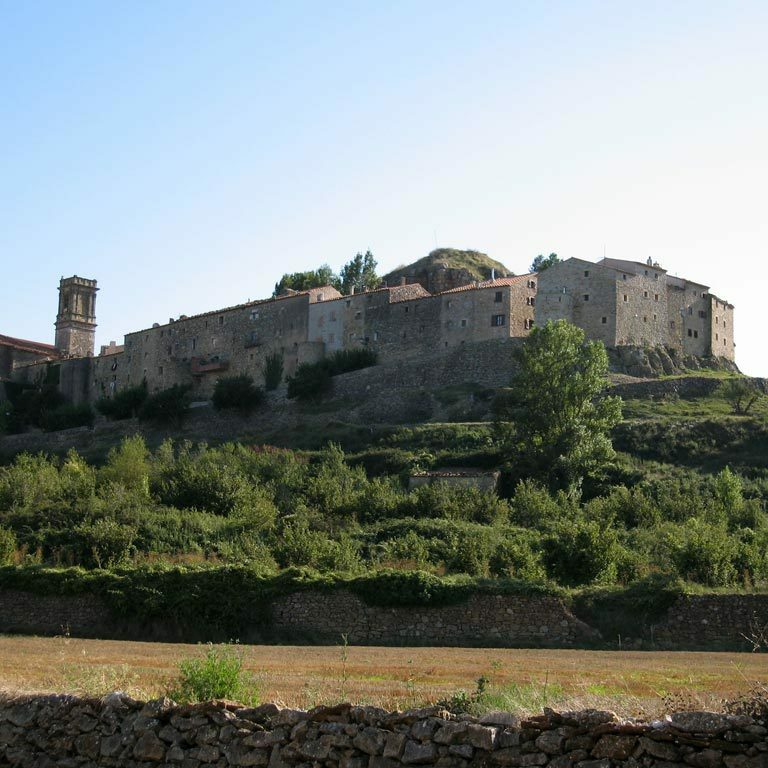 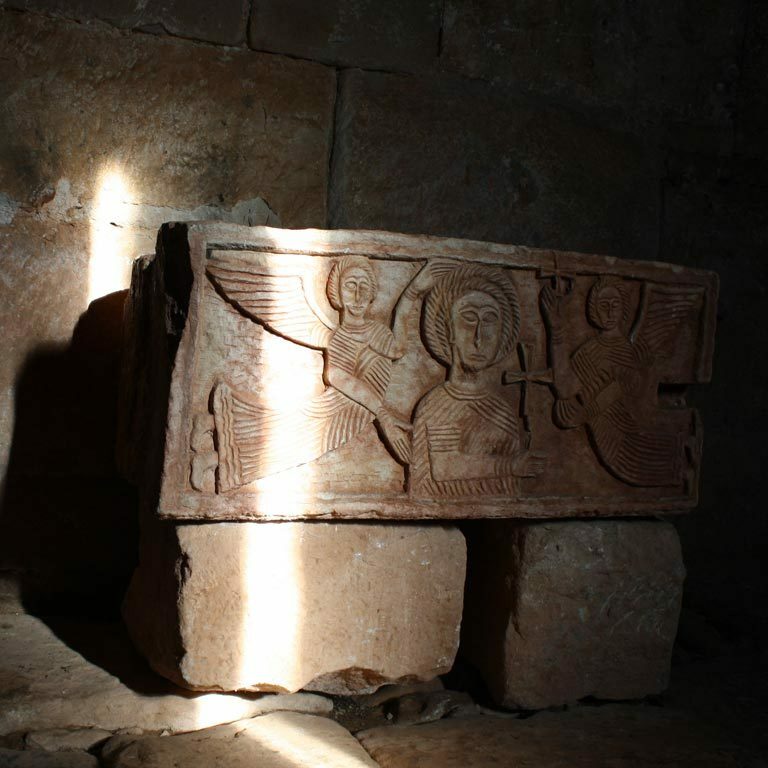 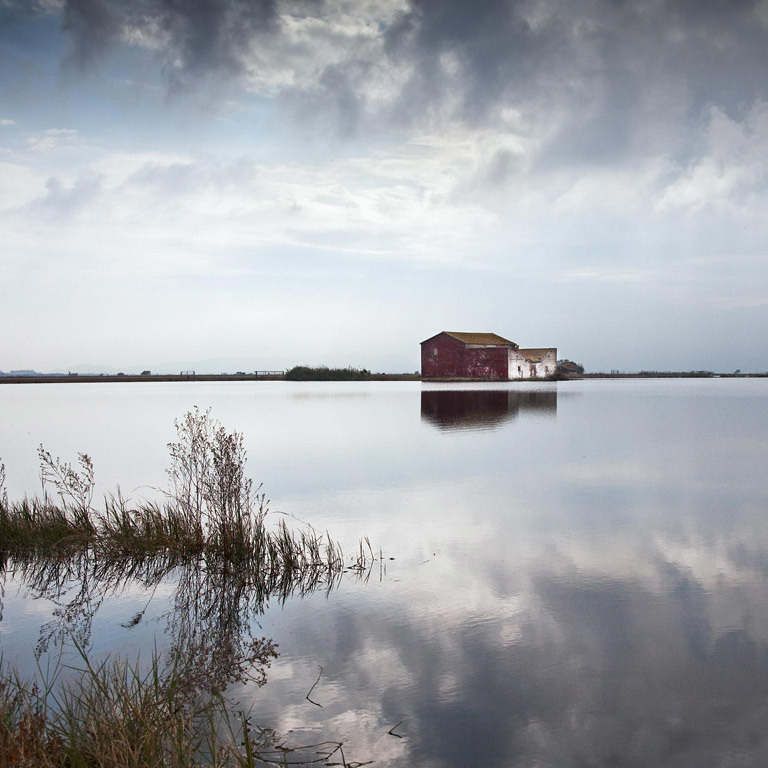 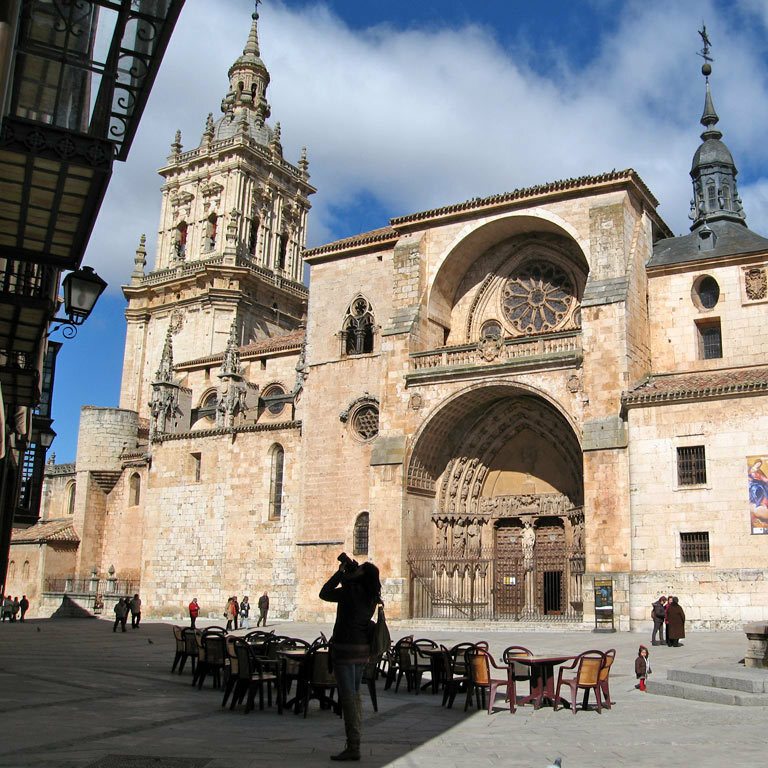 Eight highlights of medieval origin, declared World Heritage Sites by the UNESCO. 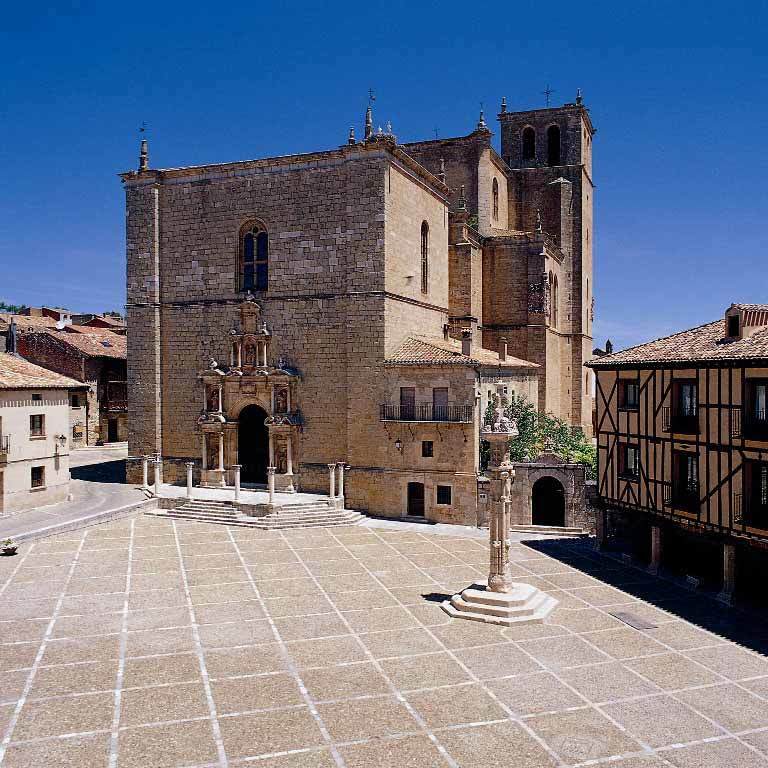 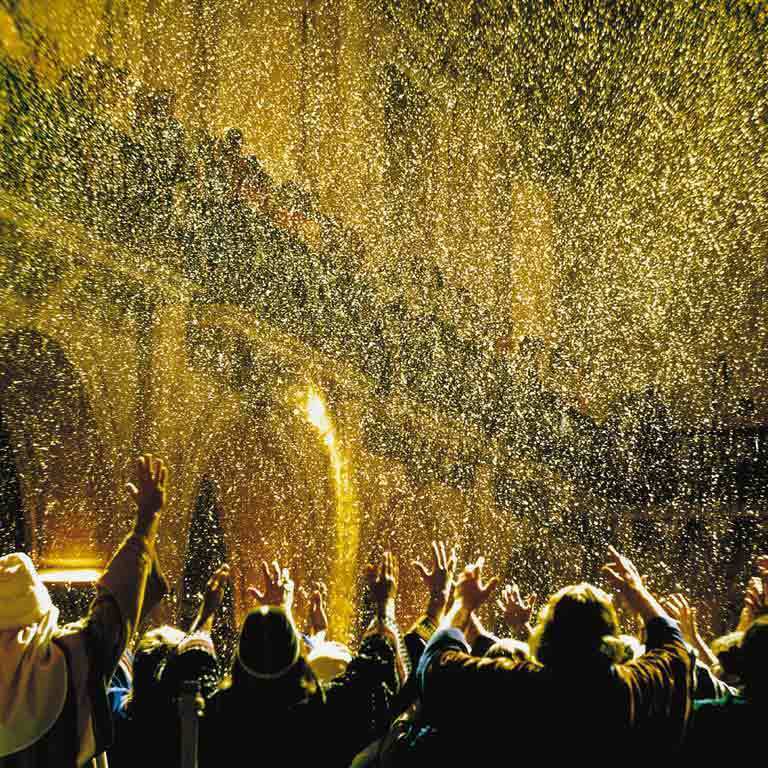 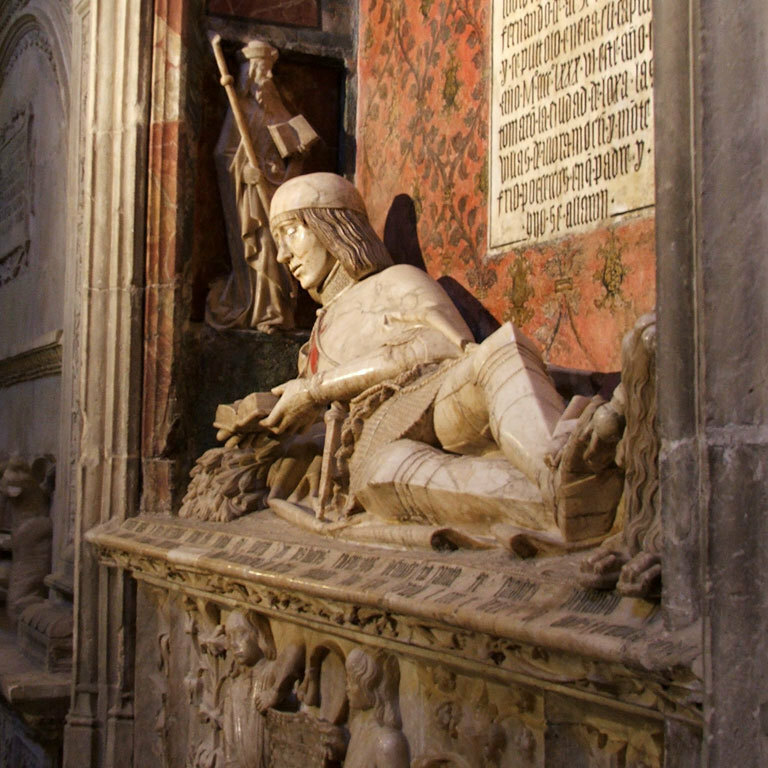 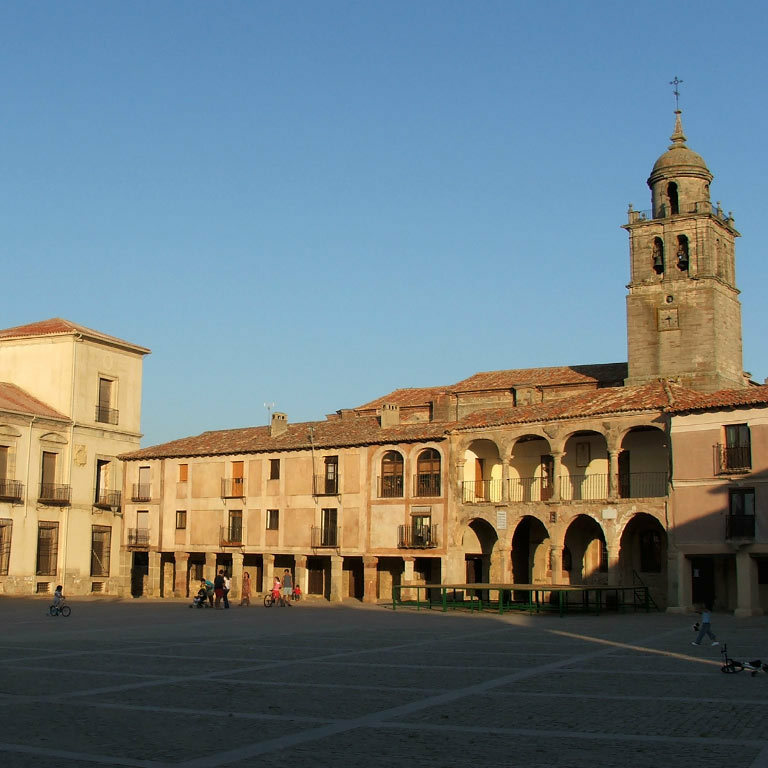 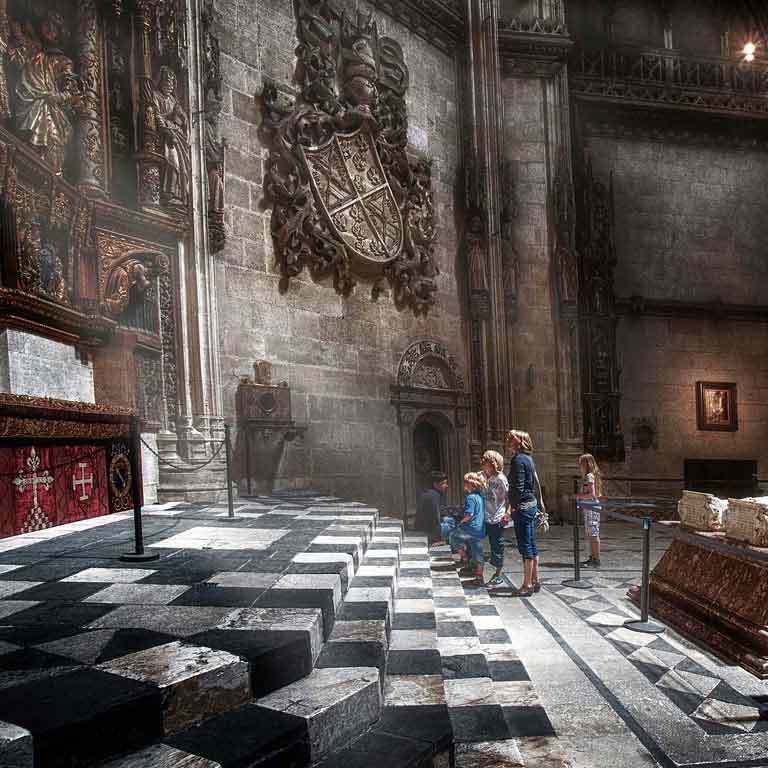 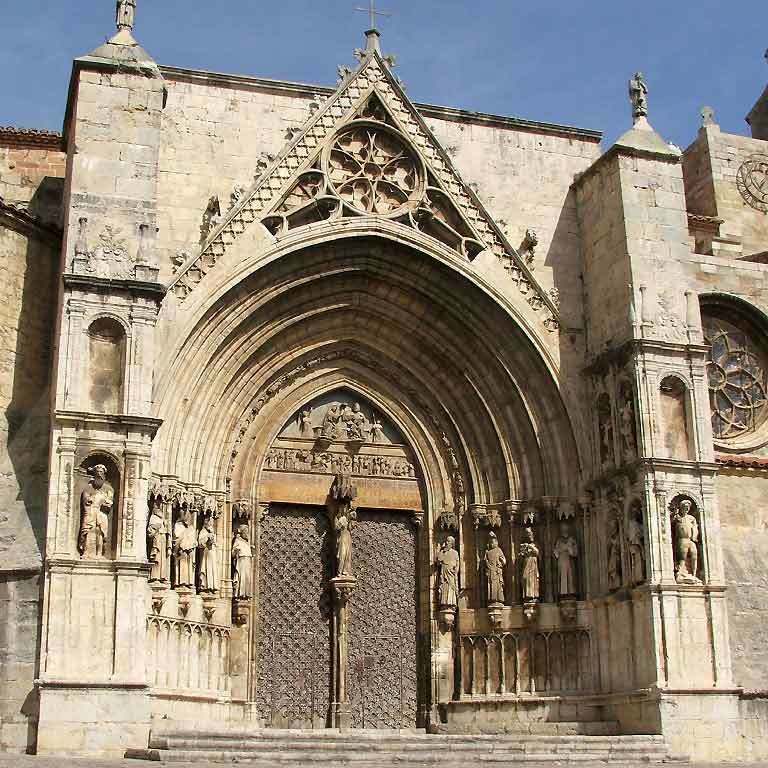 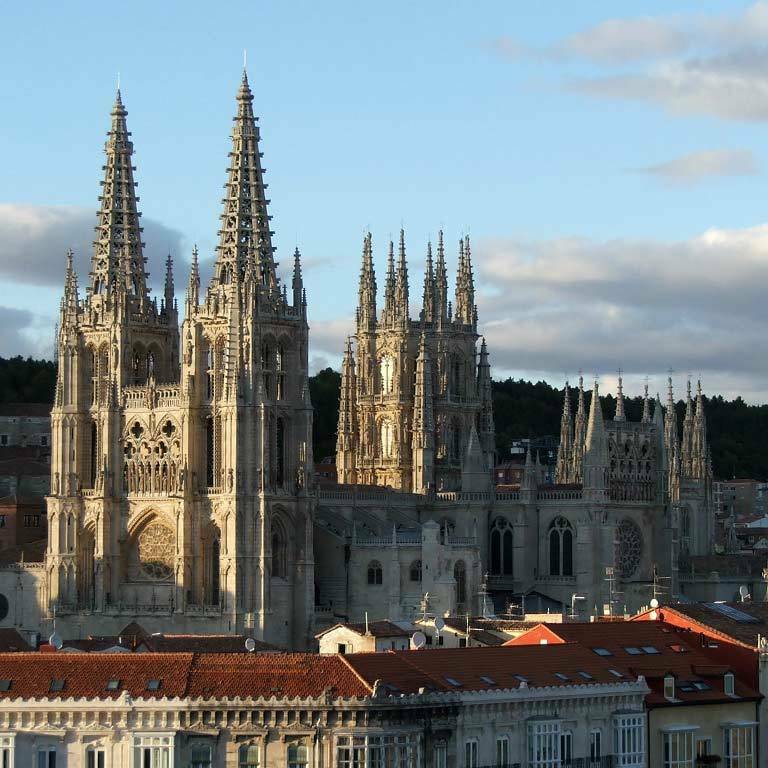 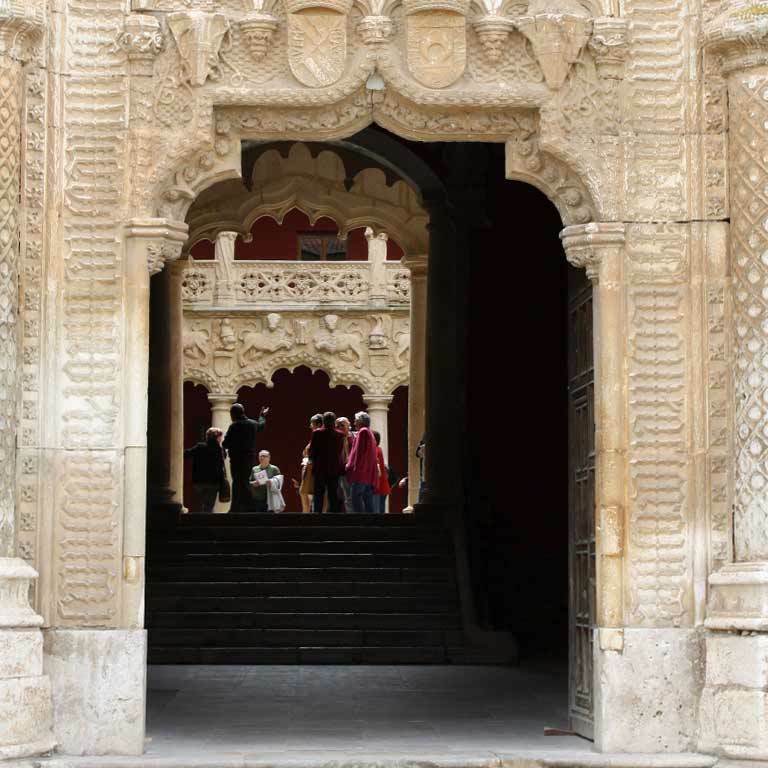 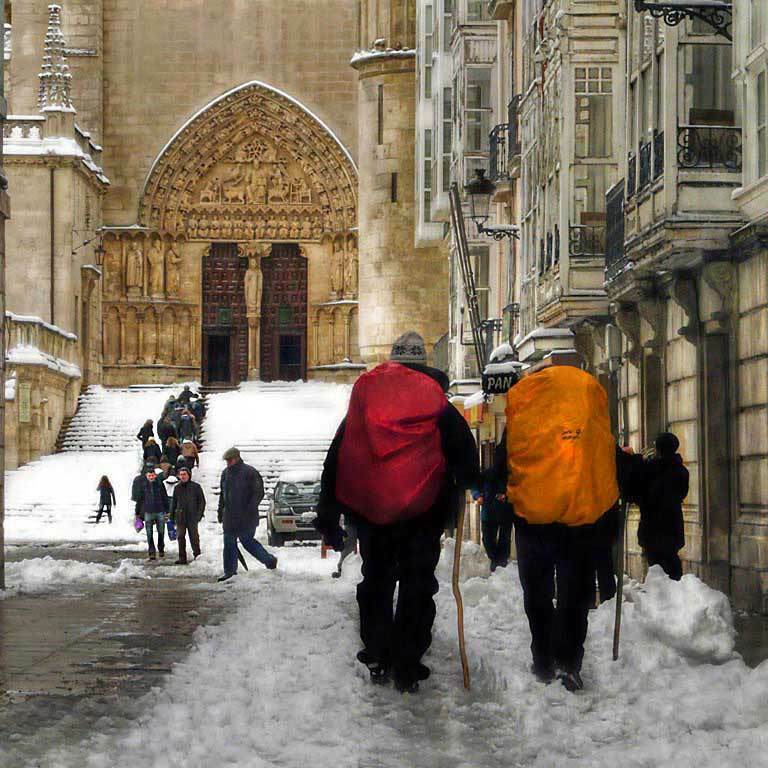 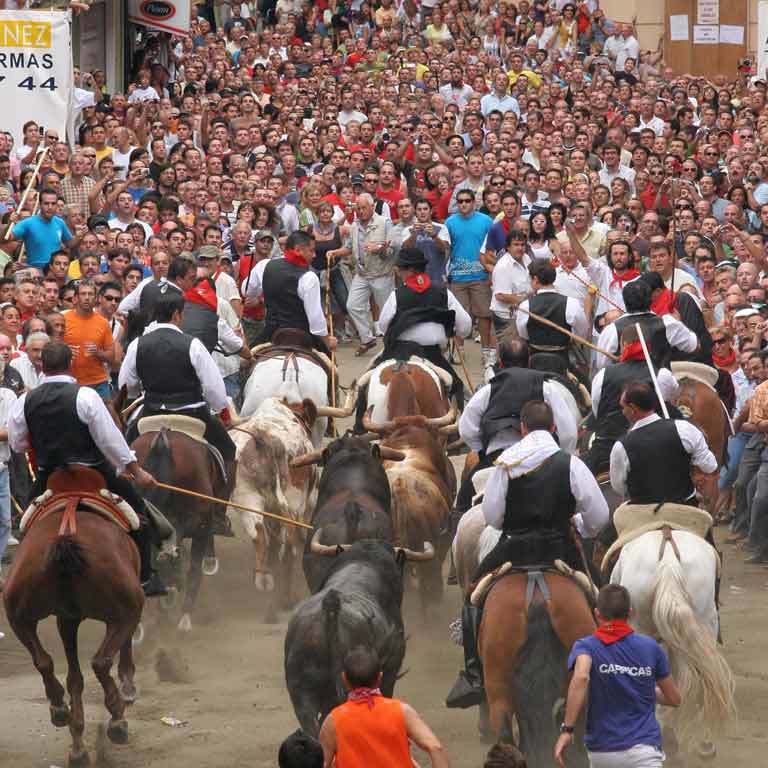 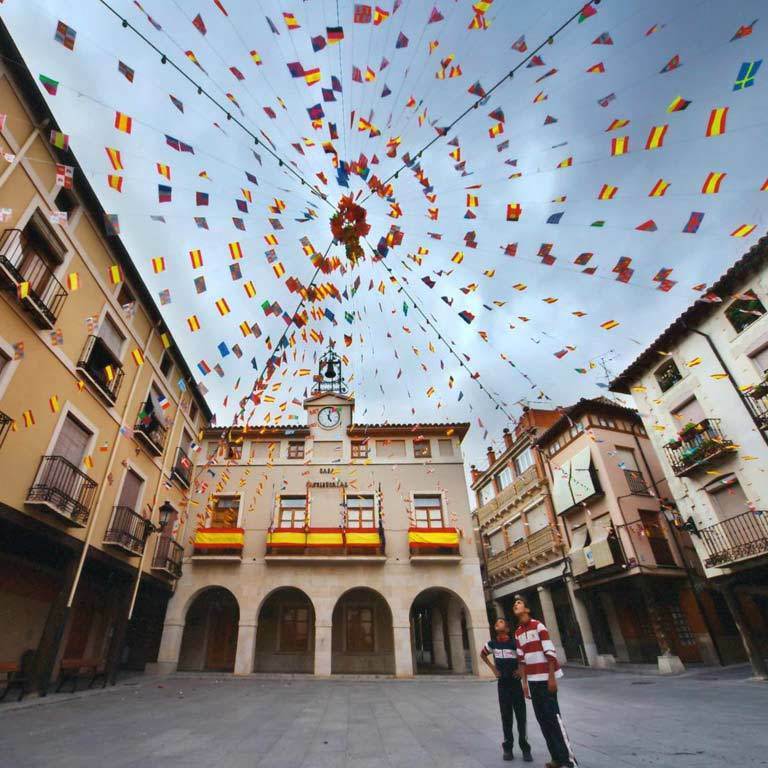 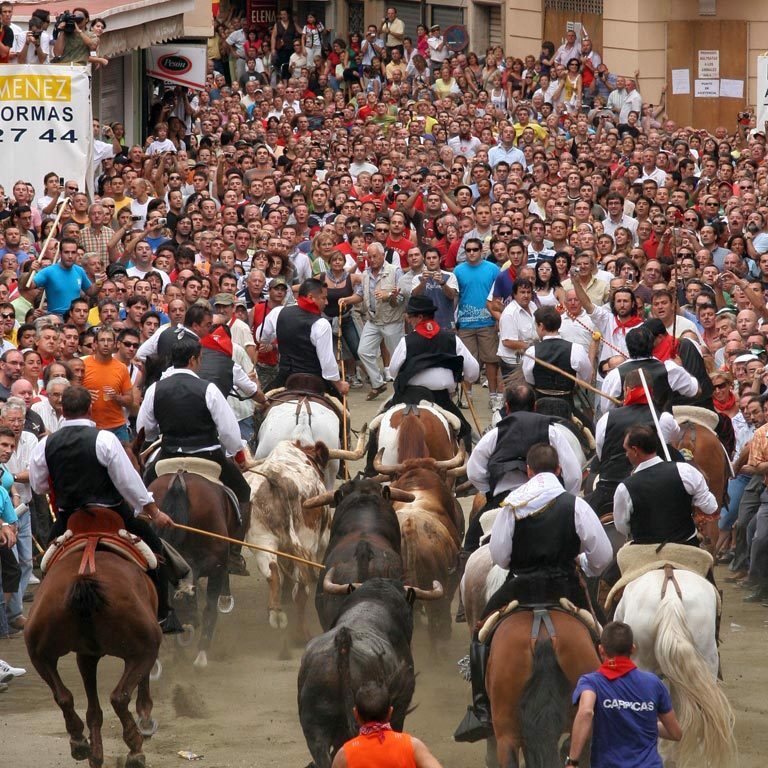 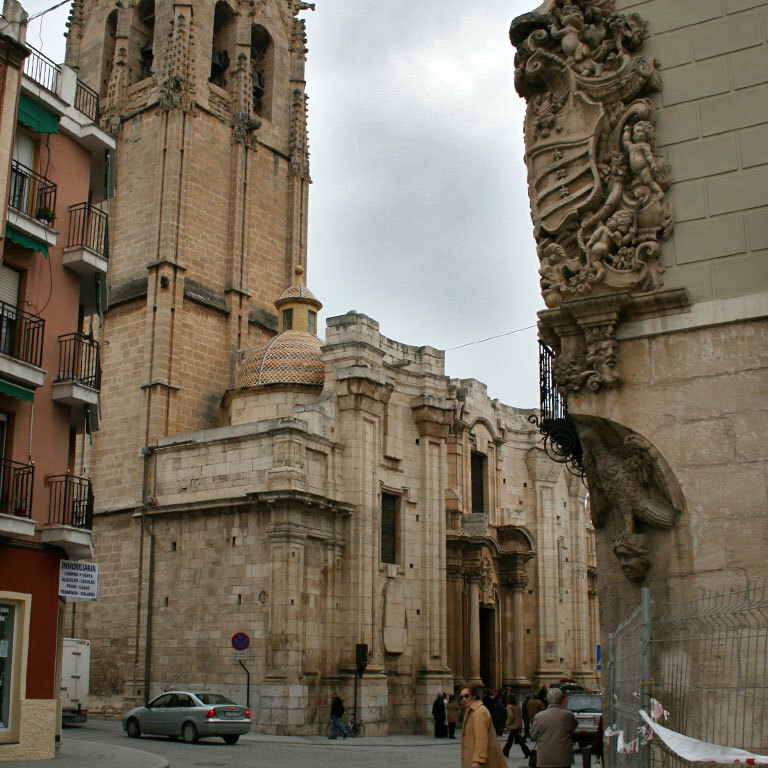 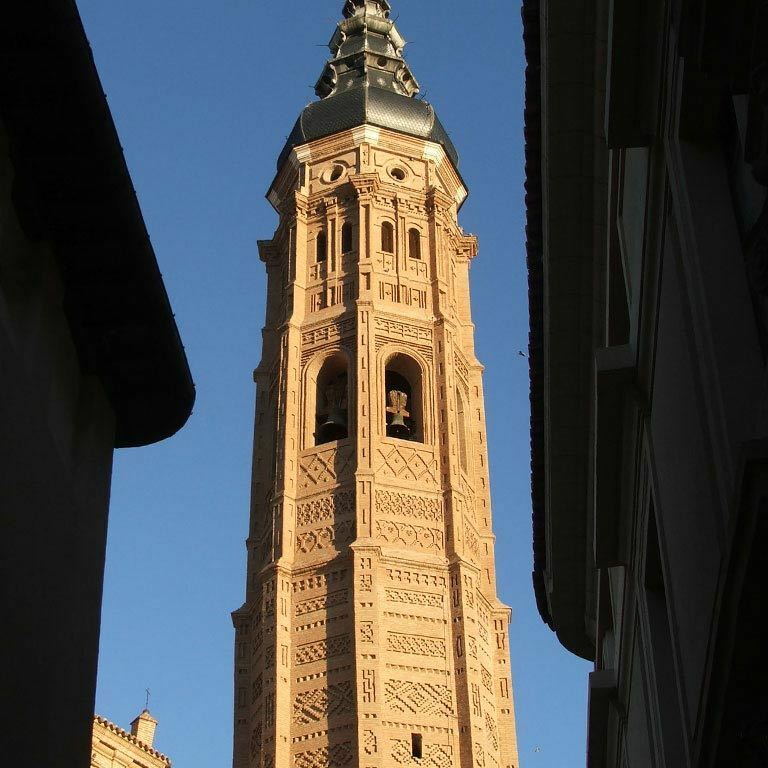 On the route, you will come across eight medieval World Heritage Sites: in Burgos, the Gothic cathedral and the Way of Saint James; in Aragón, the Aragonese Mudejar, a style of architecture of Islamic influence; in Valencia, the Water Tribunal of the Plain of Valencia and the Gothic Silk Market; in Algemesí (Valencia) the Festivity of La Mare de Déu de la Salut, and in Alicante, El Palmeral and El Misteri. 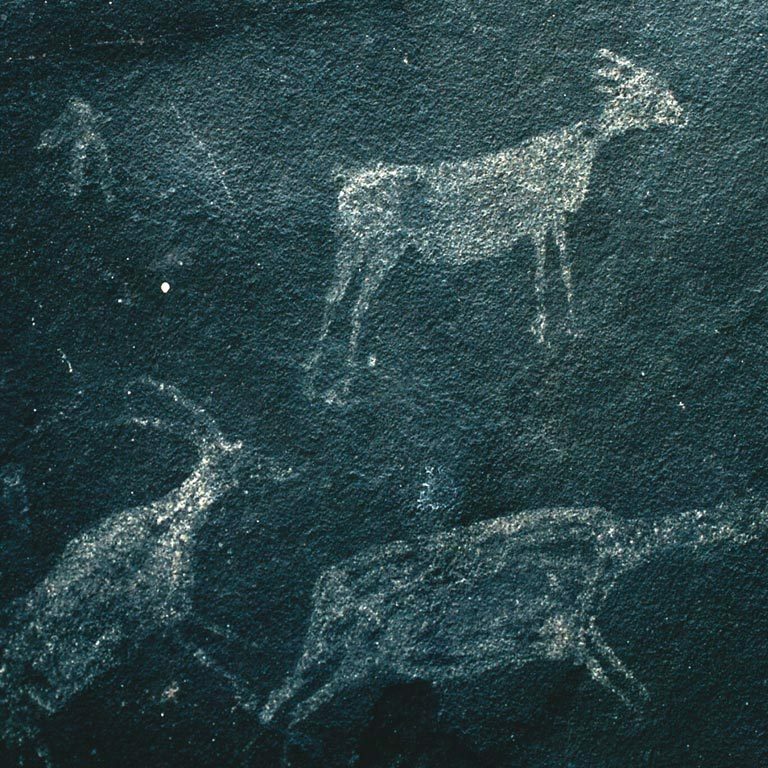 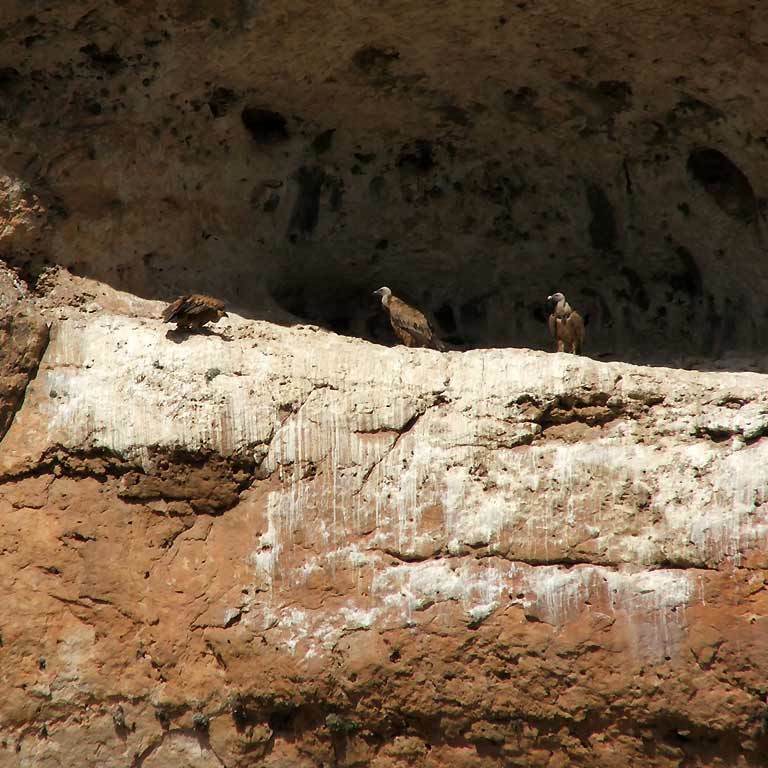 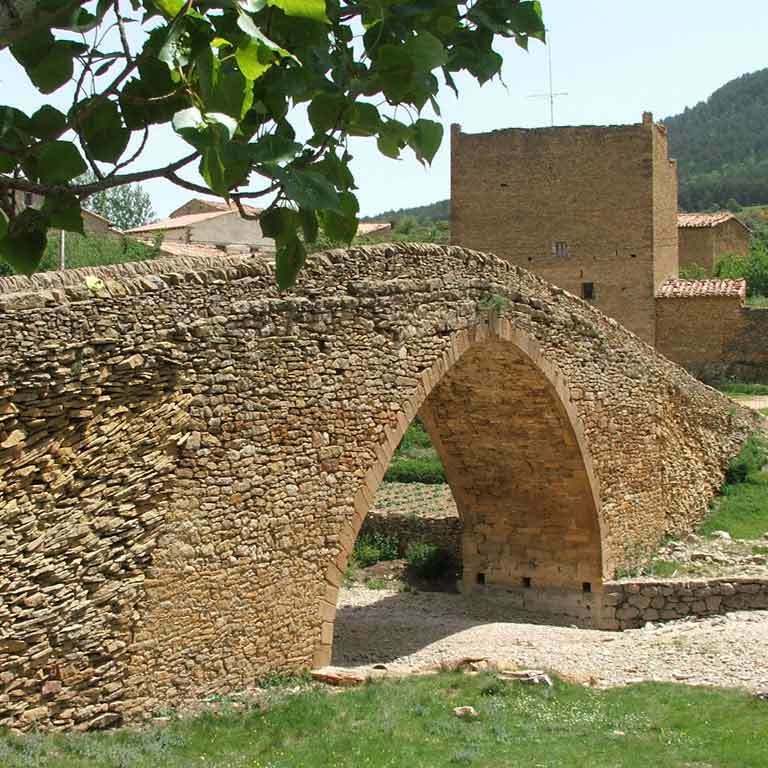 In a dozen or so villages you will also be able to see examples of the cave paintings of the Mediterranean Arch, declared a World Heritage Site in 1998. 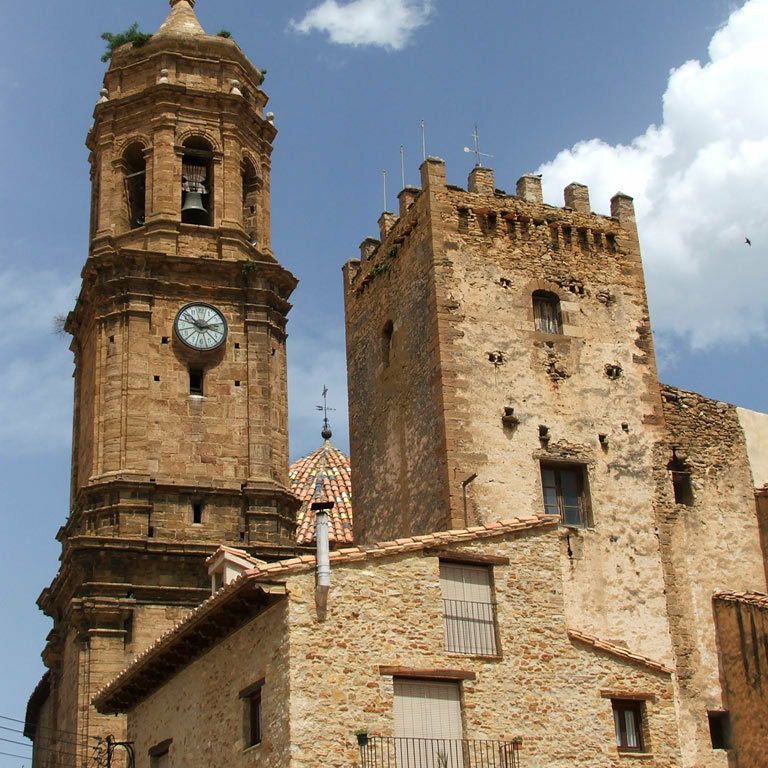 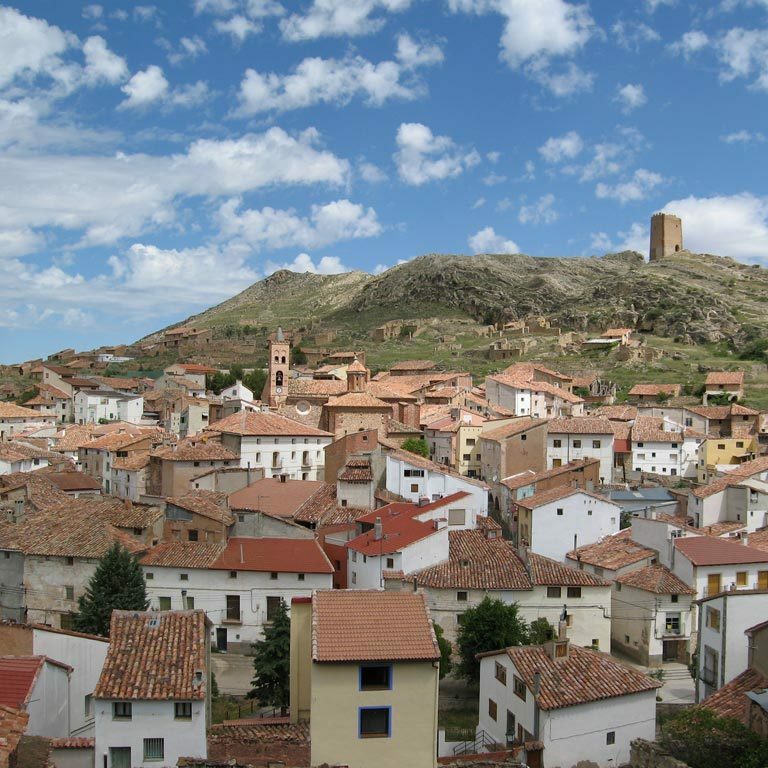 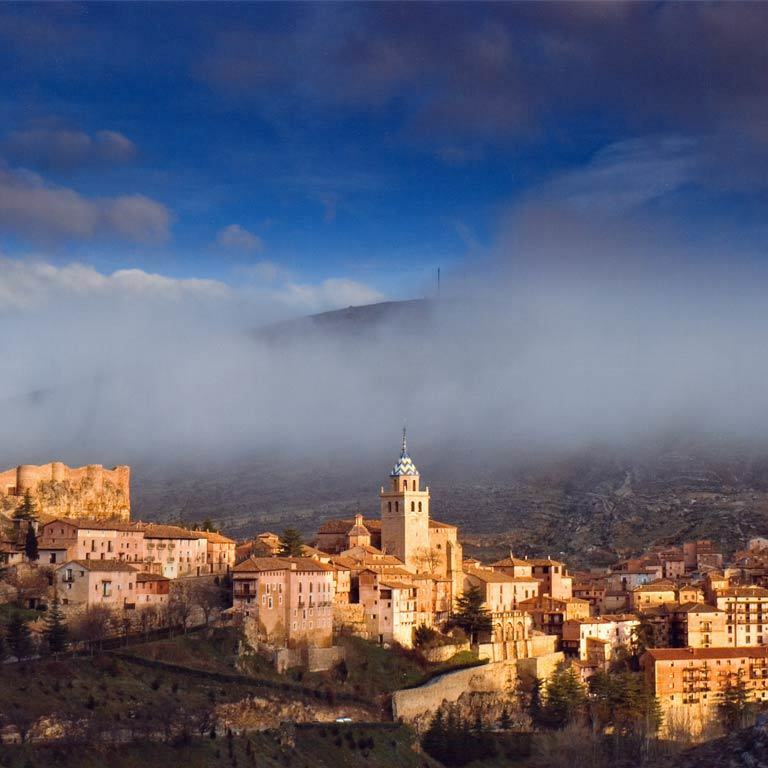 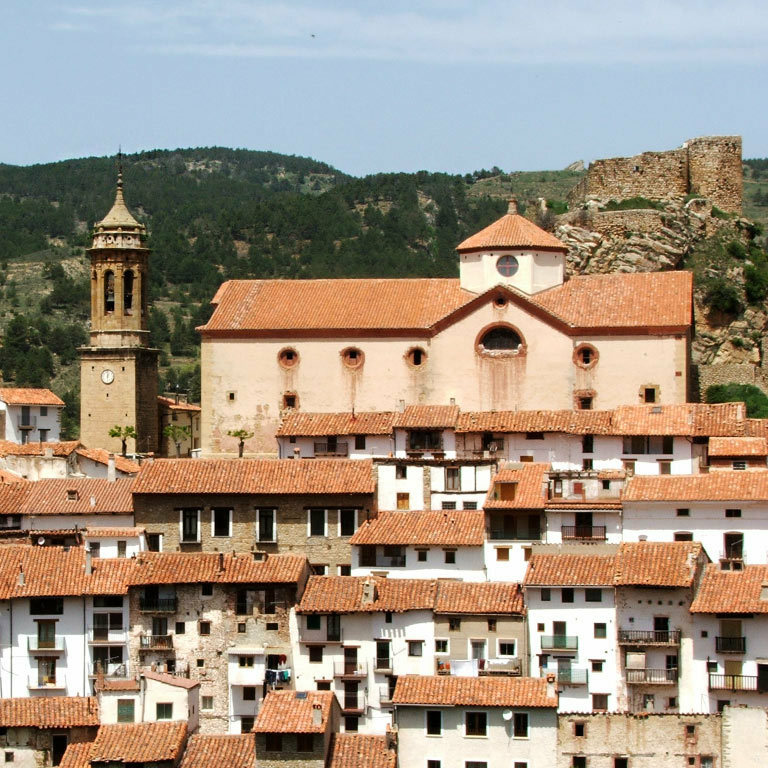 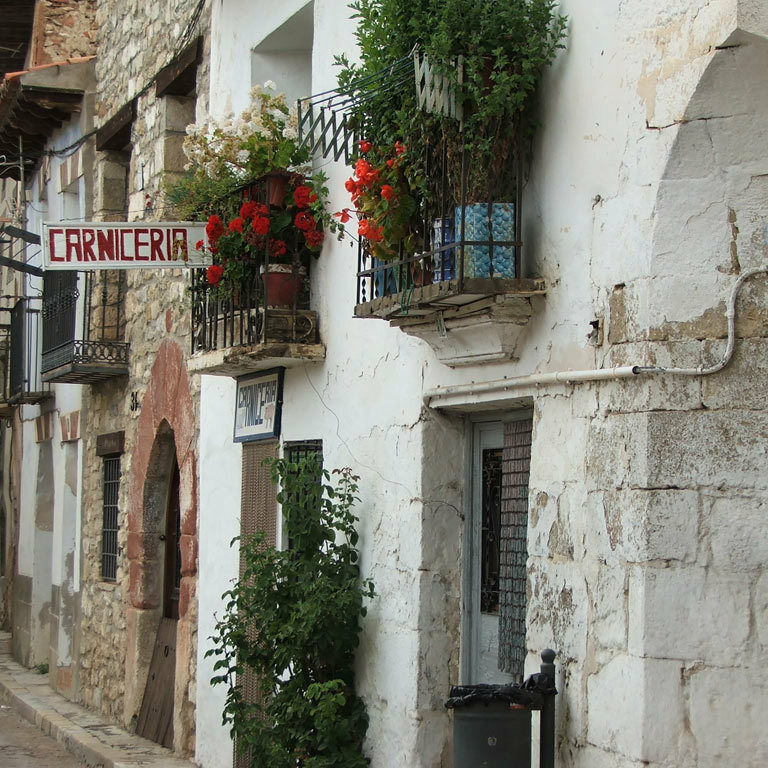 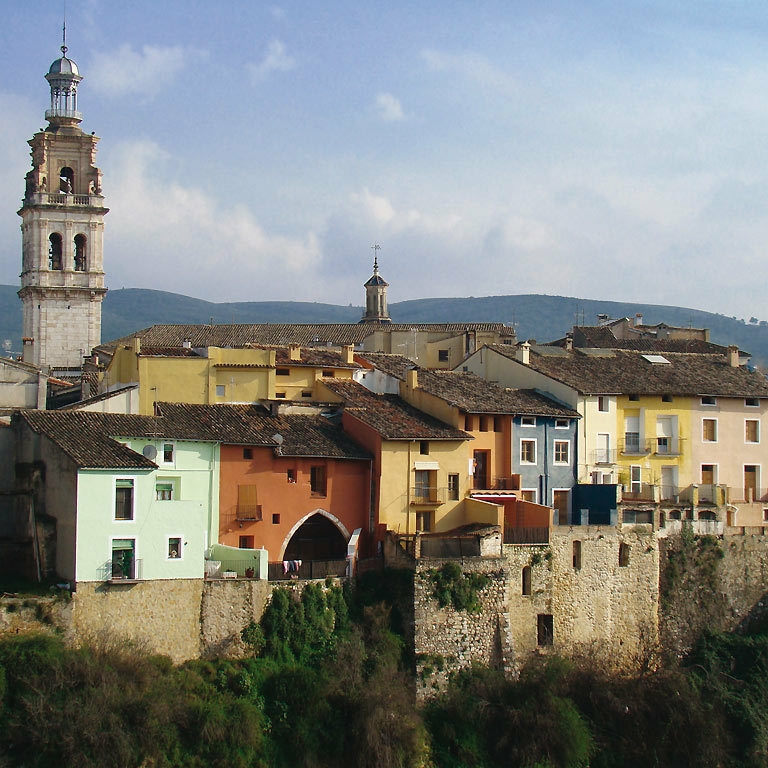 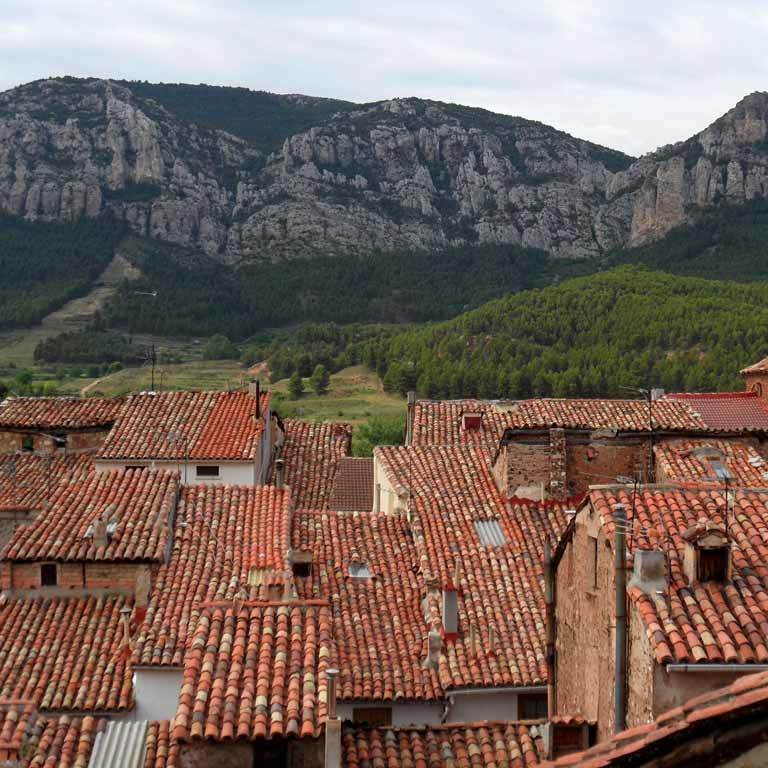 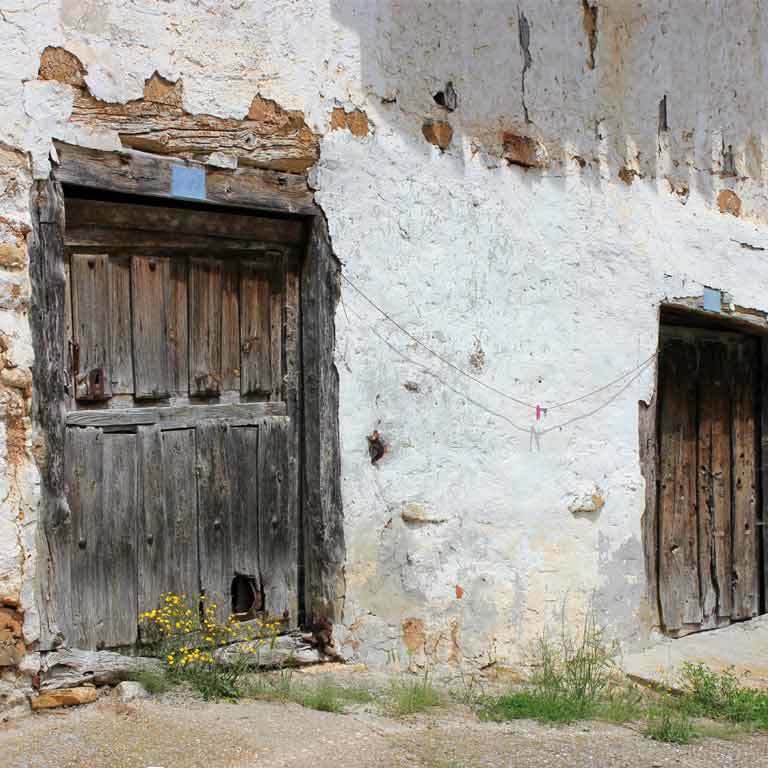 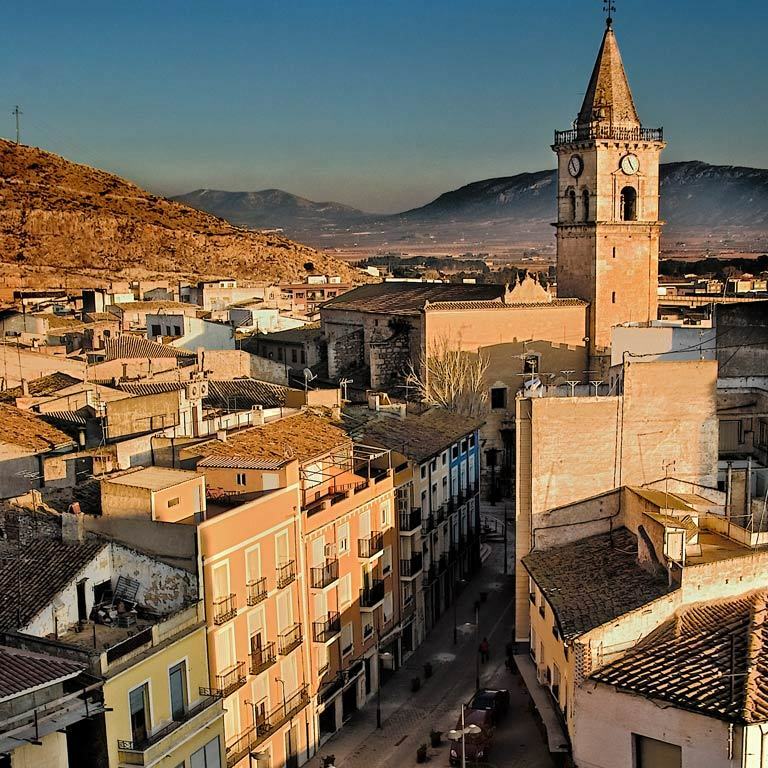 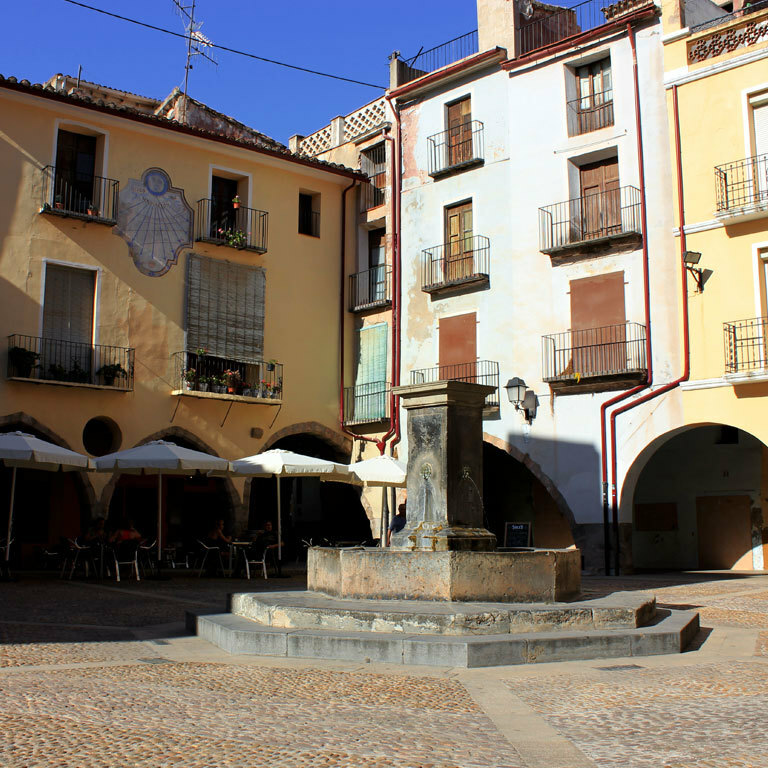 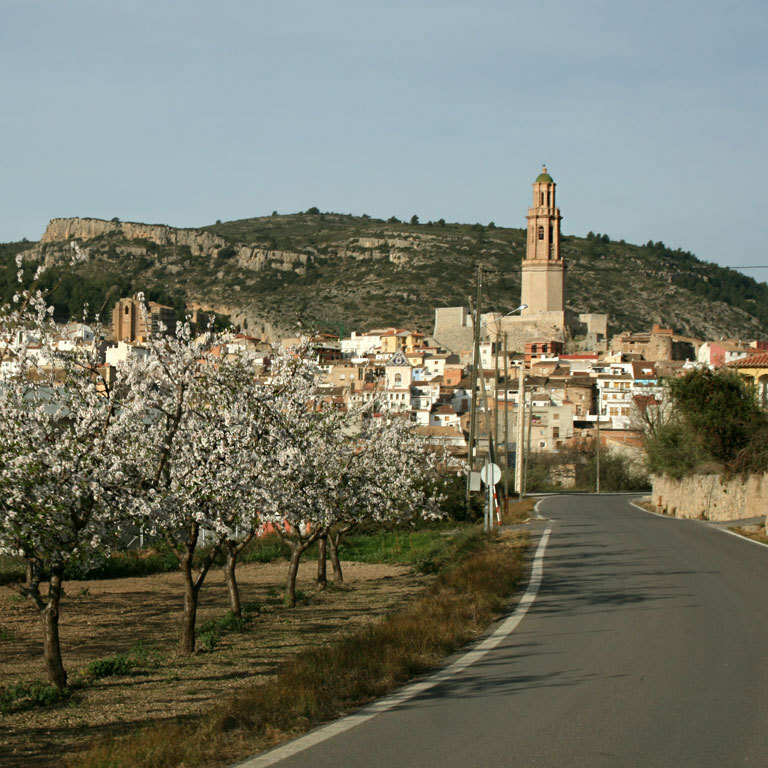 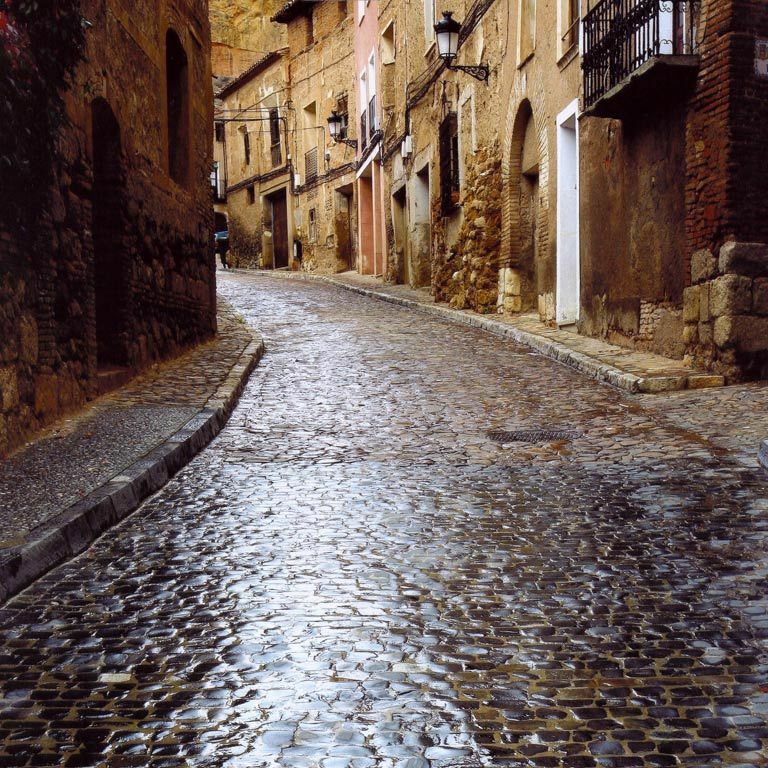 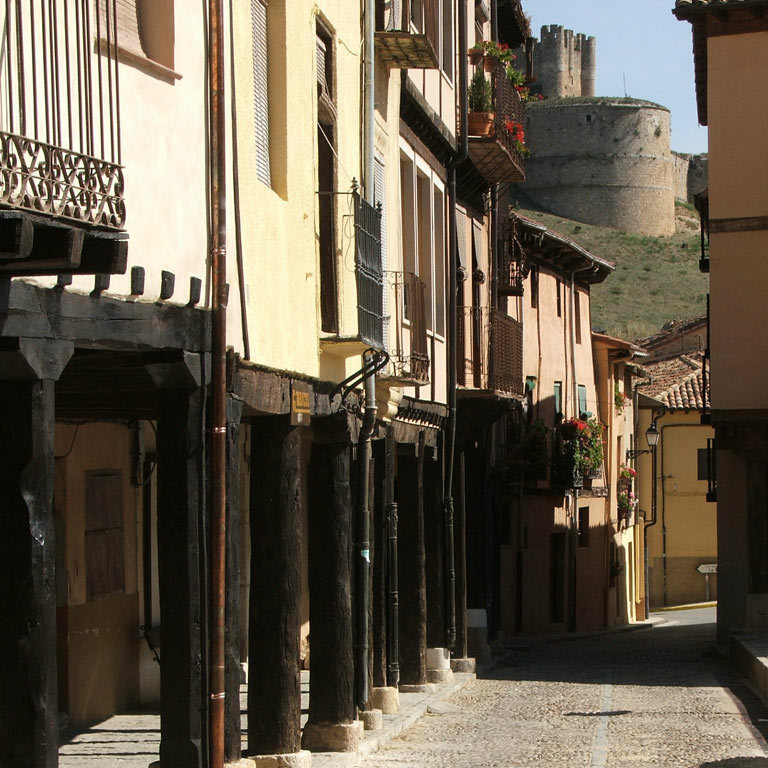 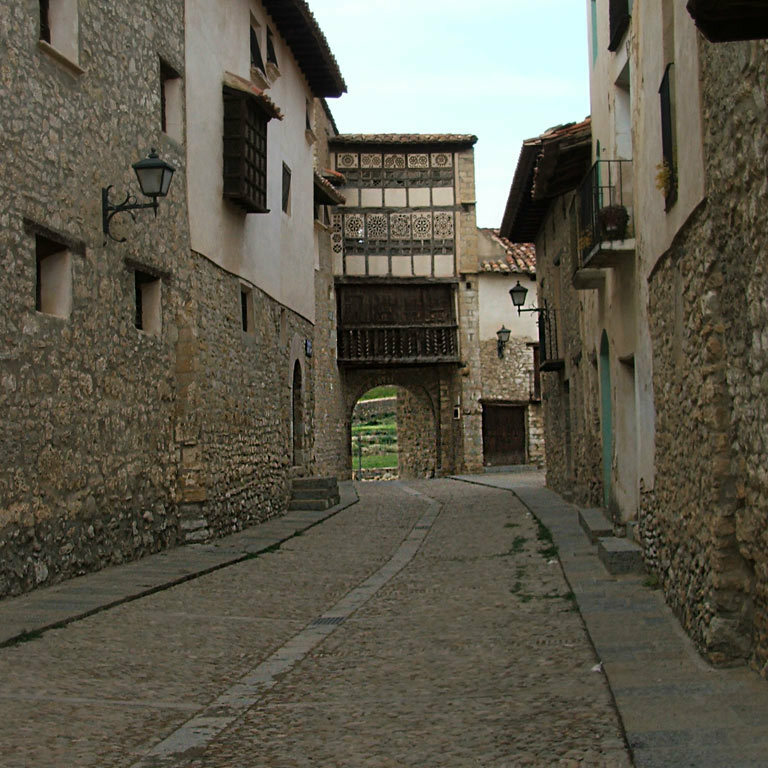 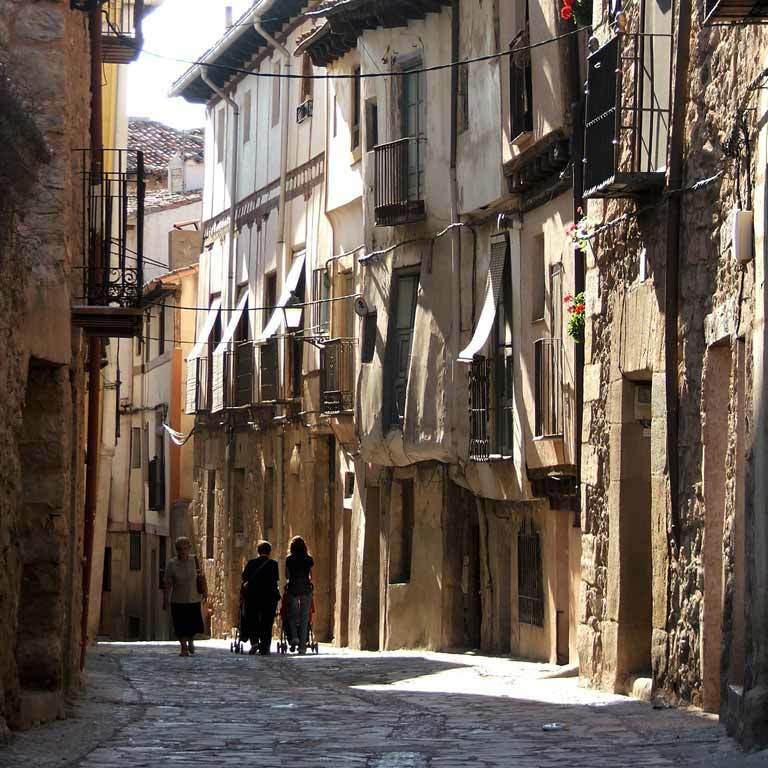 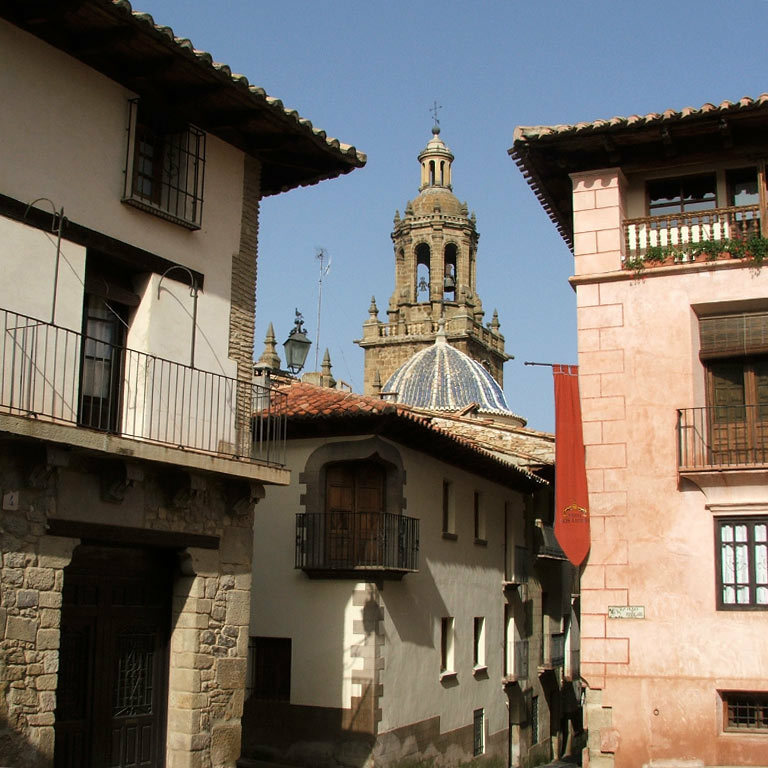 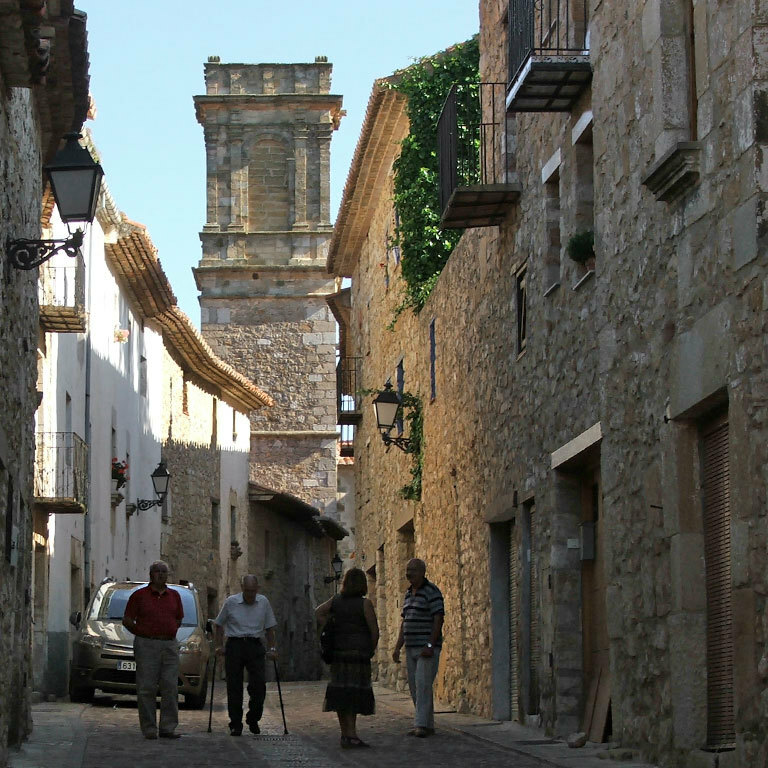 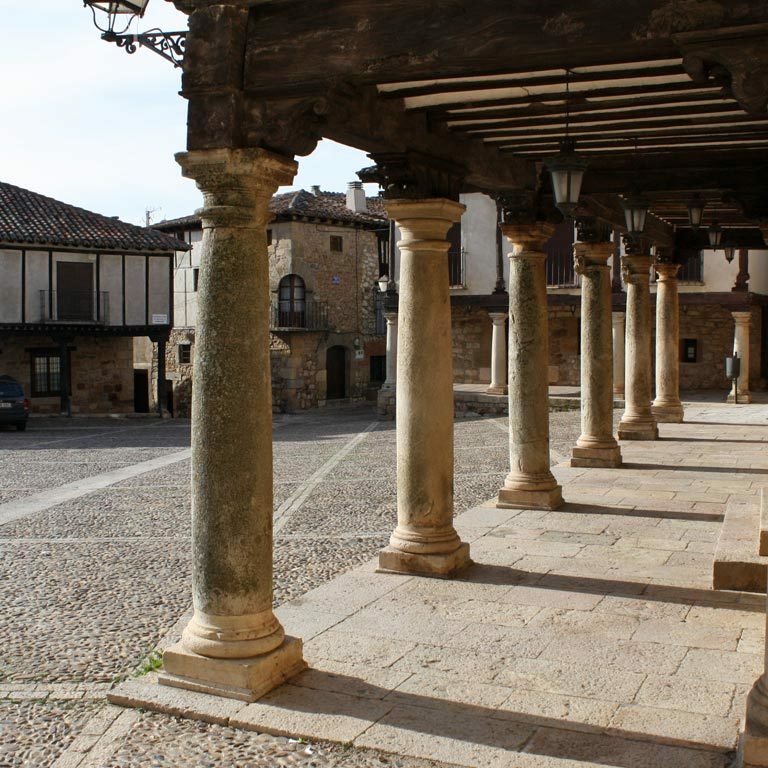 Some of the most beautiful villages in Spain are to be found here. 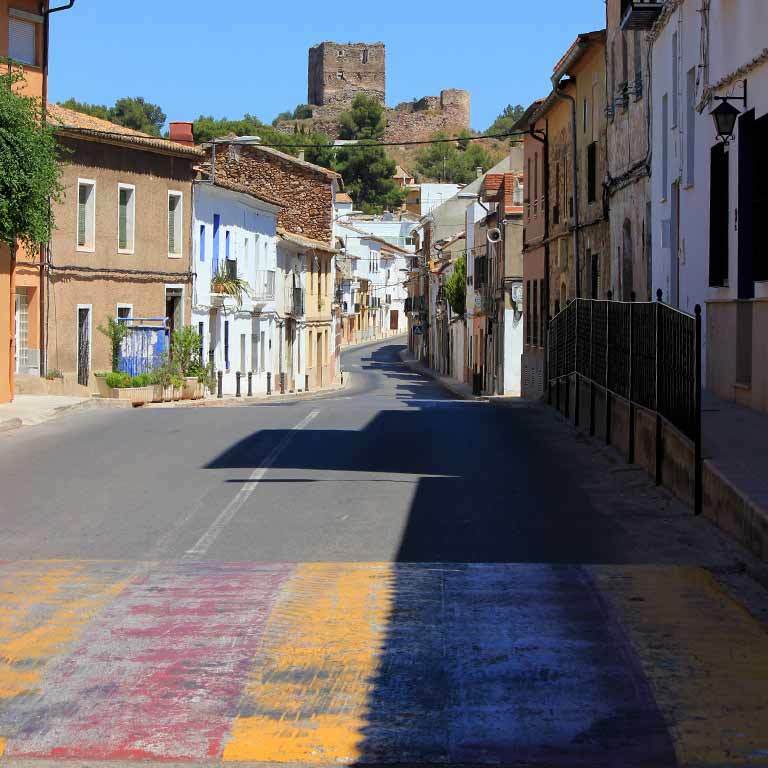 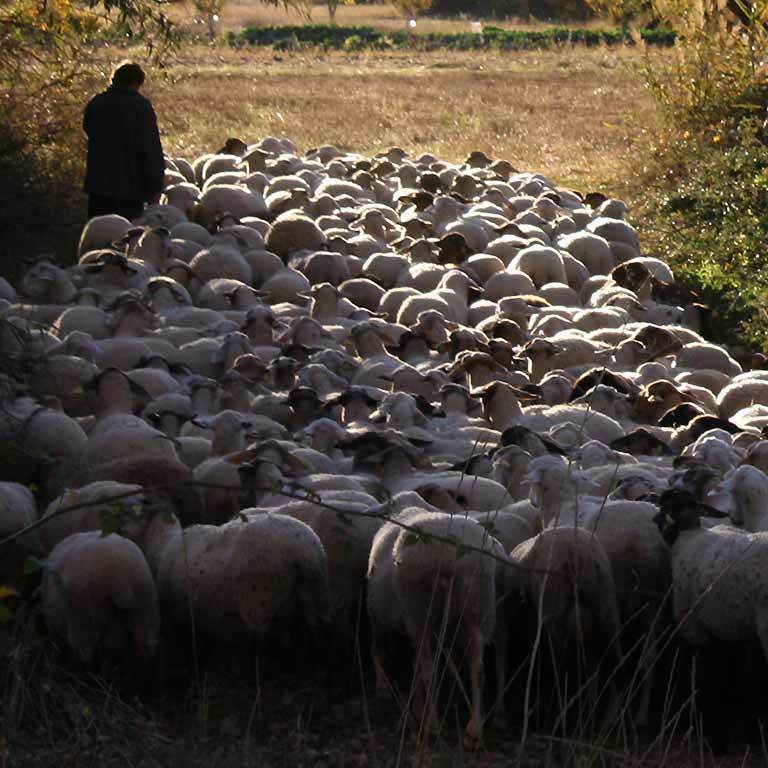 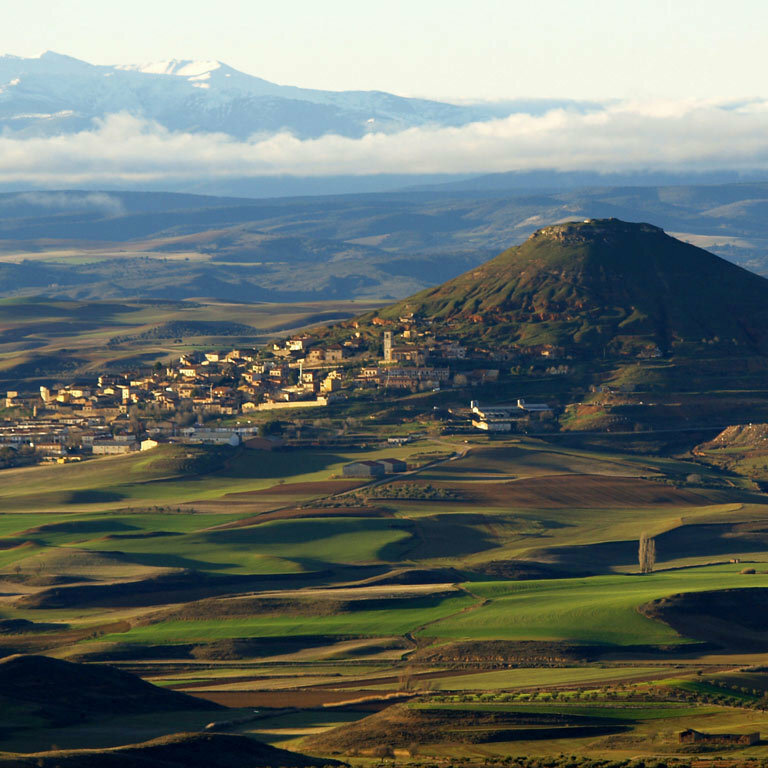 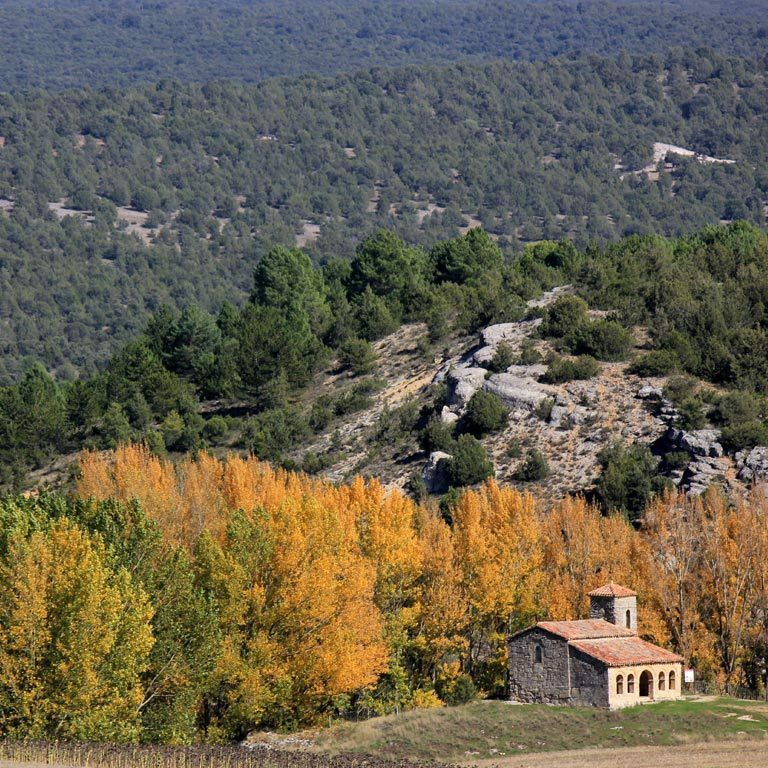 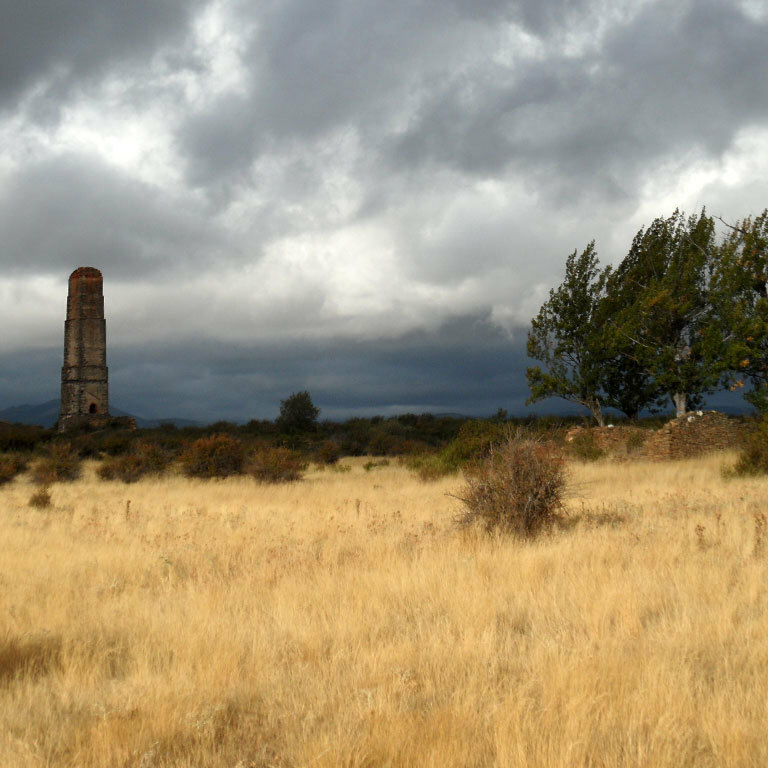 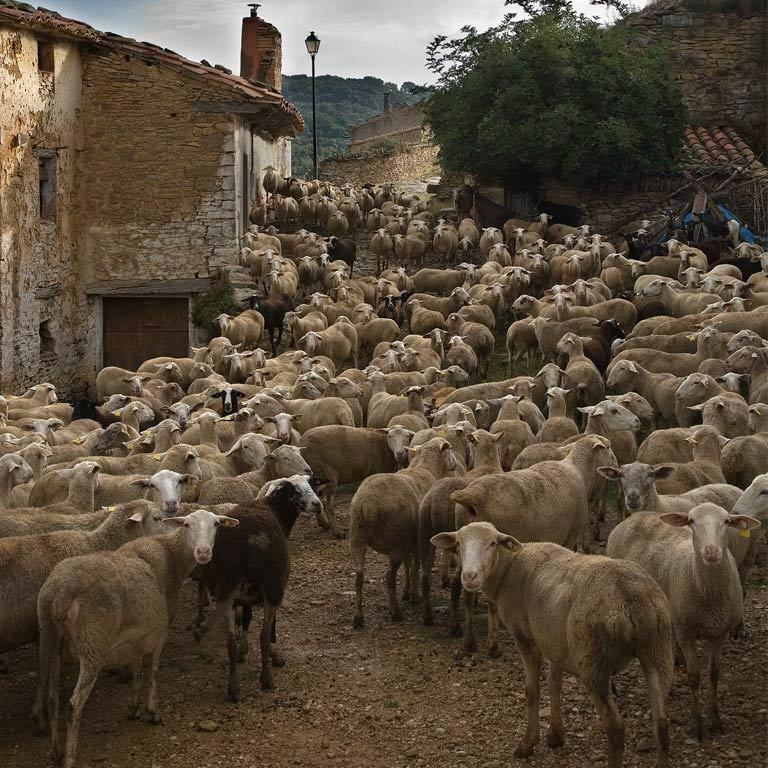 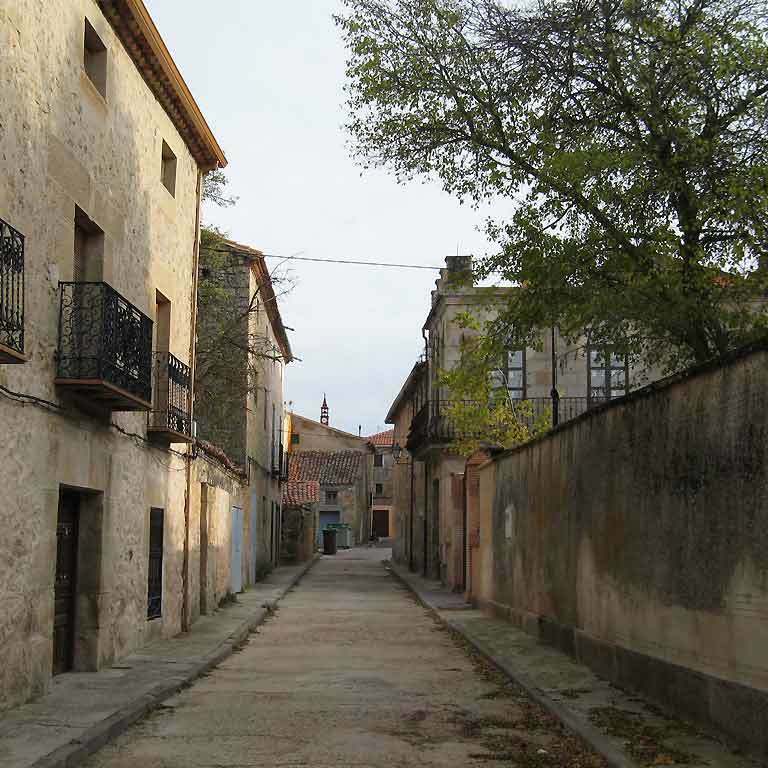 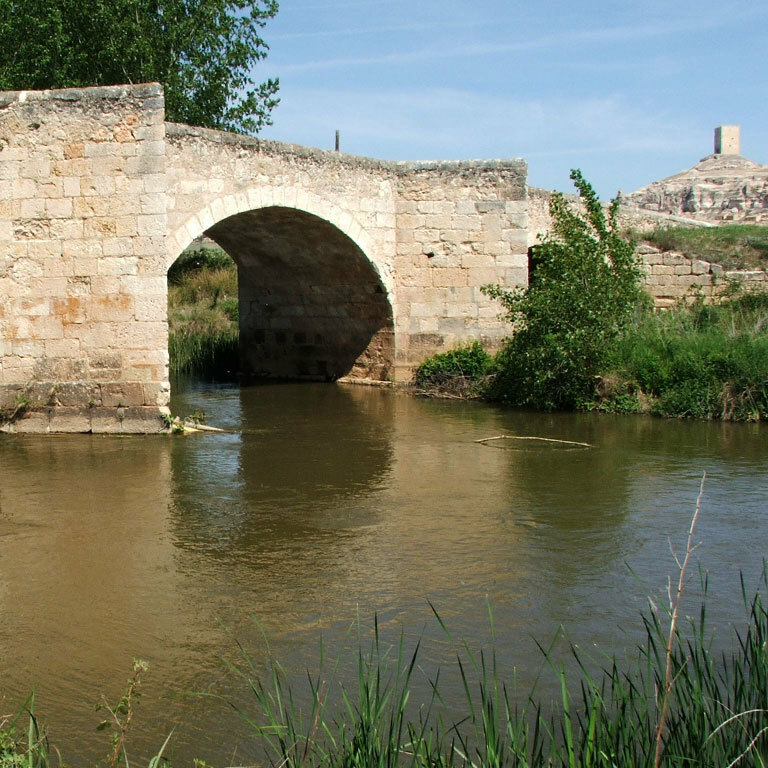 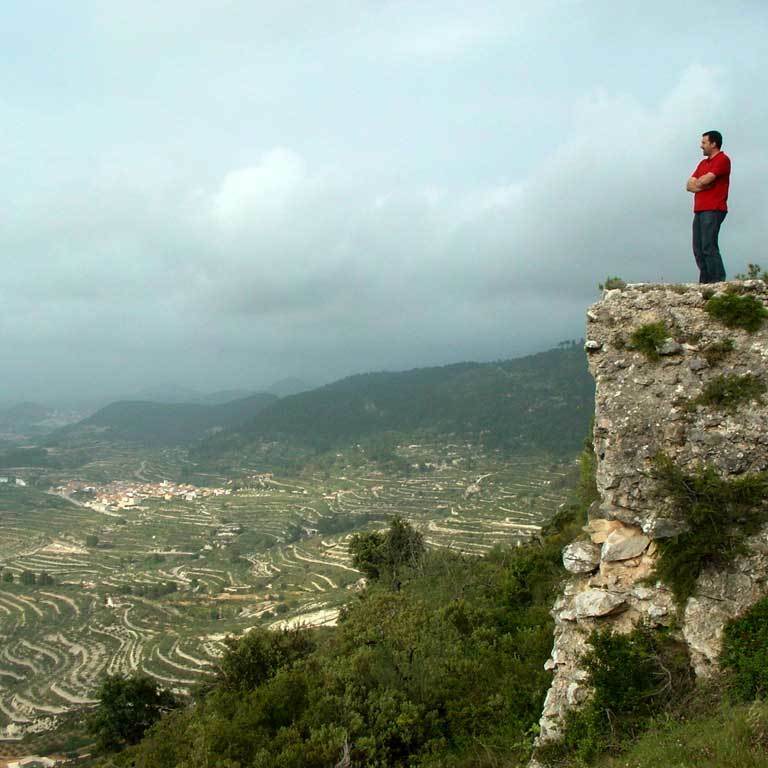 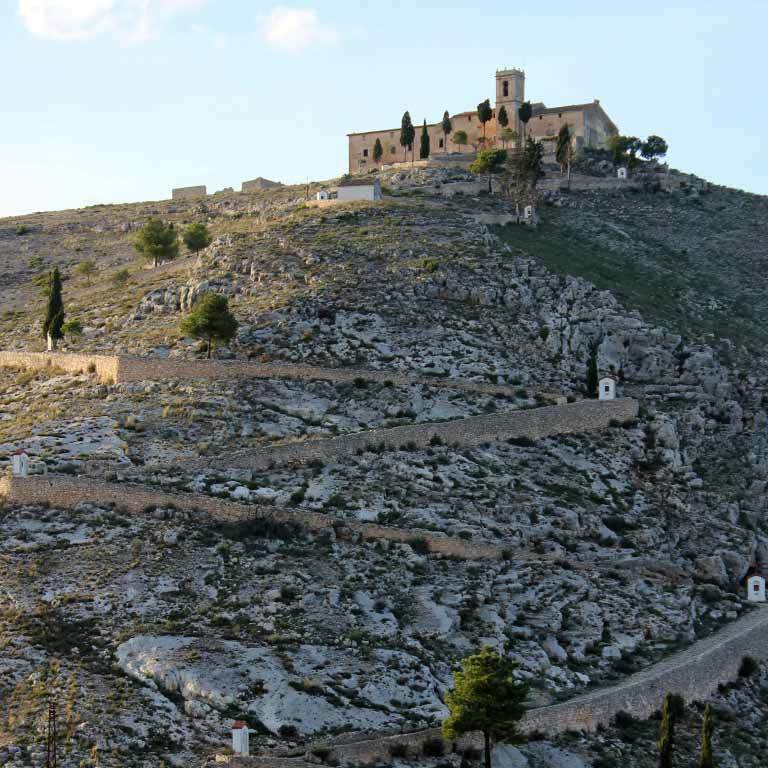 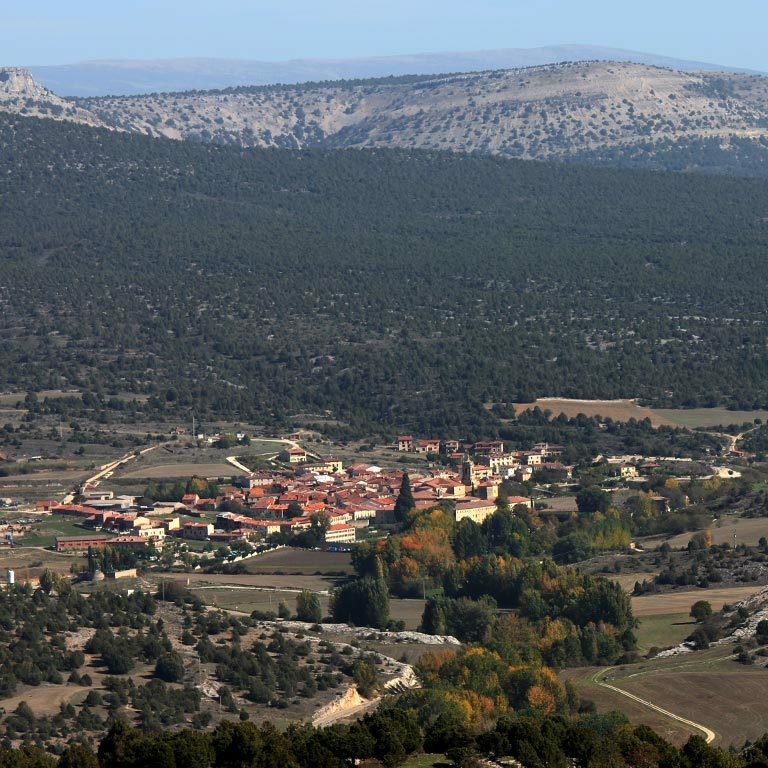 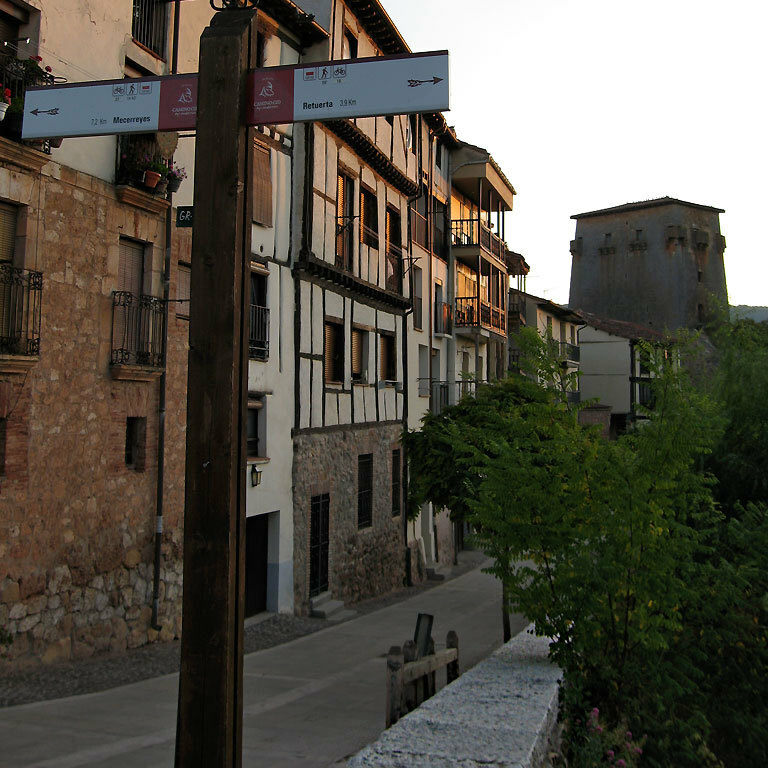 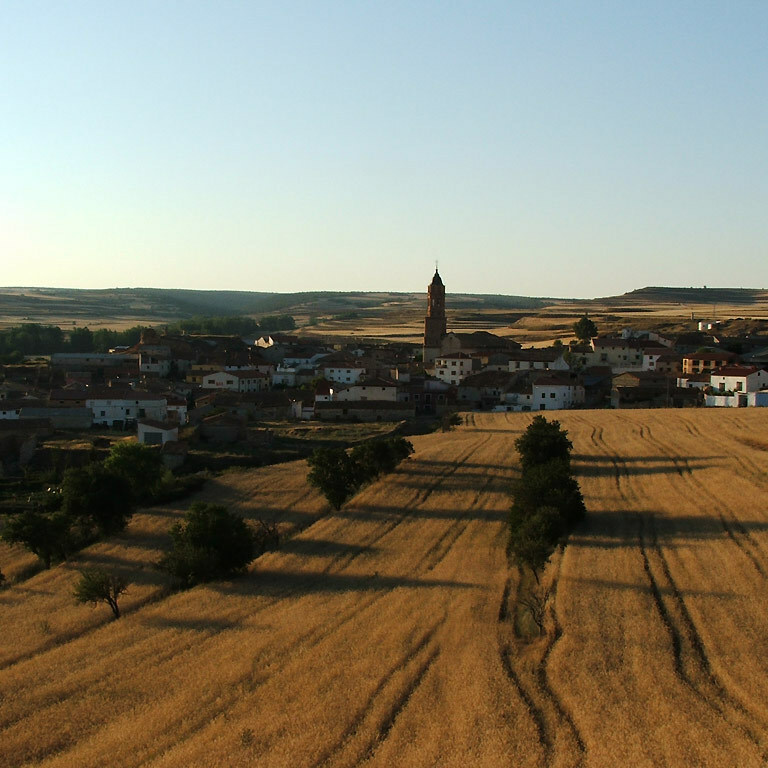 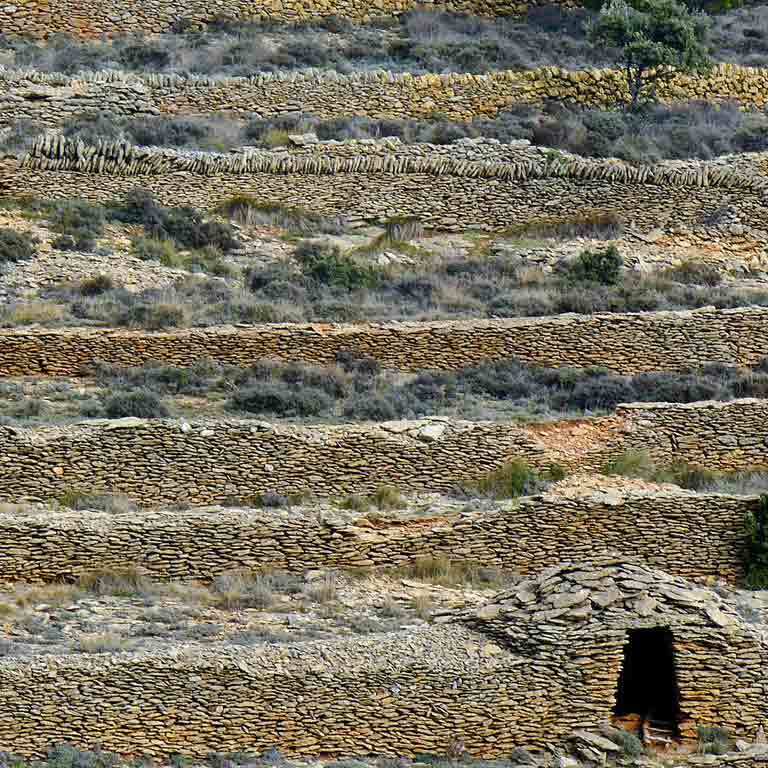 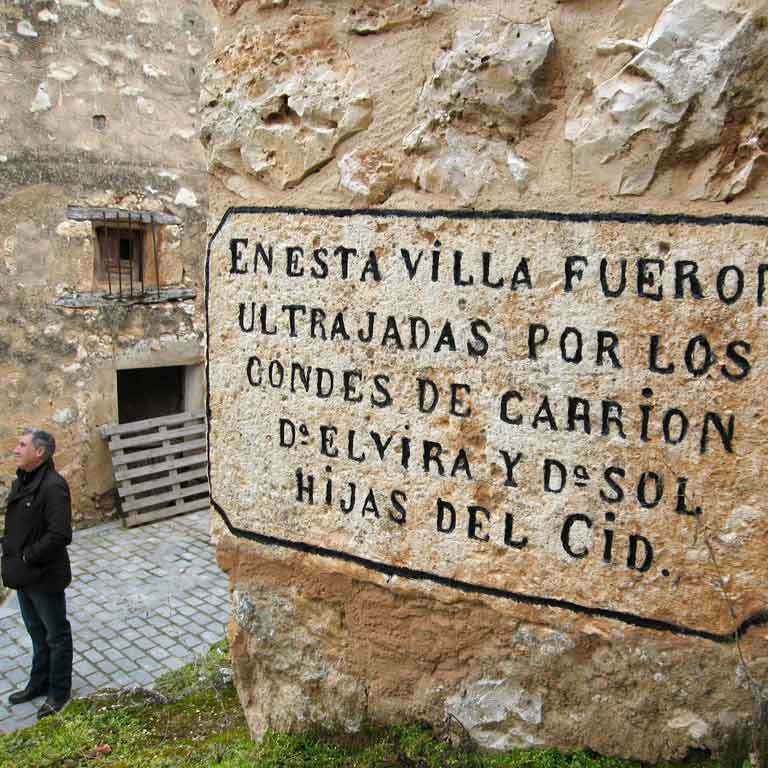 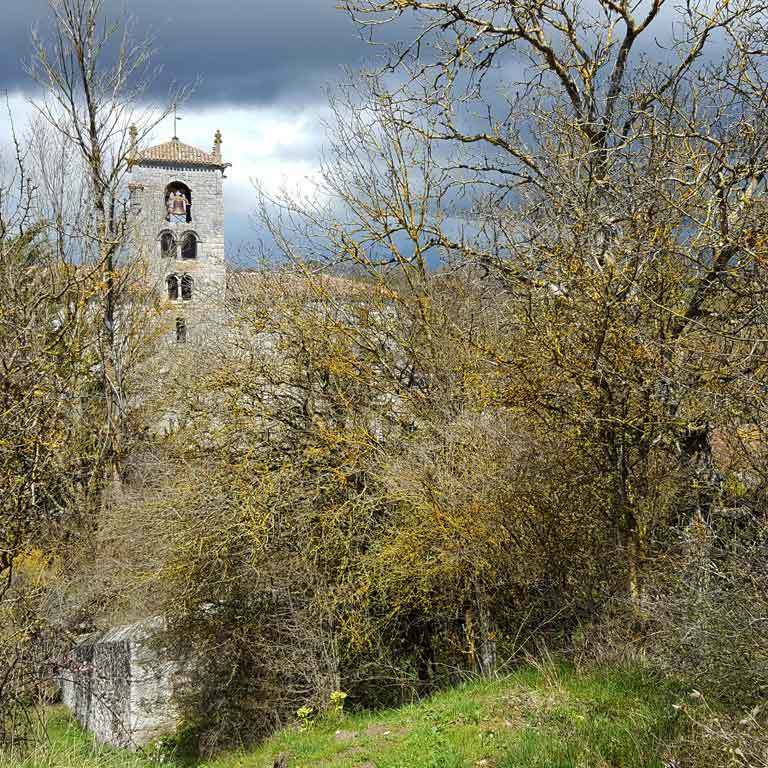 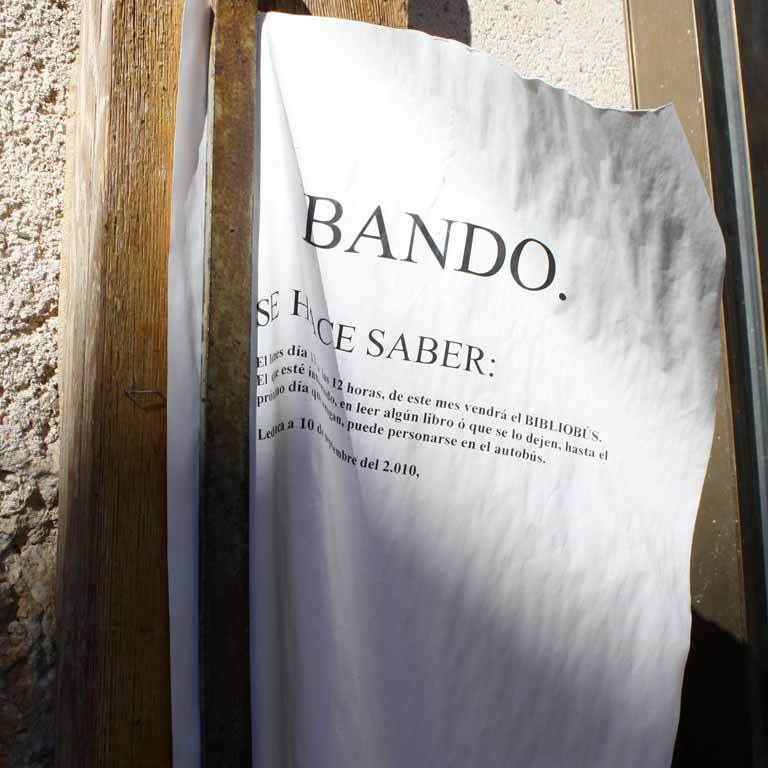 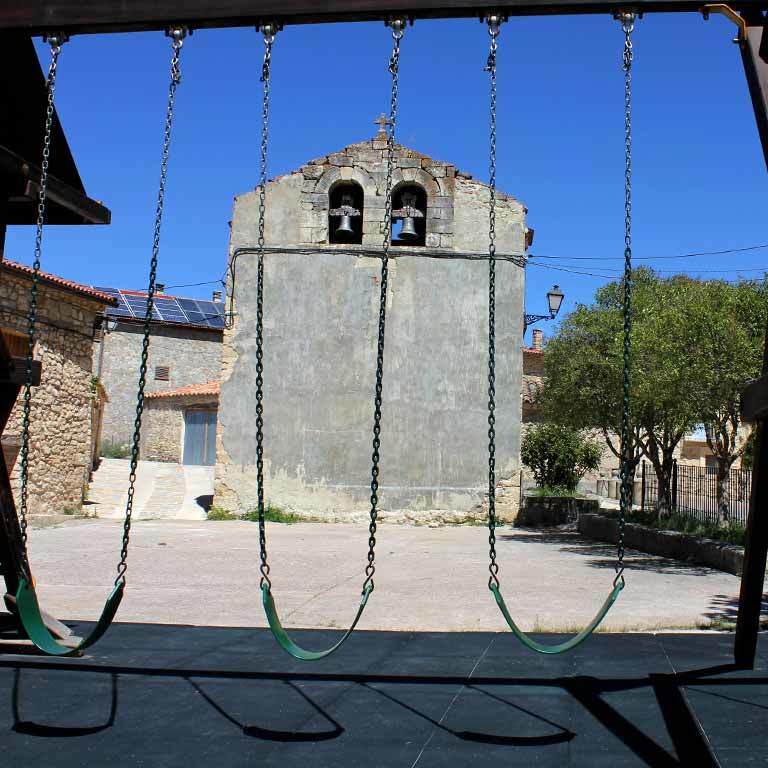 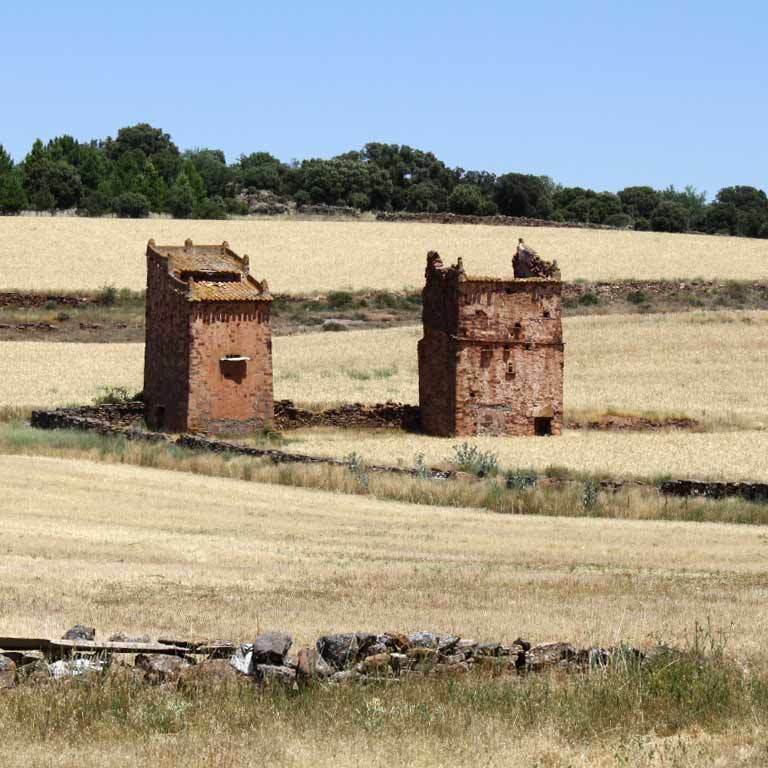 The Way of El Cid has 39 villages declared Historical and/or Artistic Sites by the Spanish government. 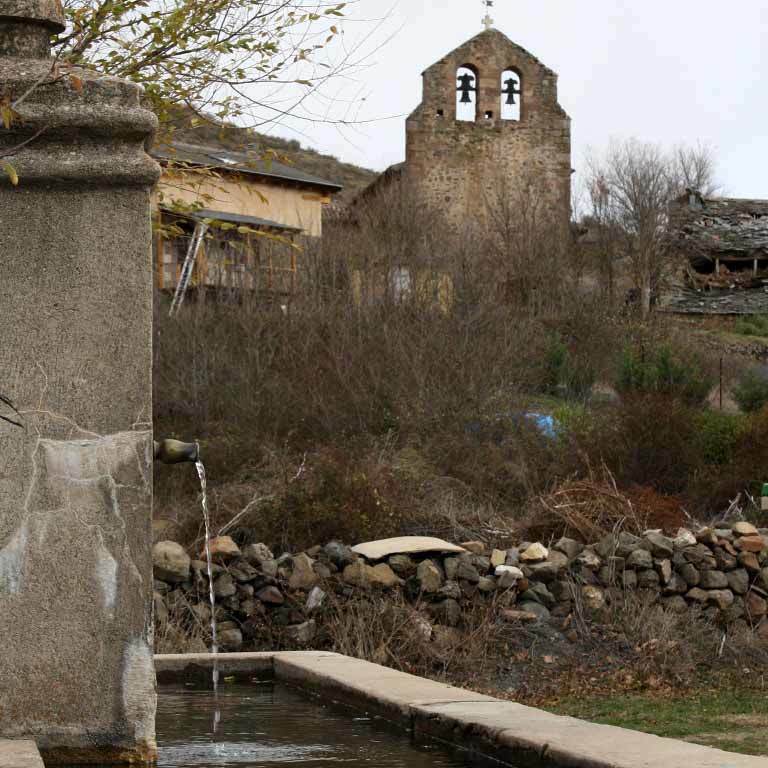 Villages which, for their history, heritage and beautiful surroundings deserve special protection as acknowledgment of their intrinsic value and tourist attractions. 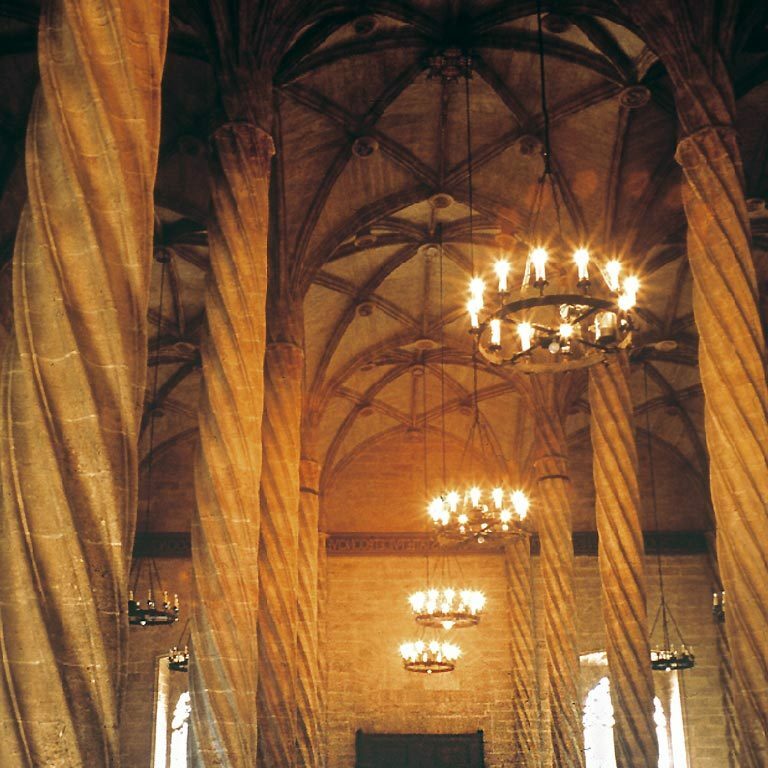 Make sure you visit them. 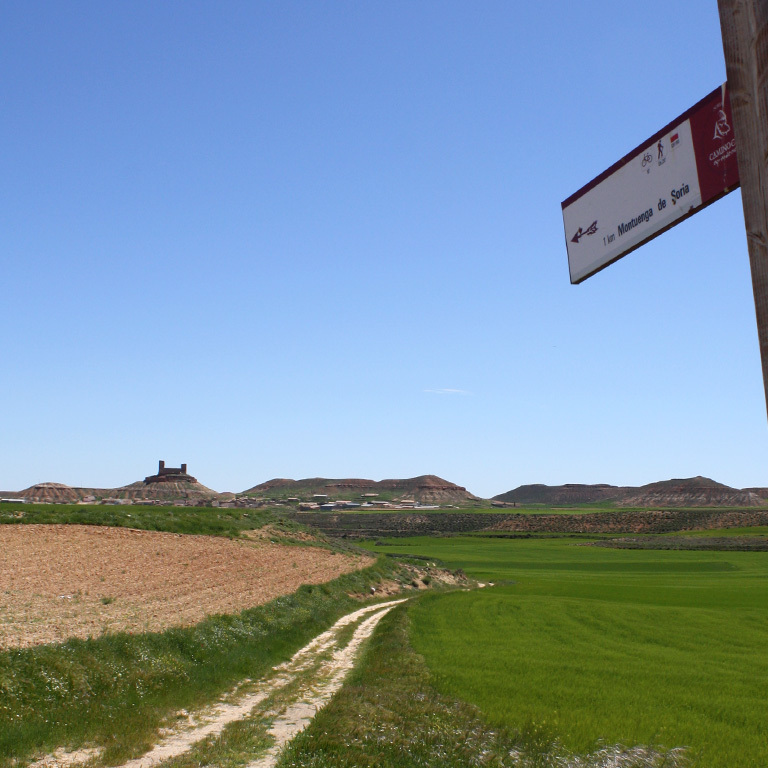 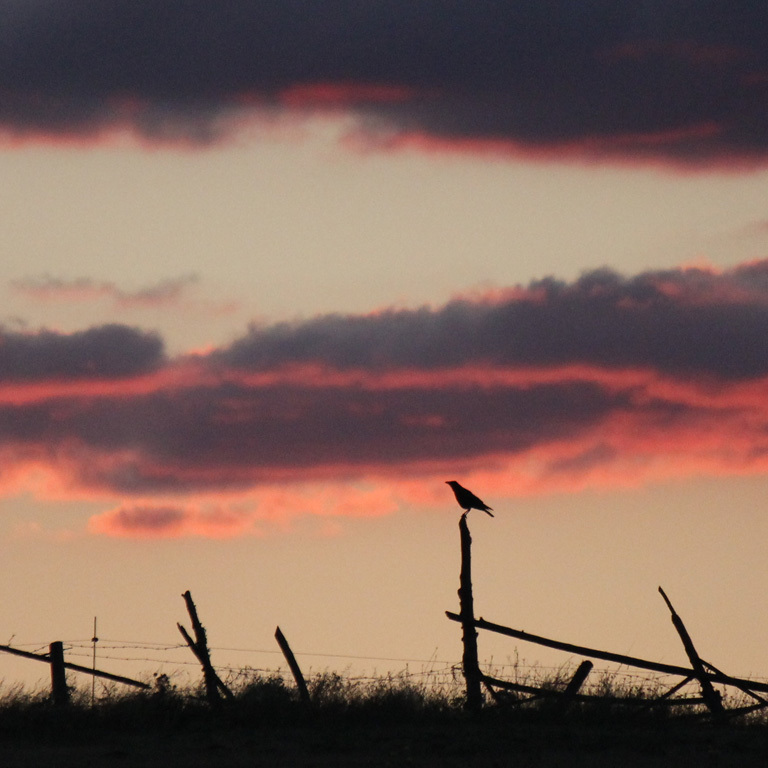 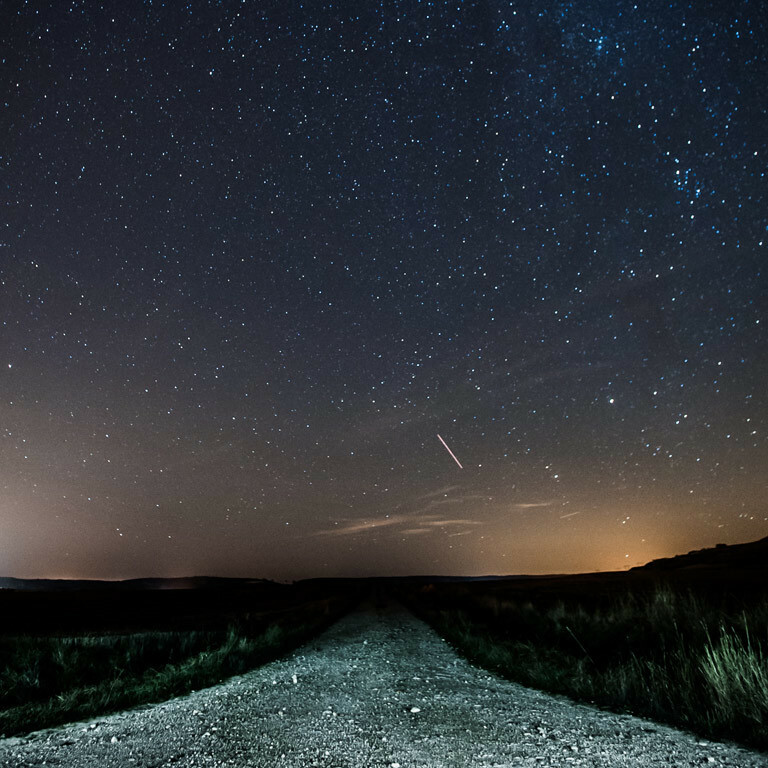 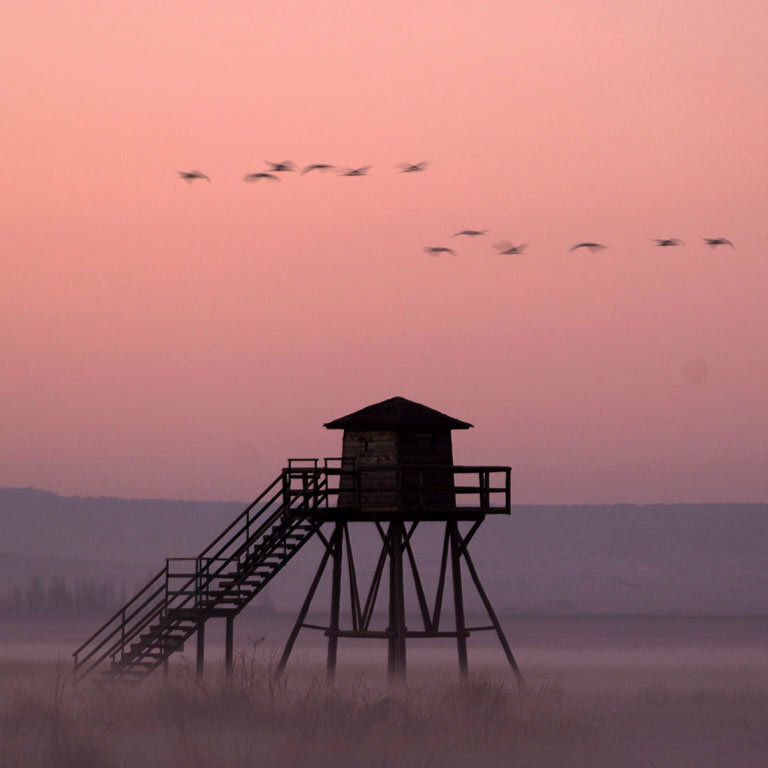 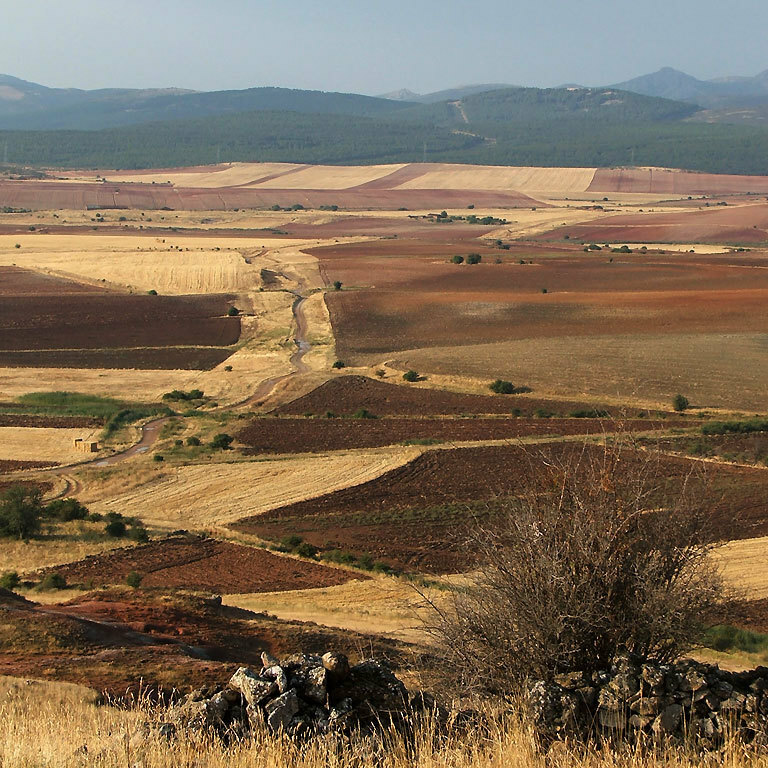 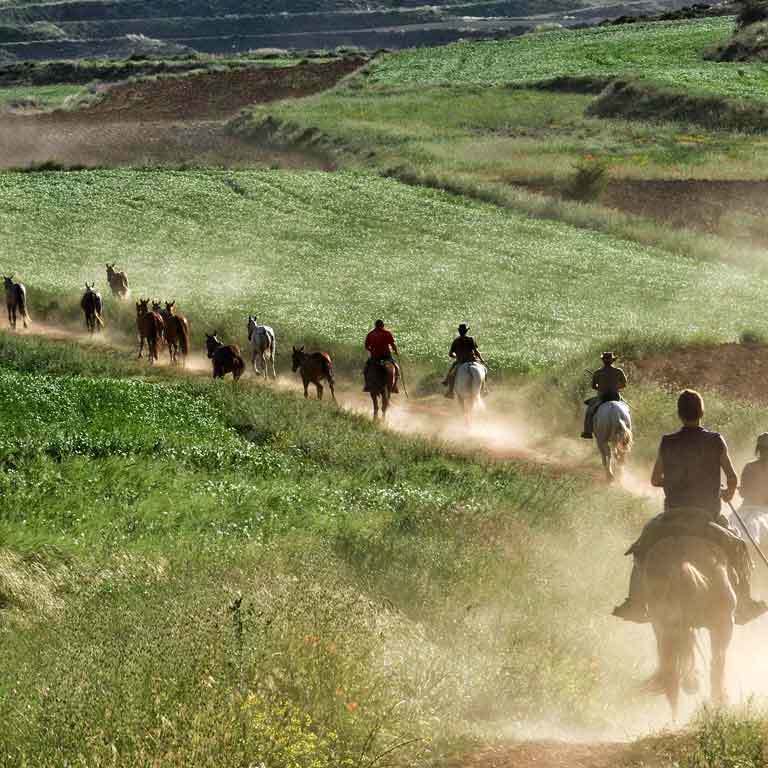 The Way of El Cid crosses mostly rural areas of Spain with few inhabitants. 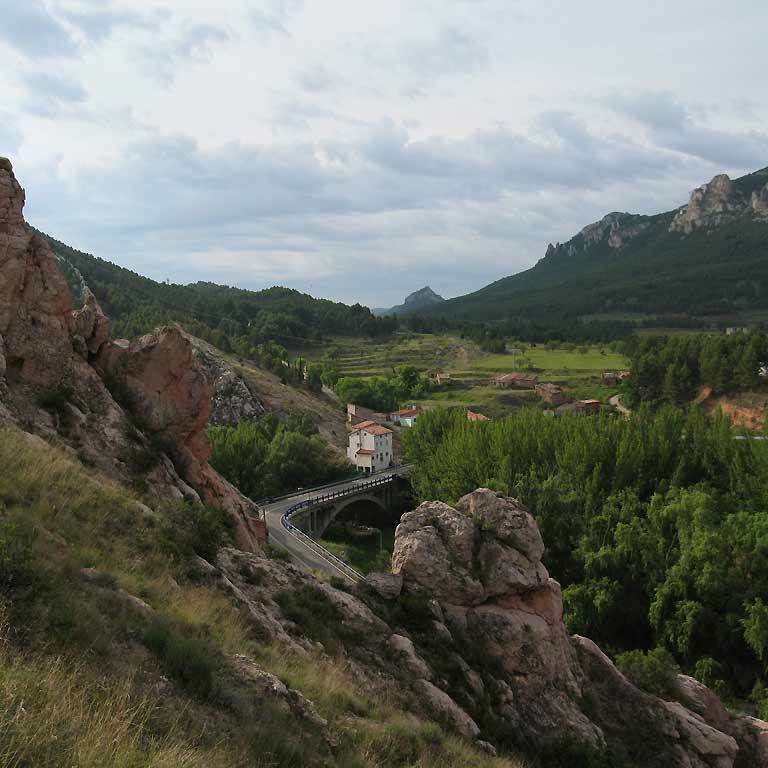 This makes for a different travel experience that is very attractive for rural tourism enthusiasts, full of country roads in the open air. 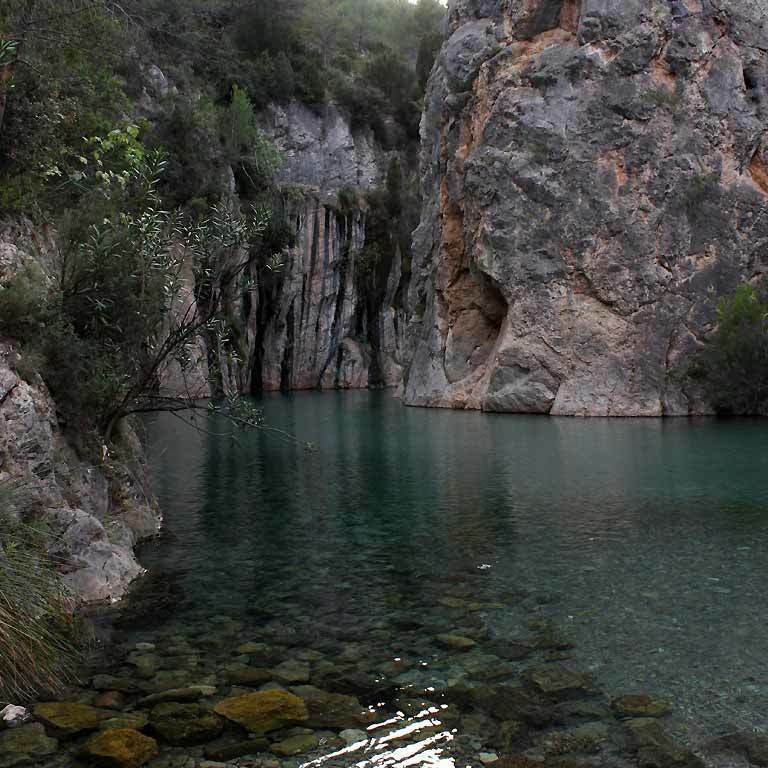 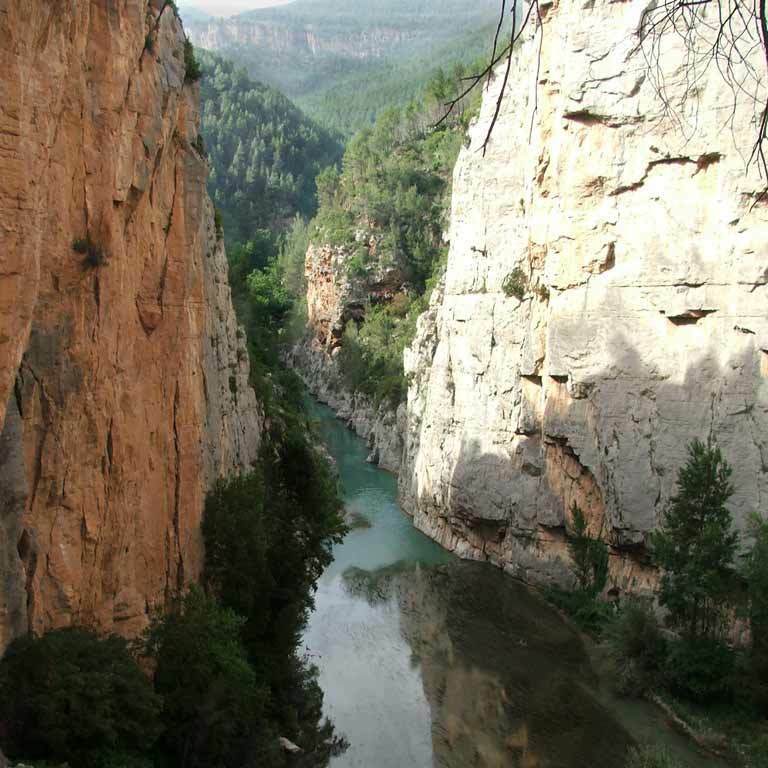 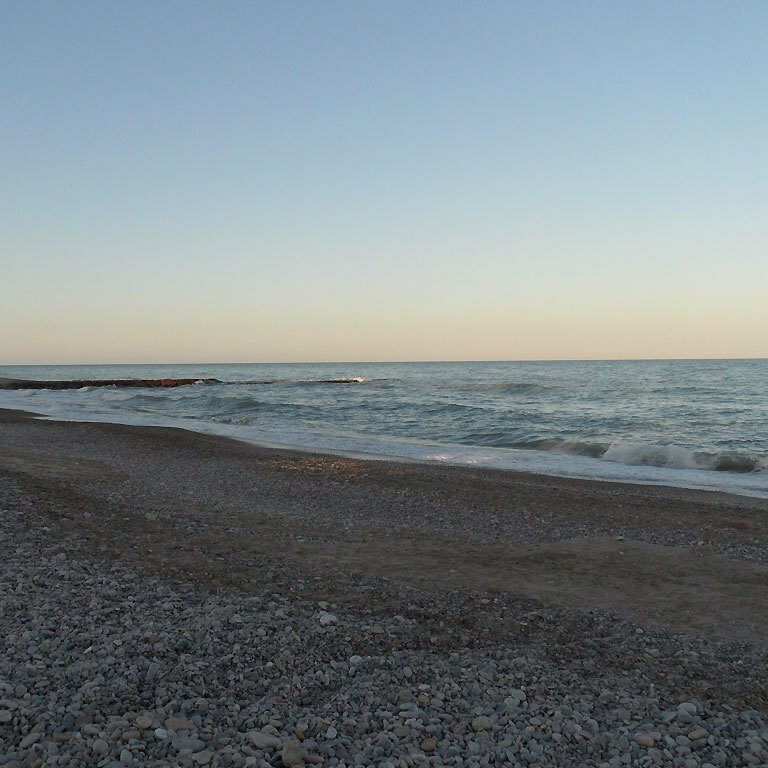 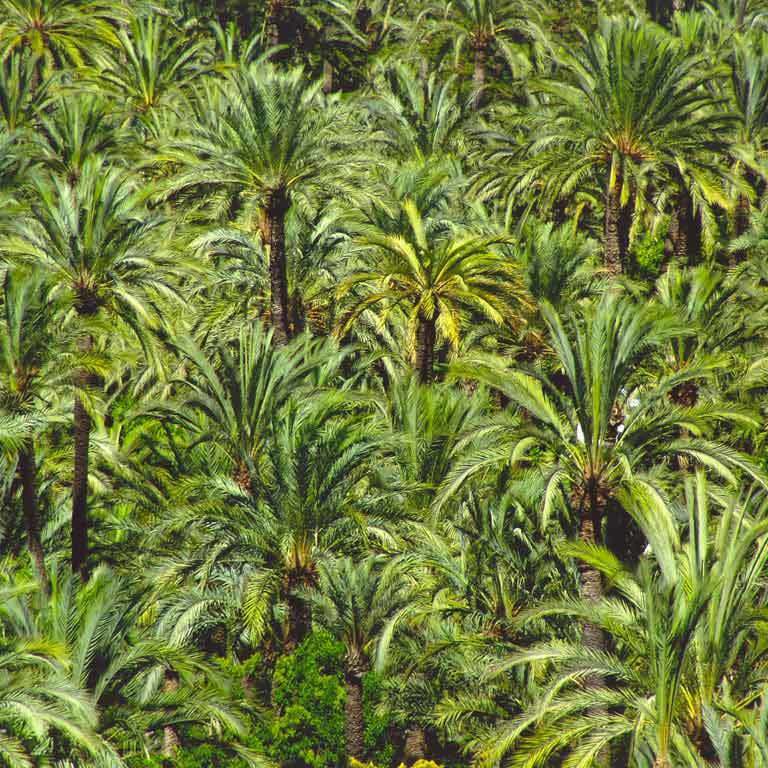 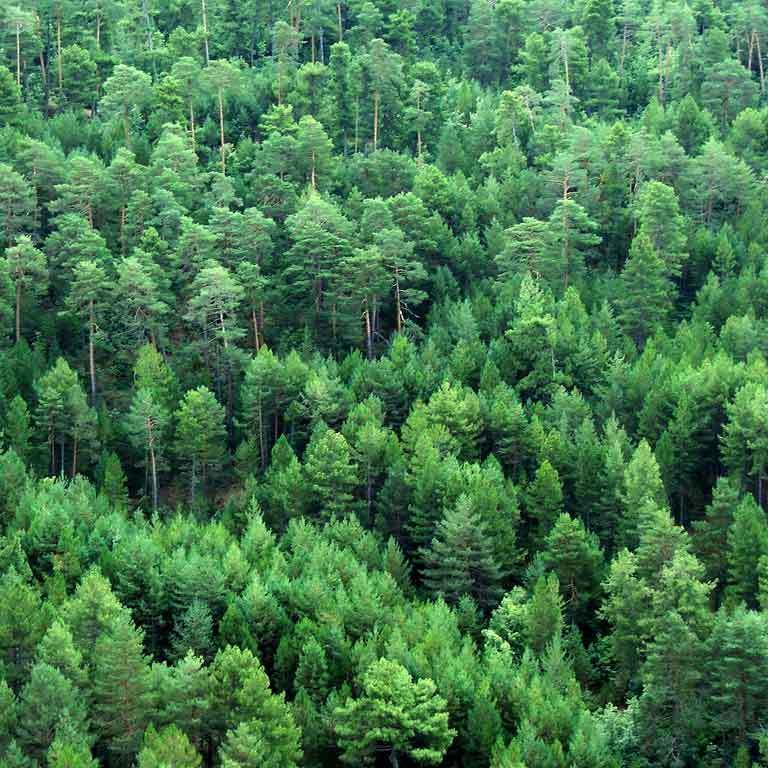 The route crosses more than seventy country areas protected by the Natura 2000 Networking Programme, forming a mosaic of rivers, valleys, mountains and plateaus that inevitably lead to the sun-laden beaches of the Mediterranean. 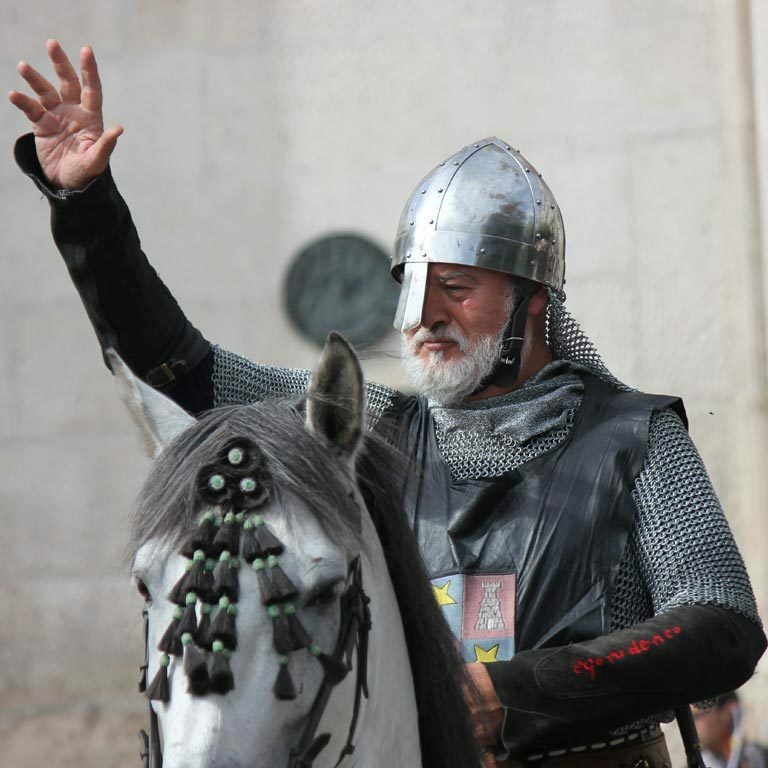 The things most foreign travellers say after doing the Way of El Cid are: “I didn’t expect it" and “The best thing were the people”. 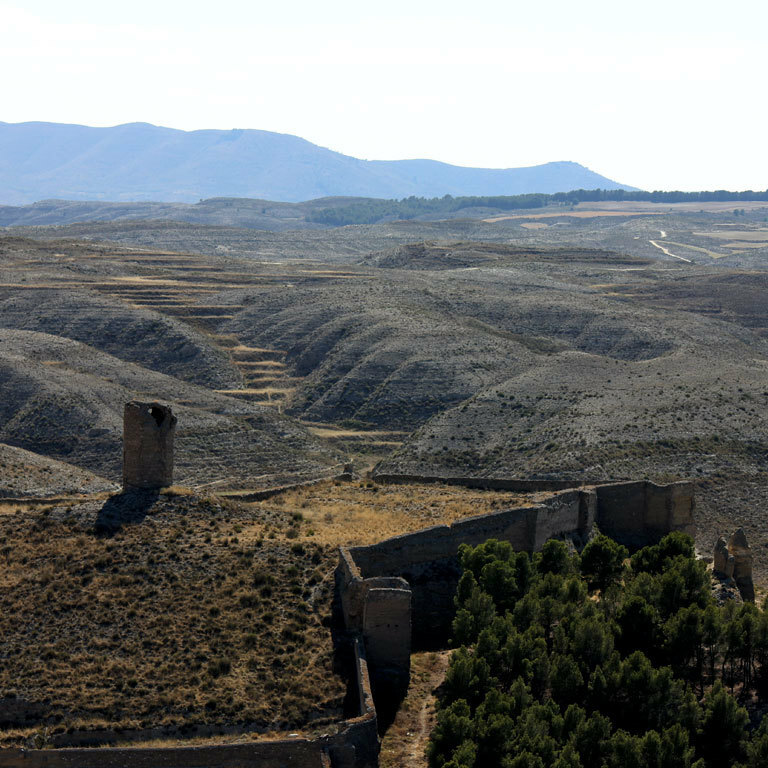 An important part of the Way of El Cid during the Middle Ages was borderland with hardly any population. 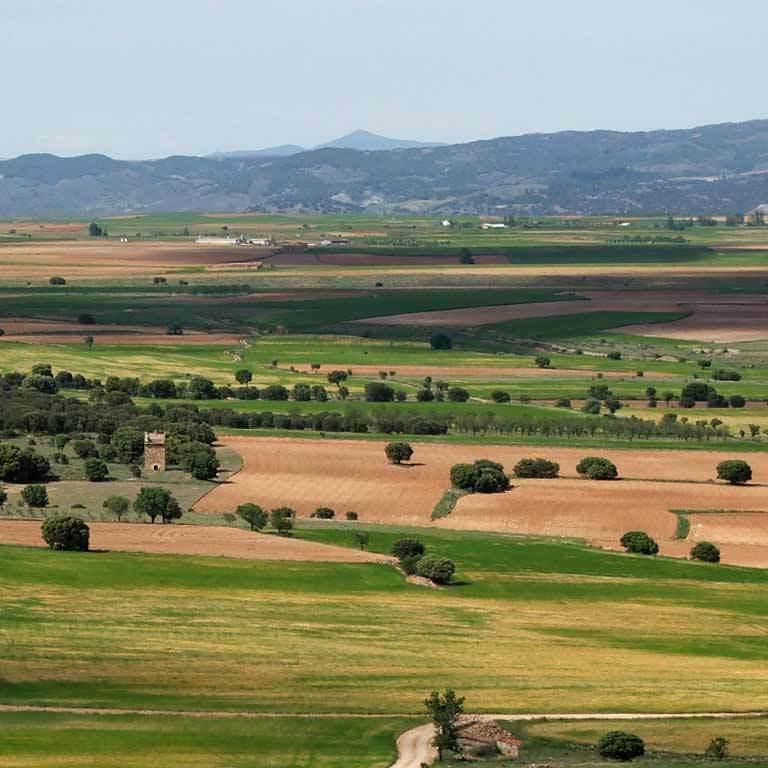 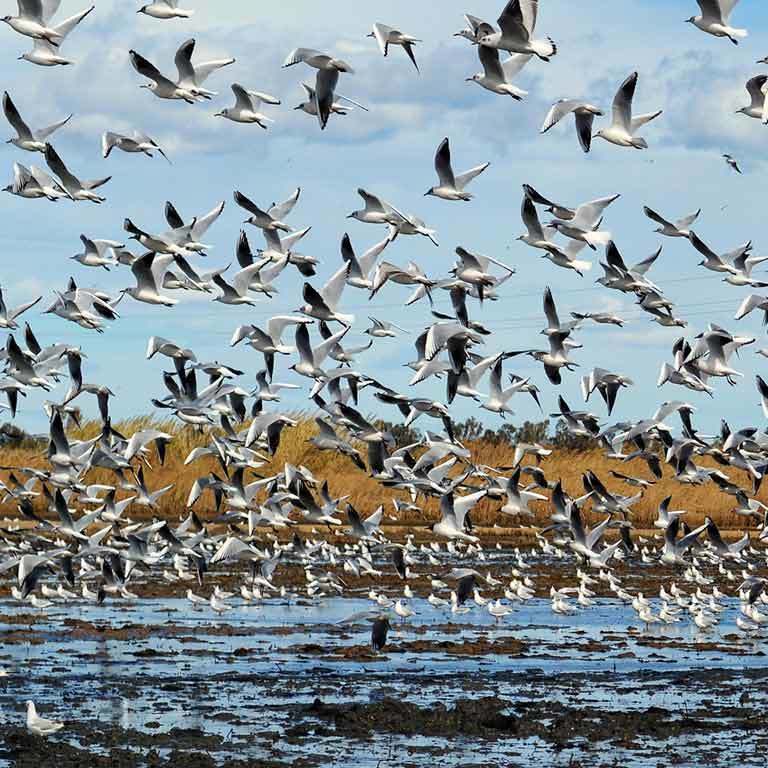 Things have not changed much since then: in certain regions the population density does not exceed 8 inhabitants per km2 (in Germany the figure is 229; in France, 119; in Spain, 92; in the UK, 270; and in the Netherlands, 503 inhabitants/km2). 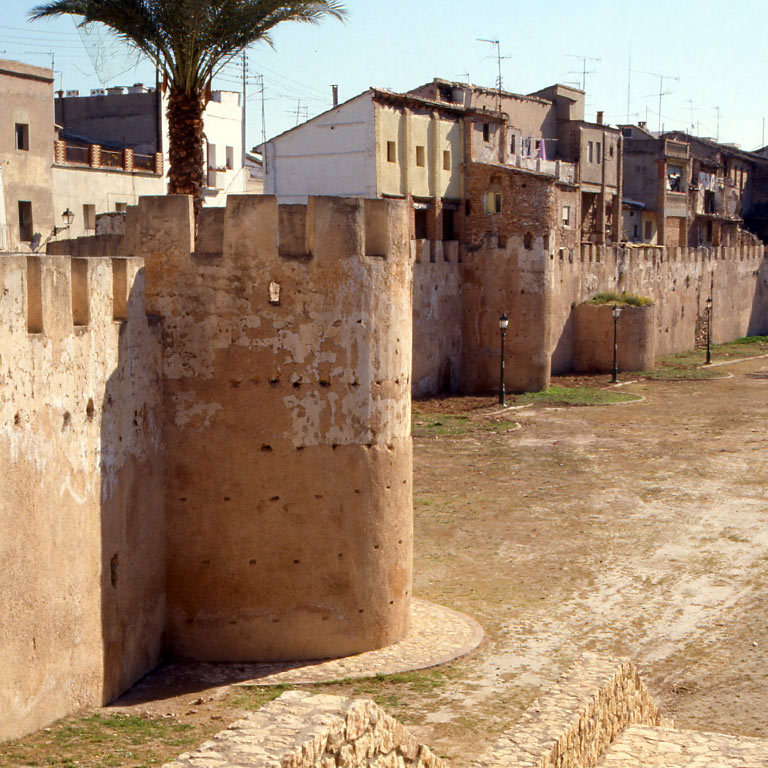 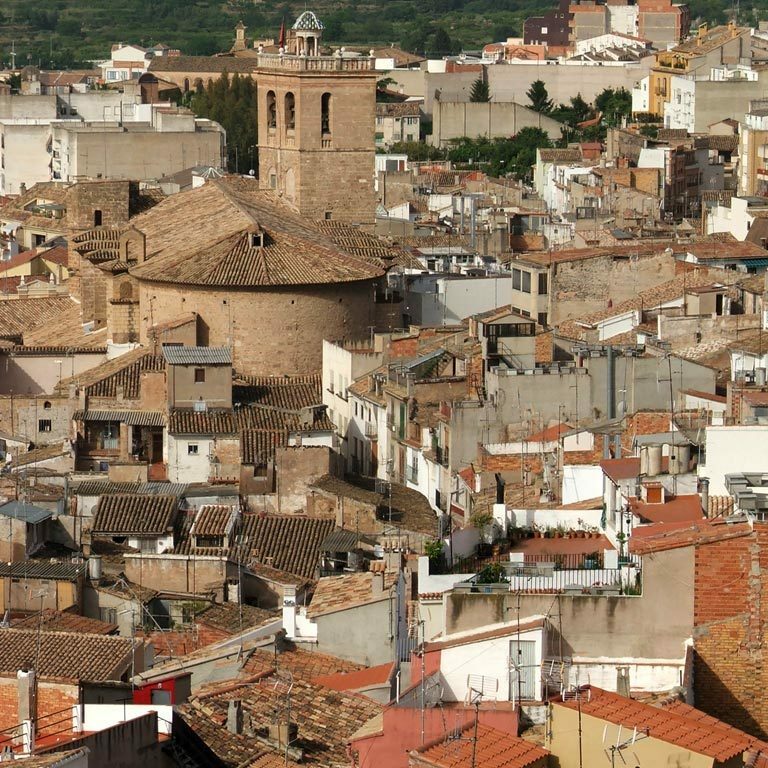 Although there are also cosmopolitan cities, such as Valencia, the main protagonists of the Way of El Cid are its small villages. 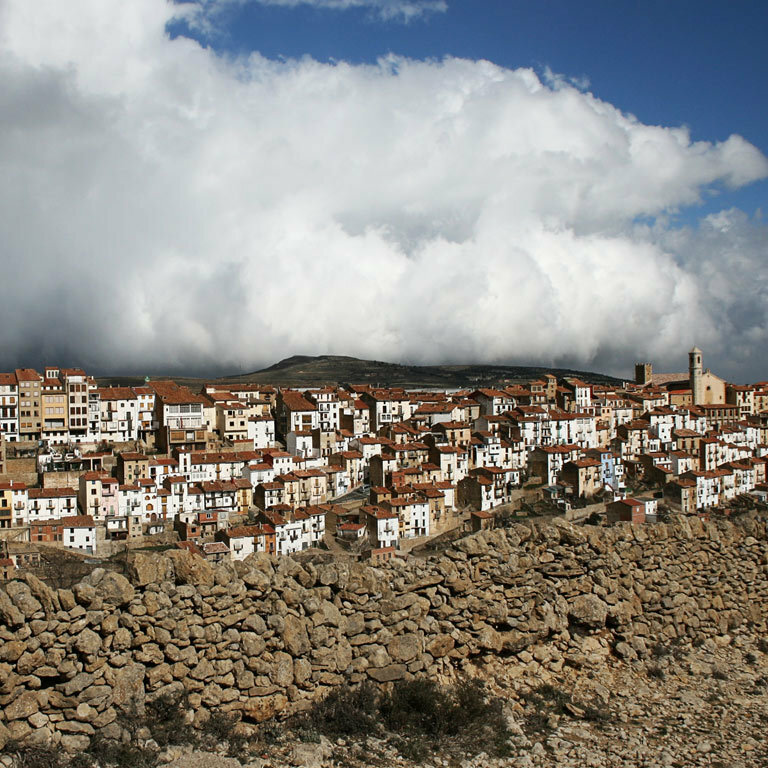 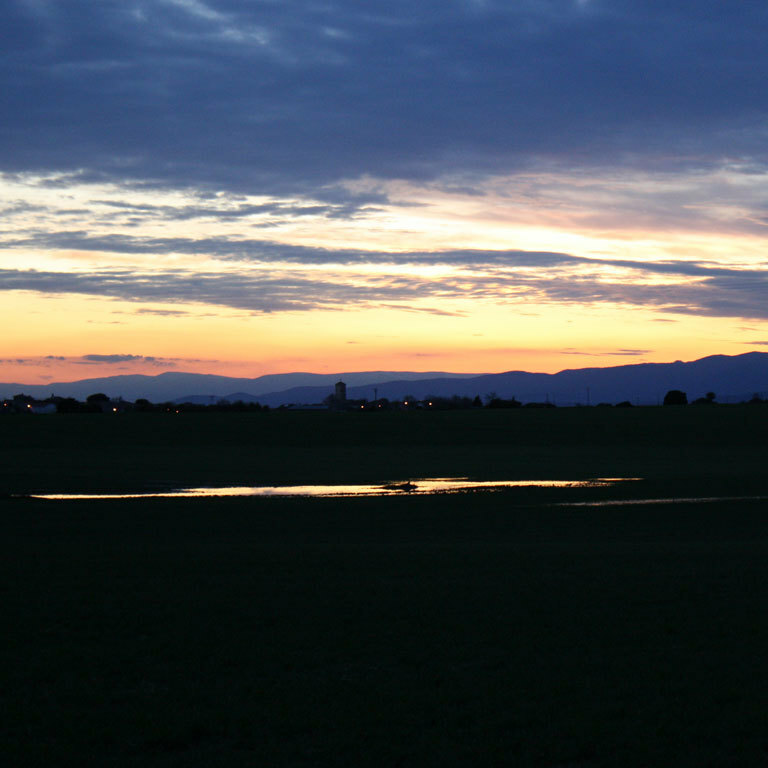 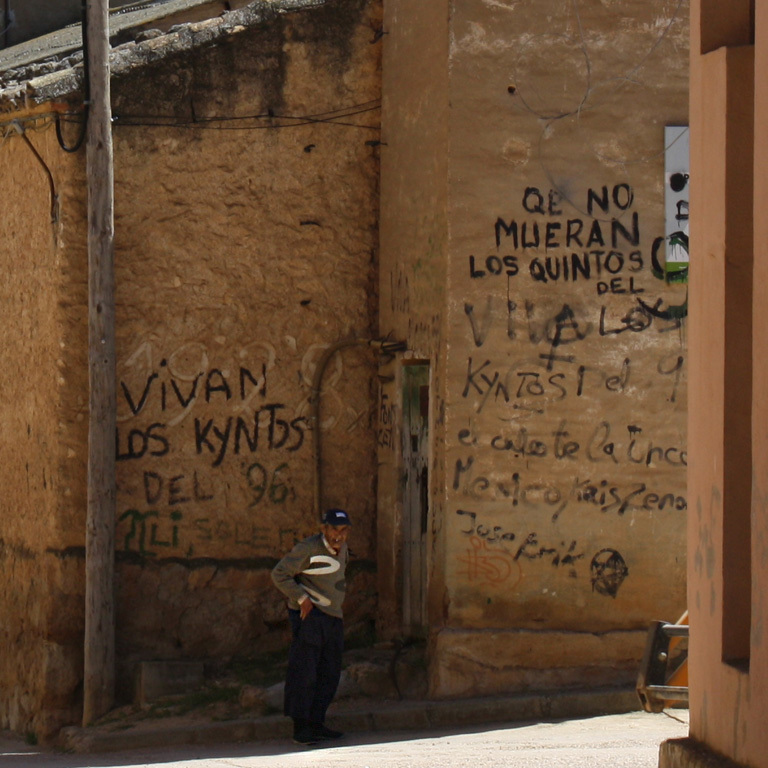 152 of the 387 villages on the route have fewer than 100 inhabitants. 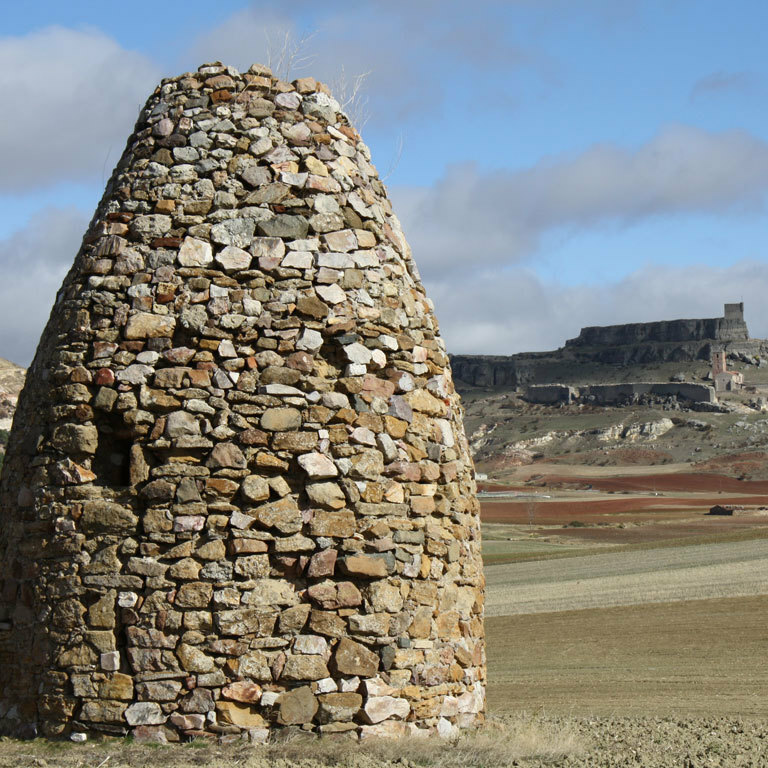 Many are direct descendants of the first settlers in these lands, who mastered them under precarious conditions. 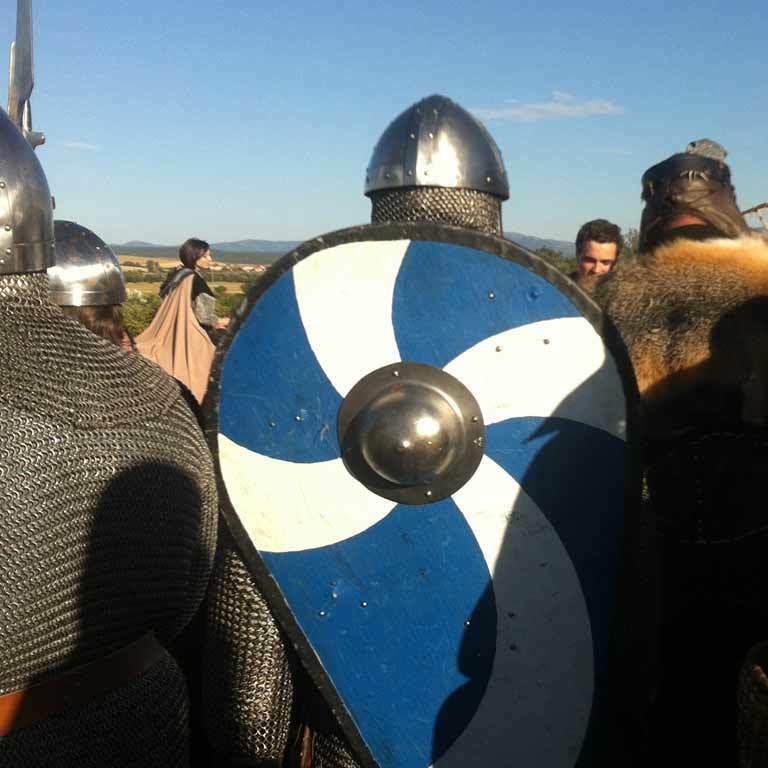 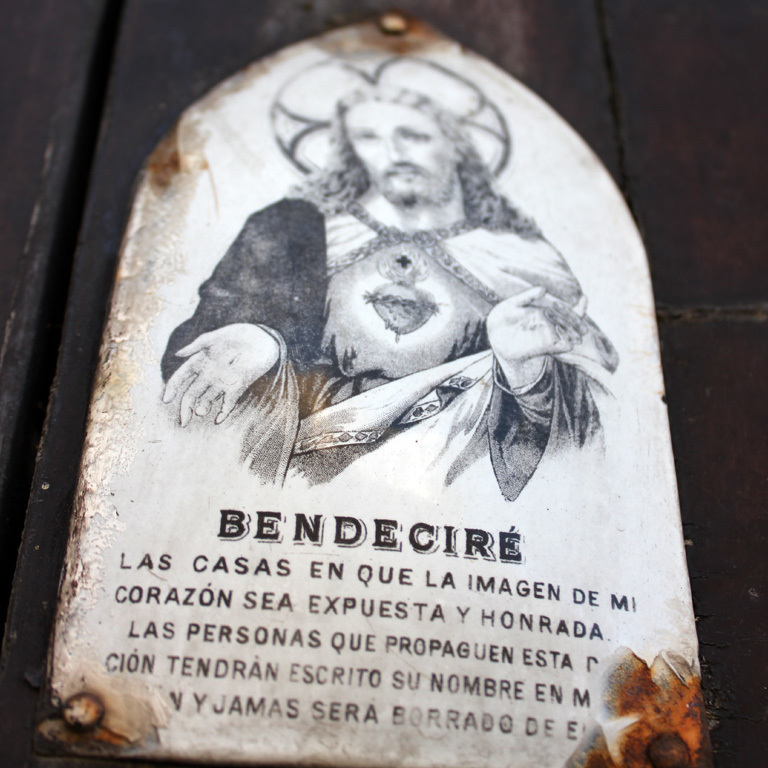 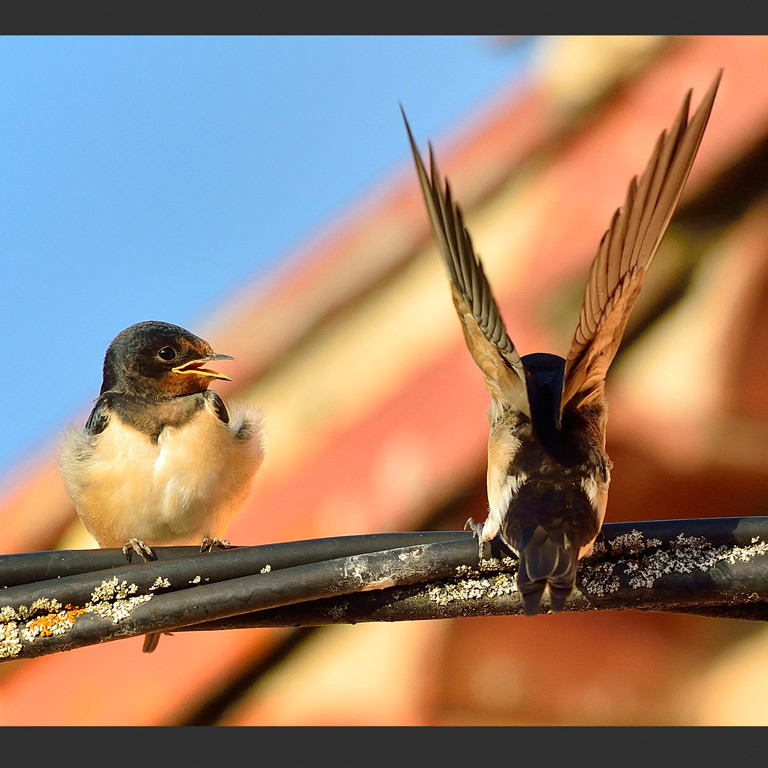 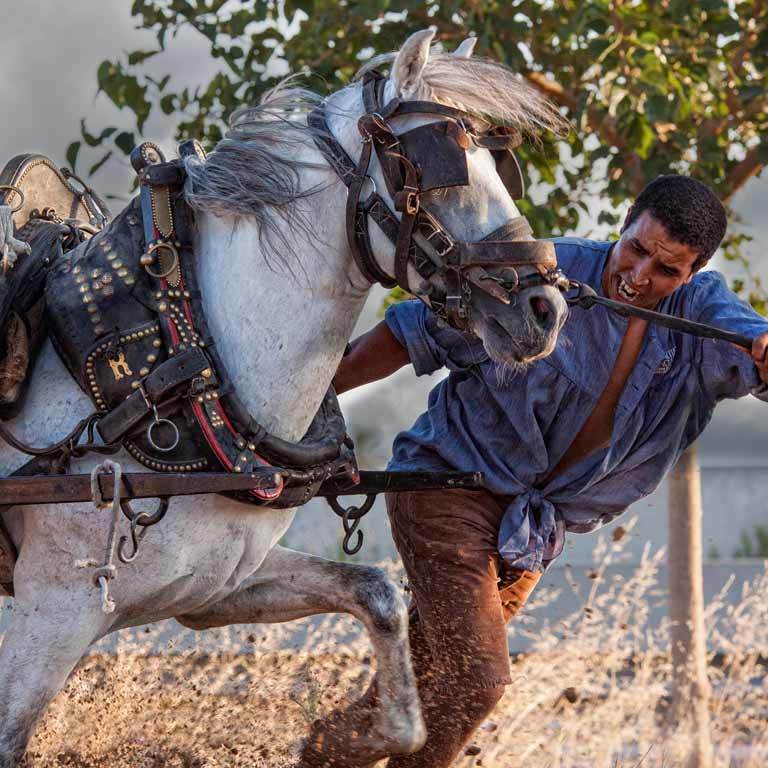 The greatest part of the Way of El Cid is its, pleasant, friendly people. 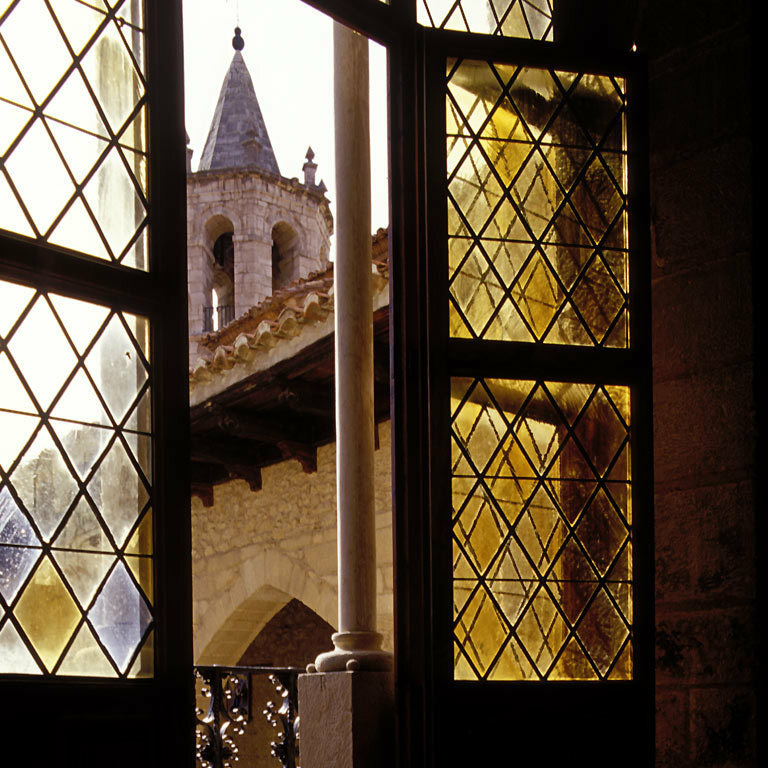 Here, you will feel welcome, safe and relaxed. 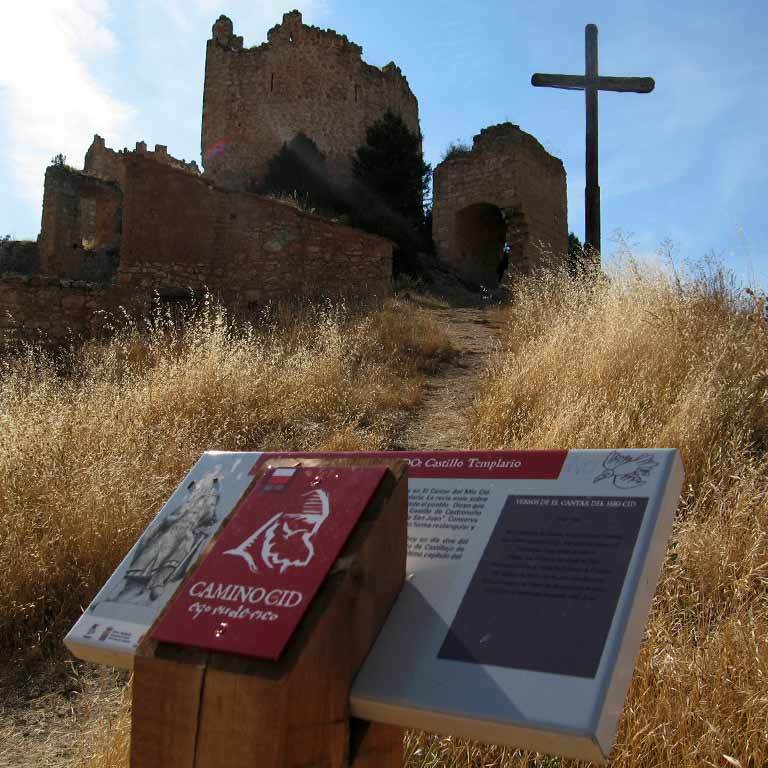 Most of the Way of El Cid crosses areas that were borderland, not only during the Middle Ages. 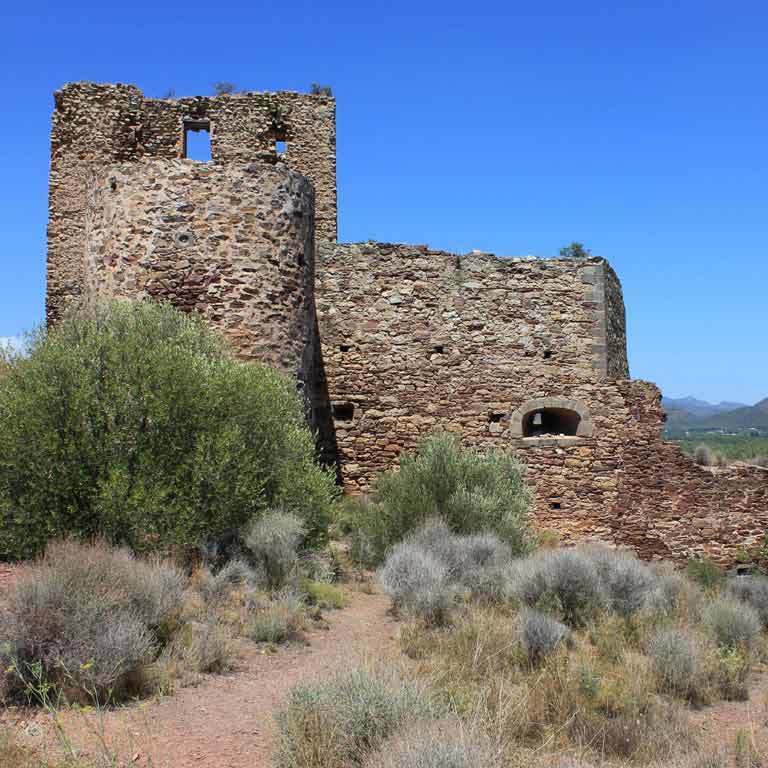 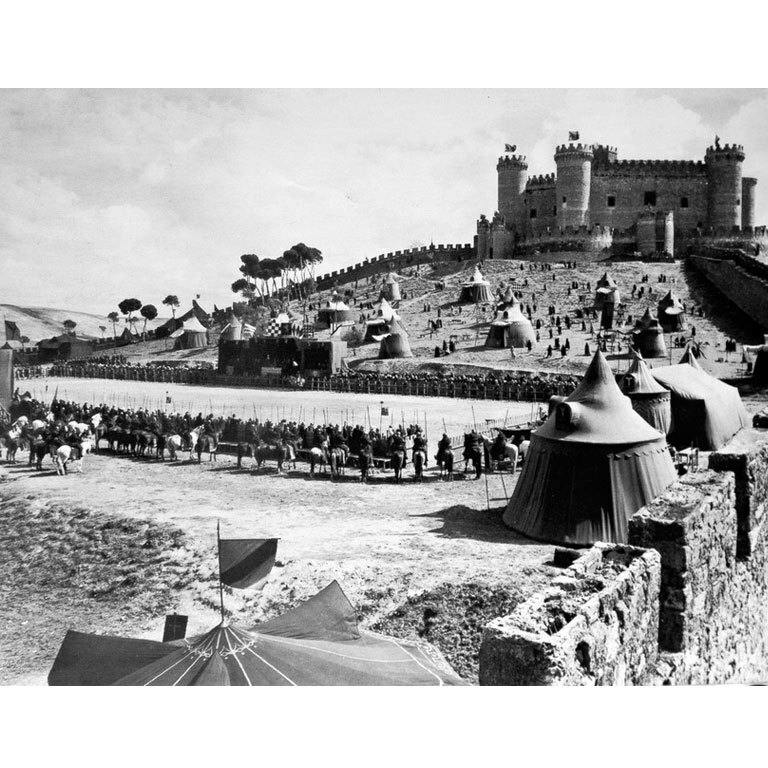 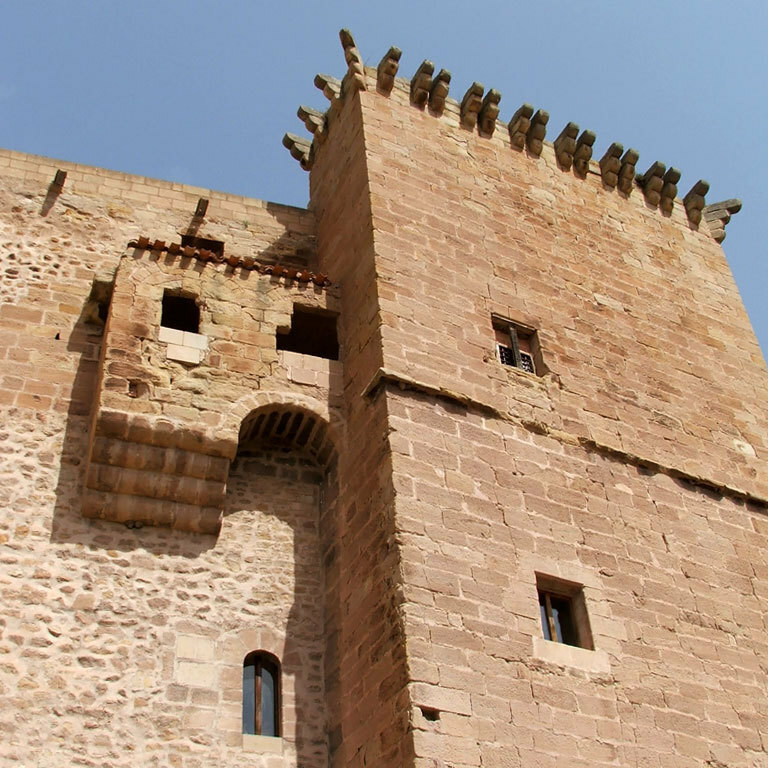 This has ensured the conservation of a good number of castles, lookout towers and military constructions built at strategic locations to defend or watch over mountain passes and valleys. 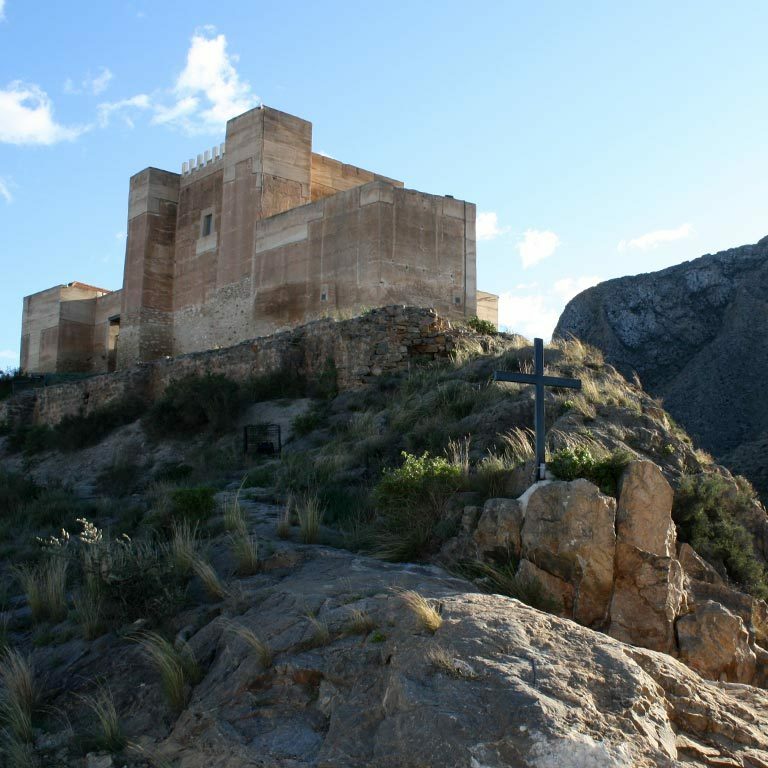 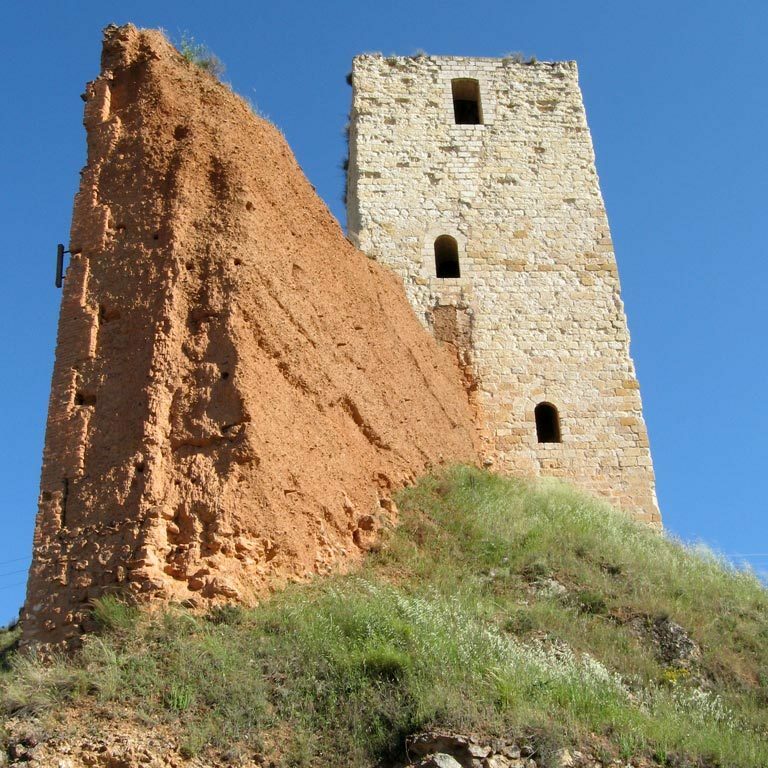 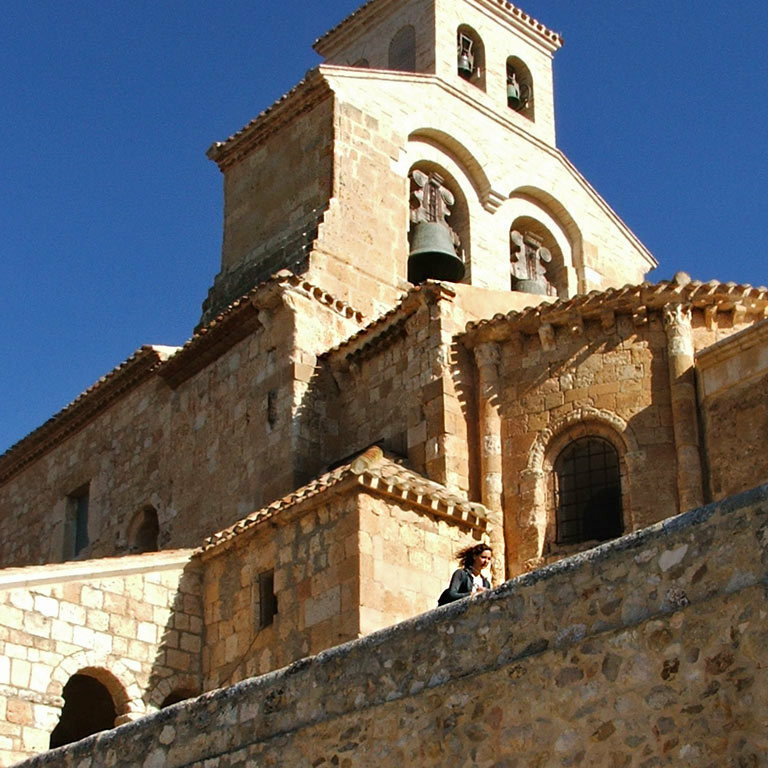 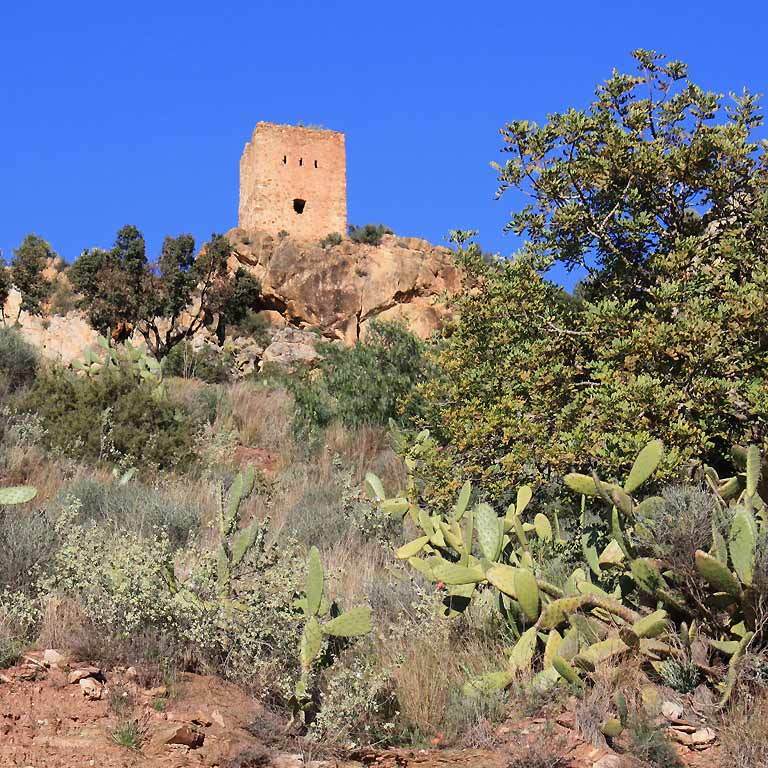 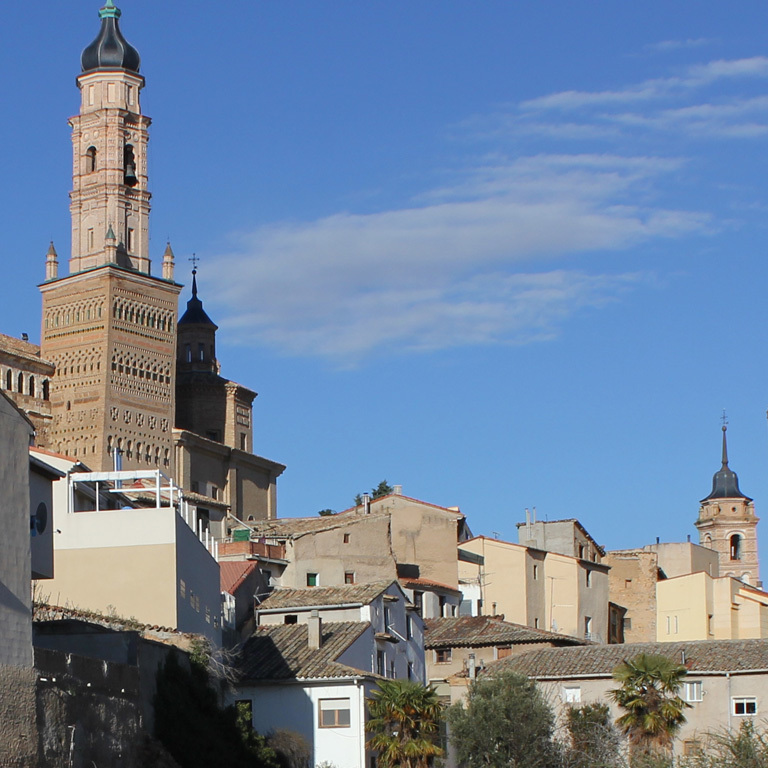 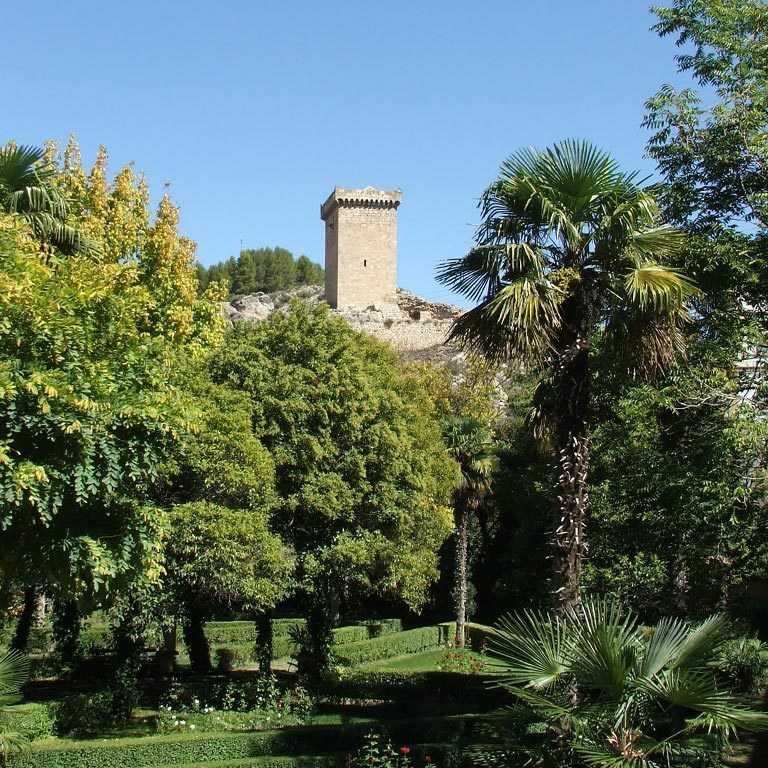 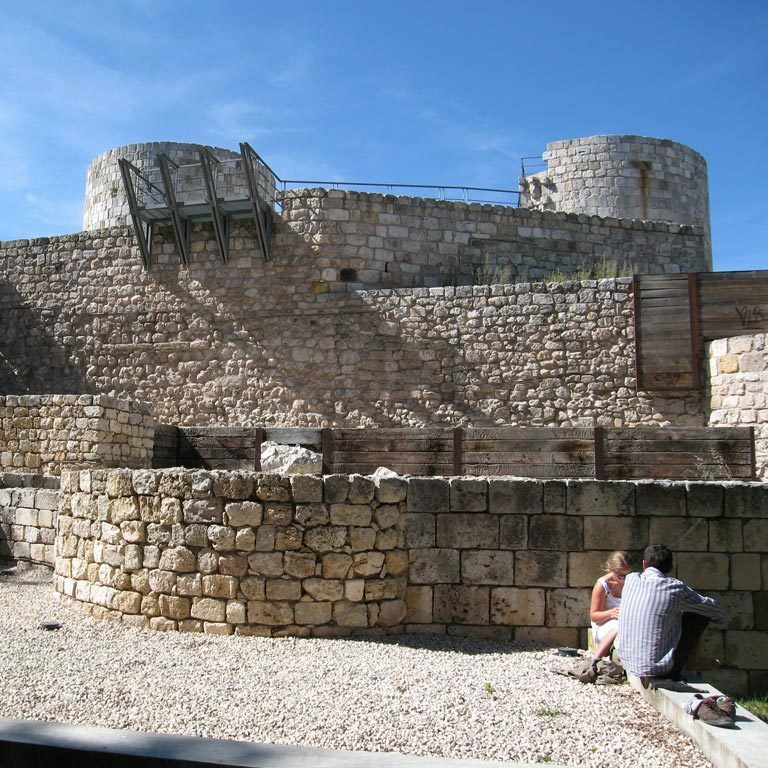 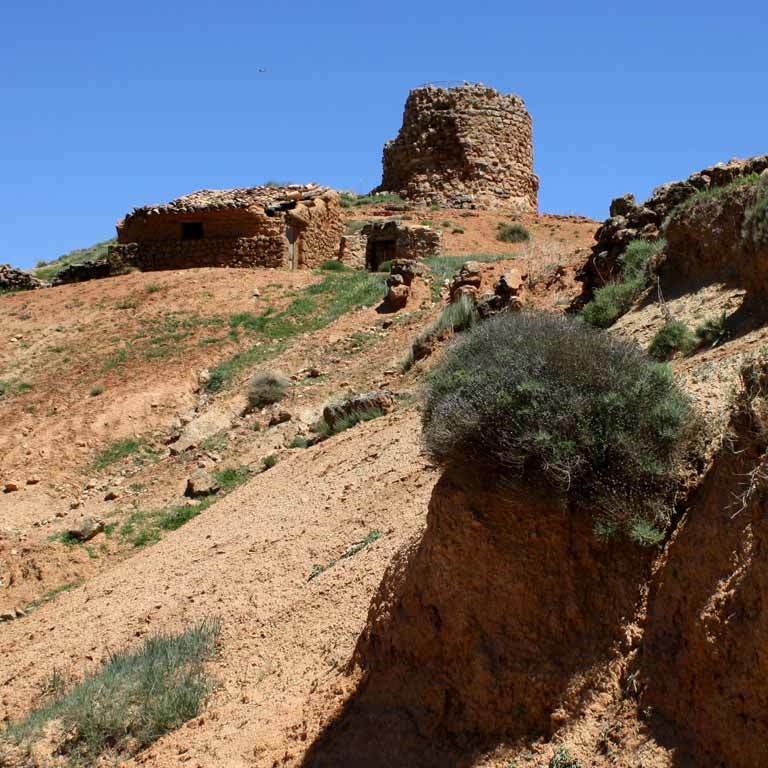 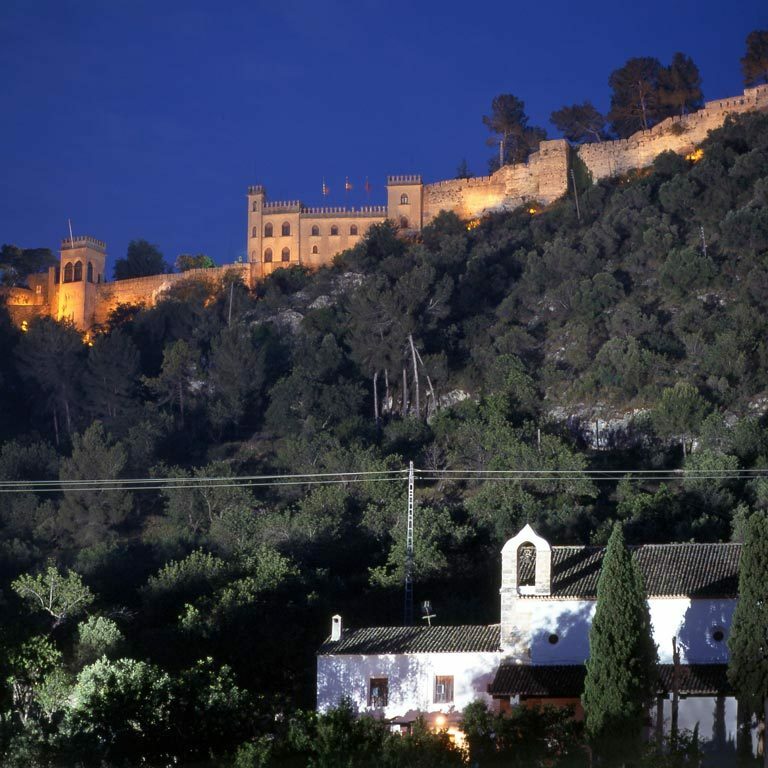 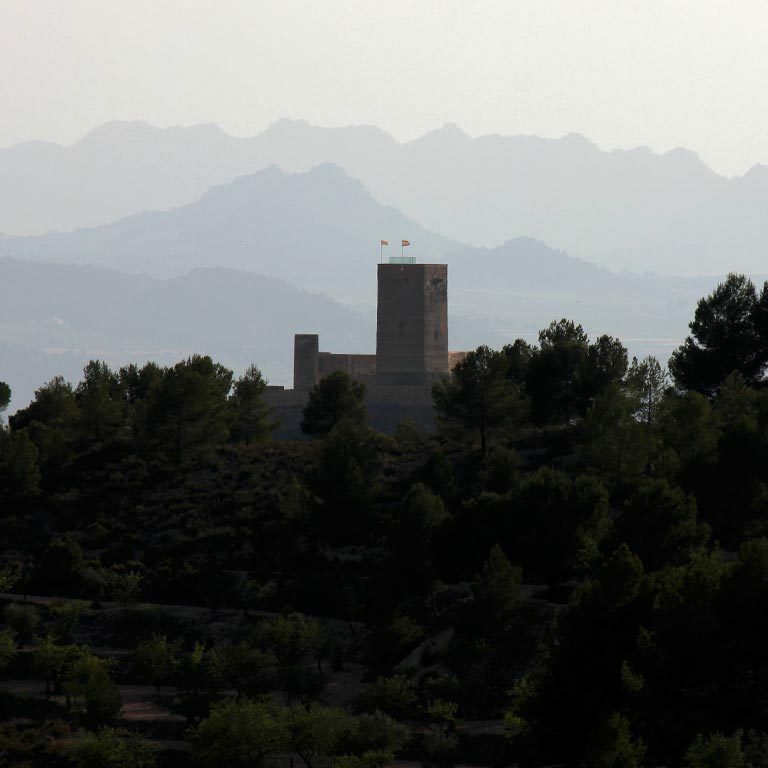 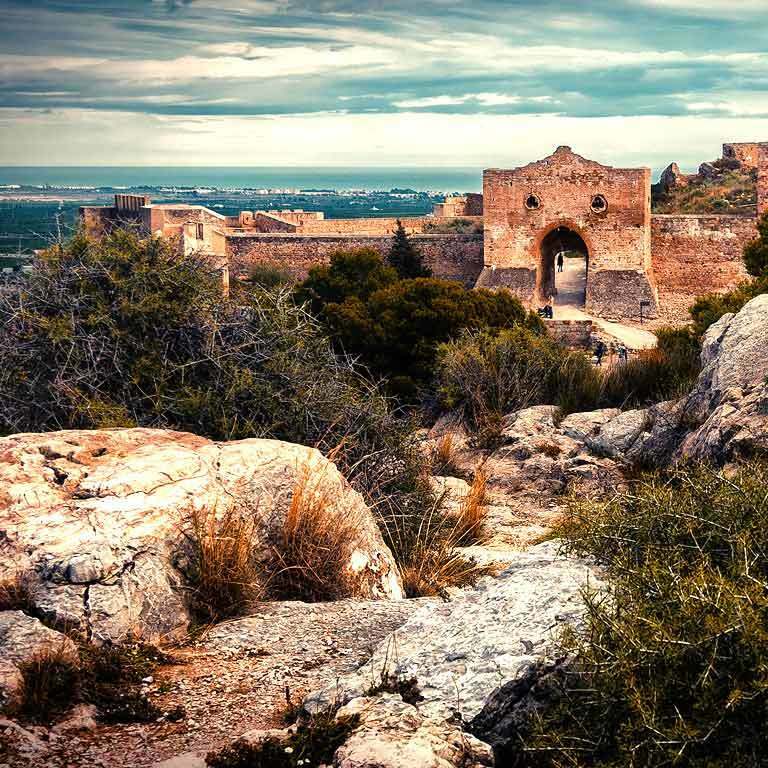 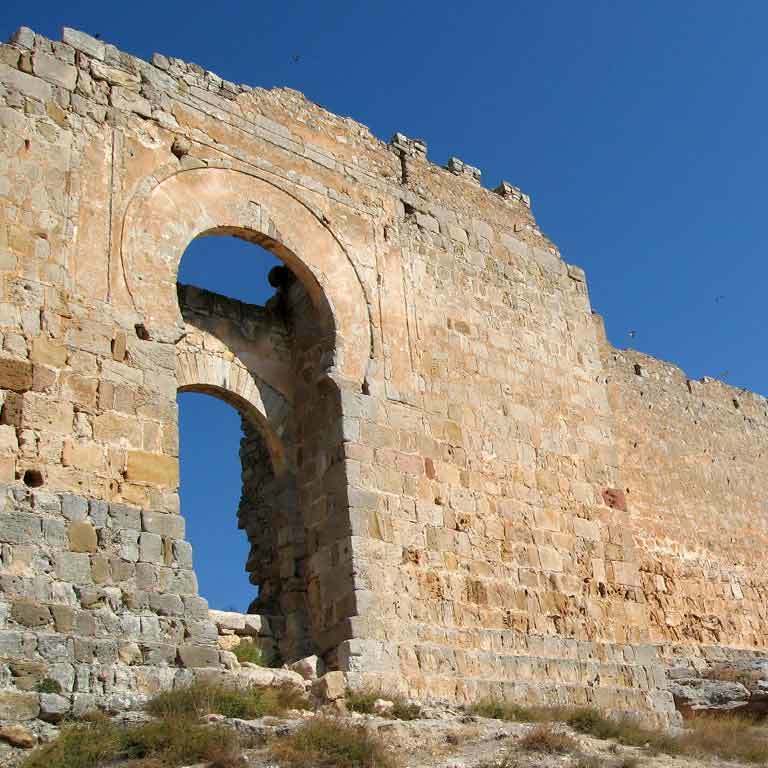 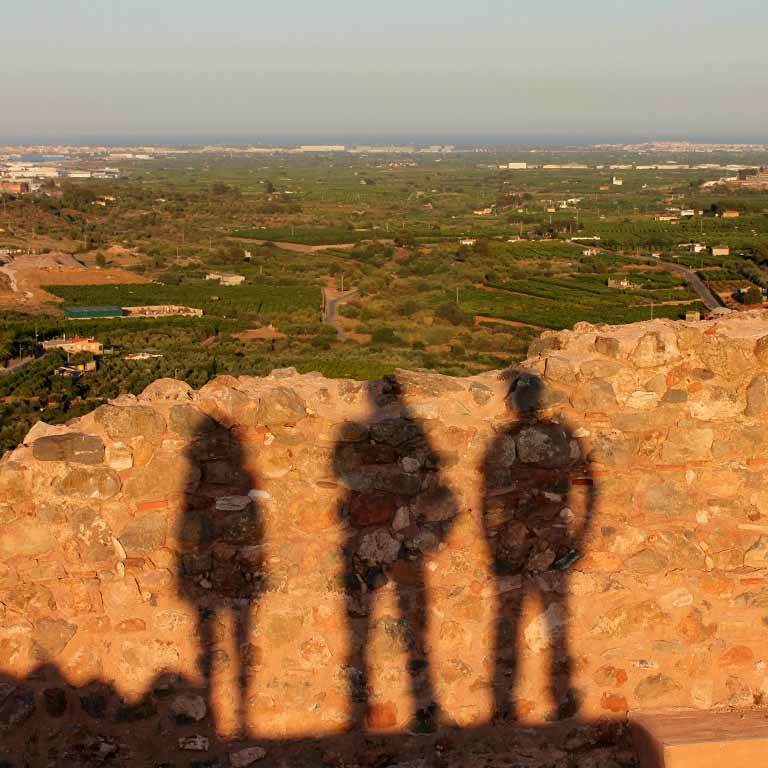 Some of these buildings have been refurbished, while others are in ruins: from the simple remains of an Arabic lookout tower from the 8th century to the most important rock fortress, seeing them is tantamount to stepping into a very important part of Spanish history. 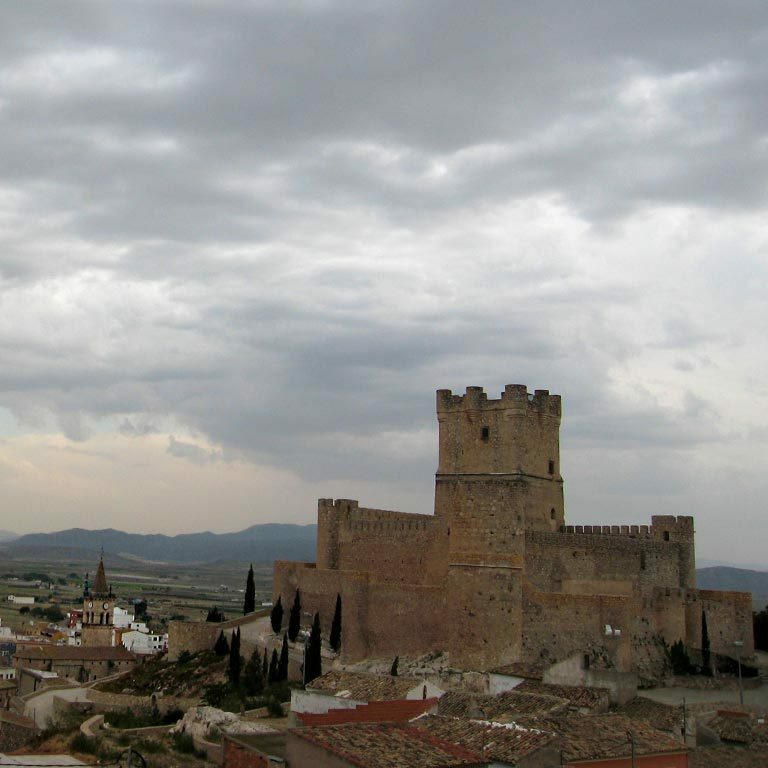 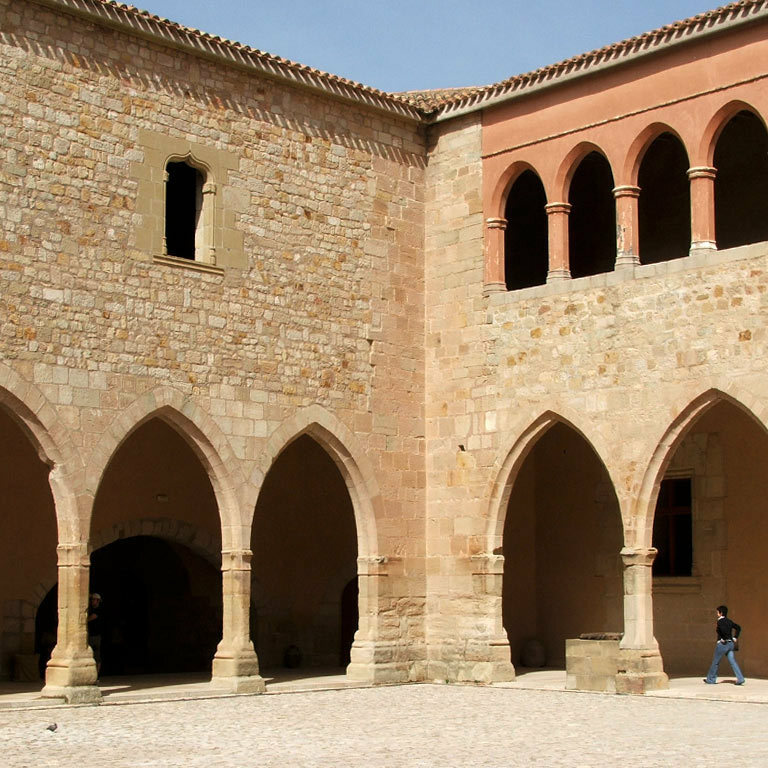 The artistic heritage of medieval origin or linked to the Middle Ages on the Way of El Cid is the only one of its kind in Europe. 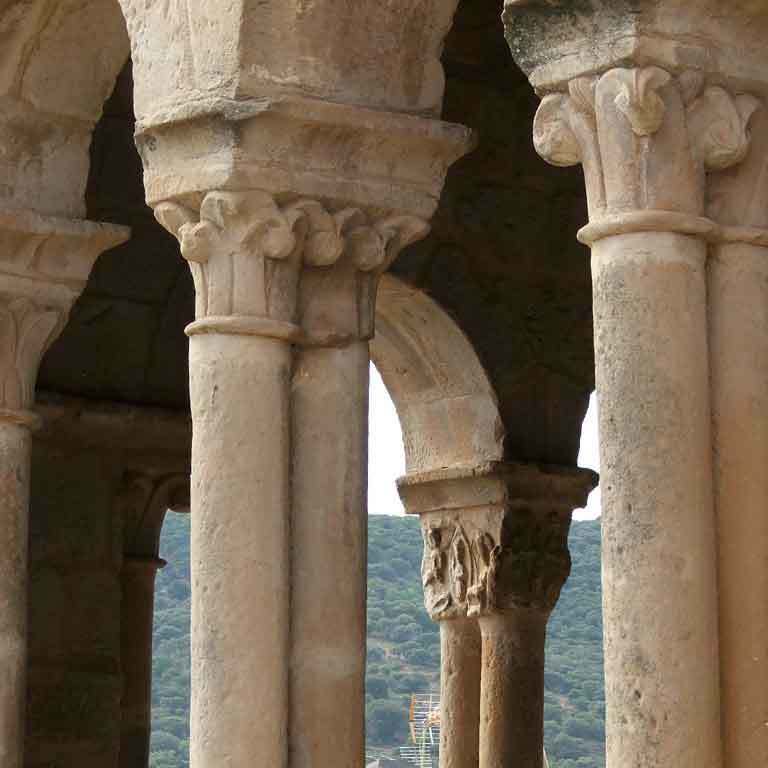 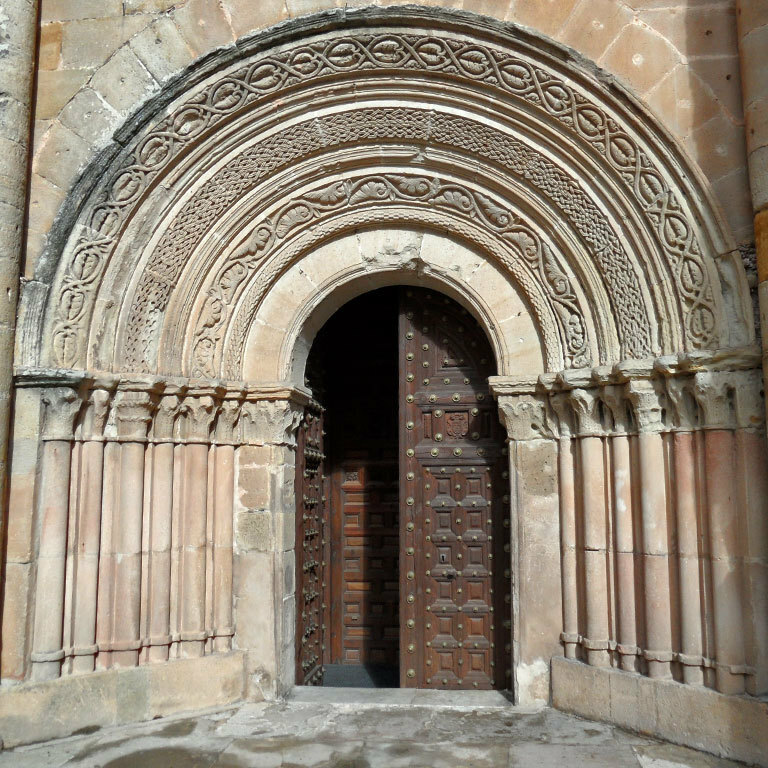 Besides the seven World Heritage Sites, you can find very interesting examples of Visigoth, Romanesque, Gothic, Islamic and Mudejar art. 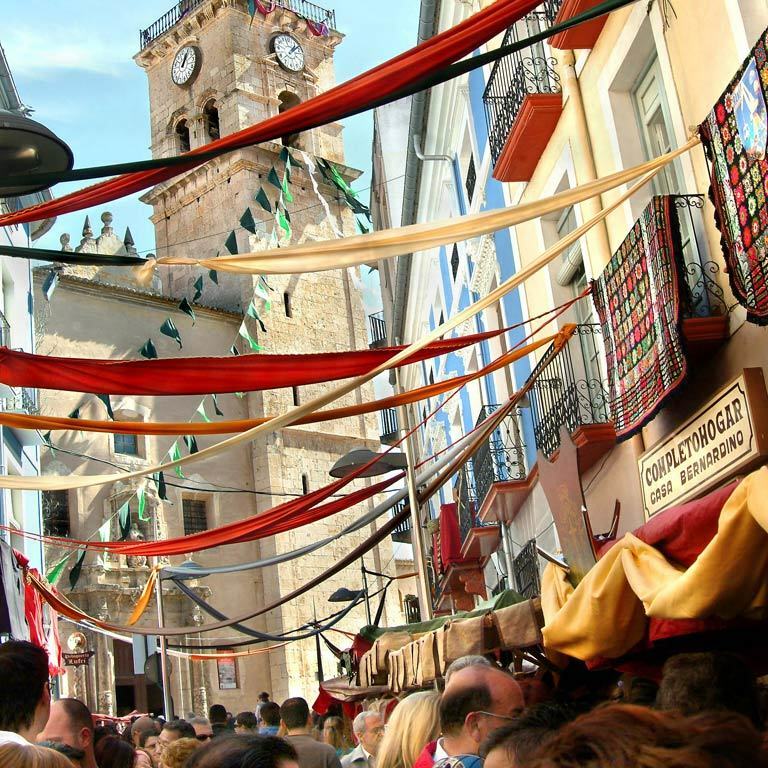 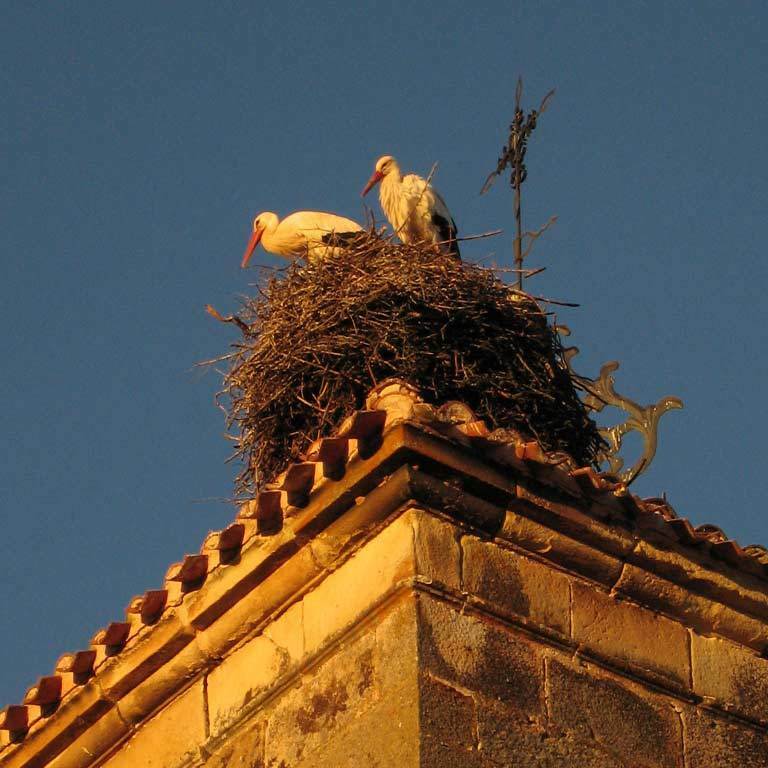 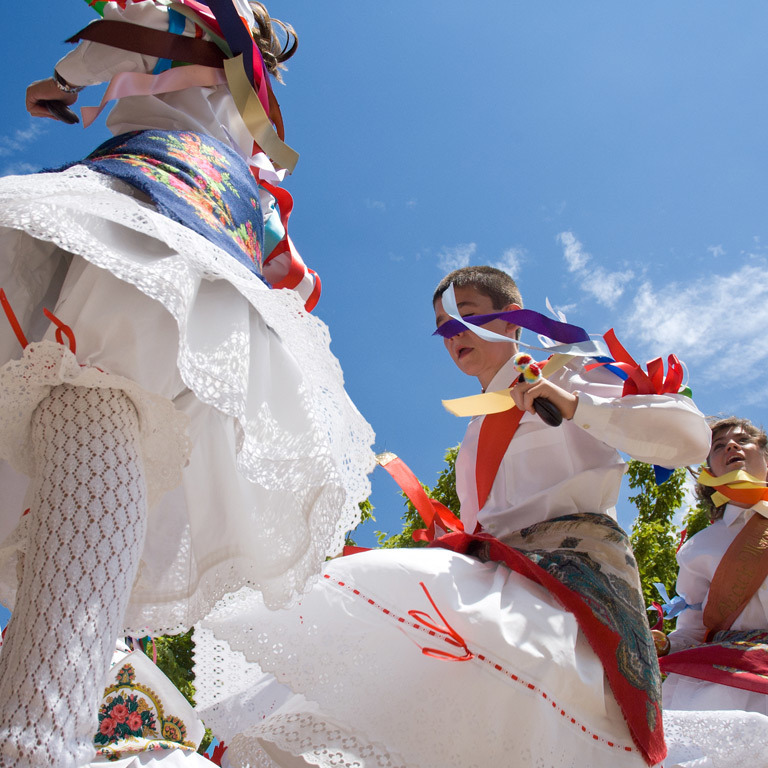 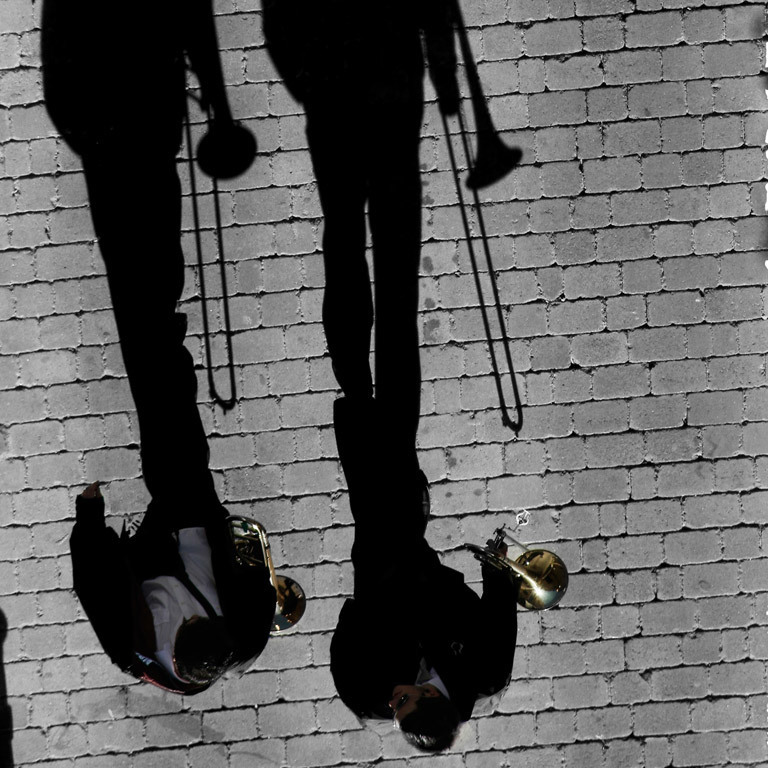 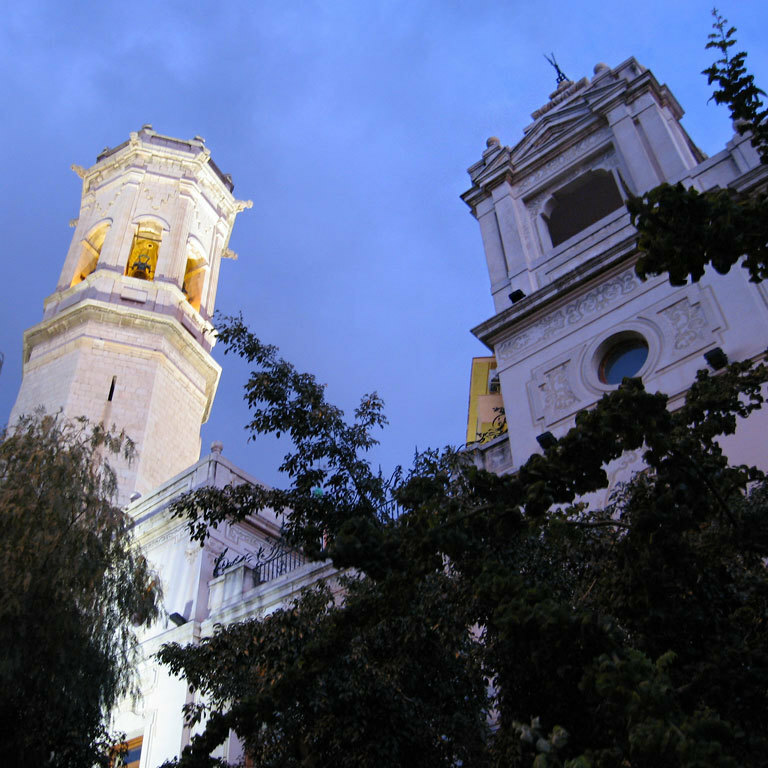 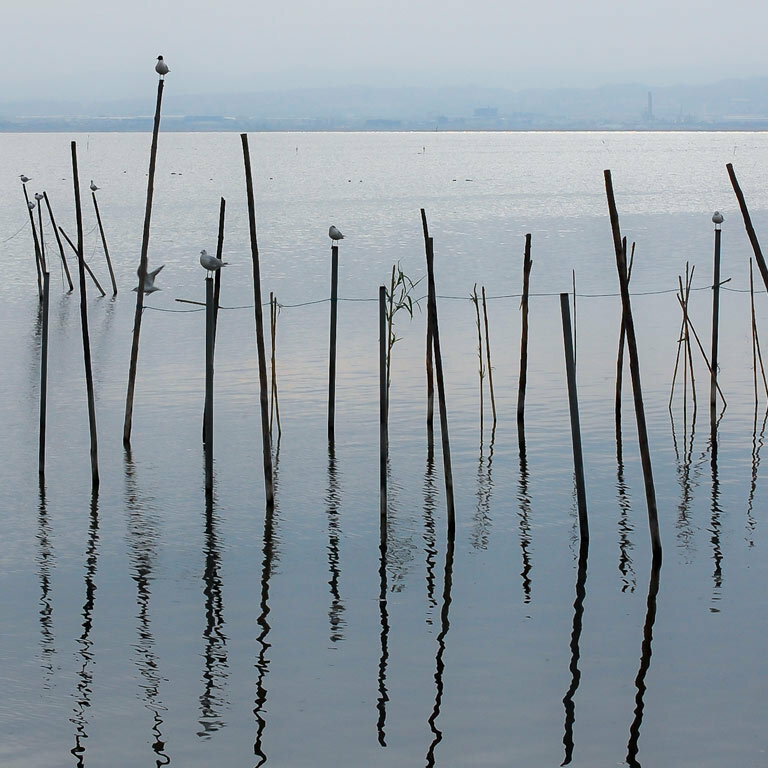 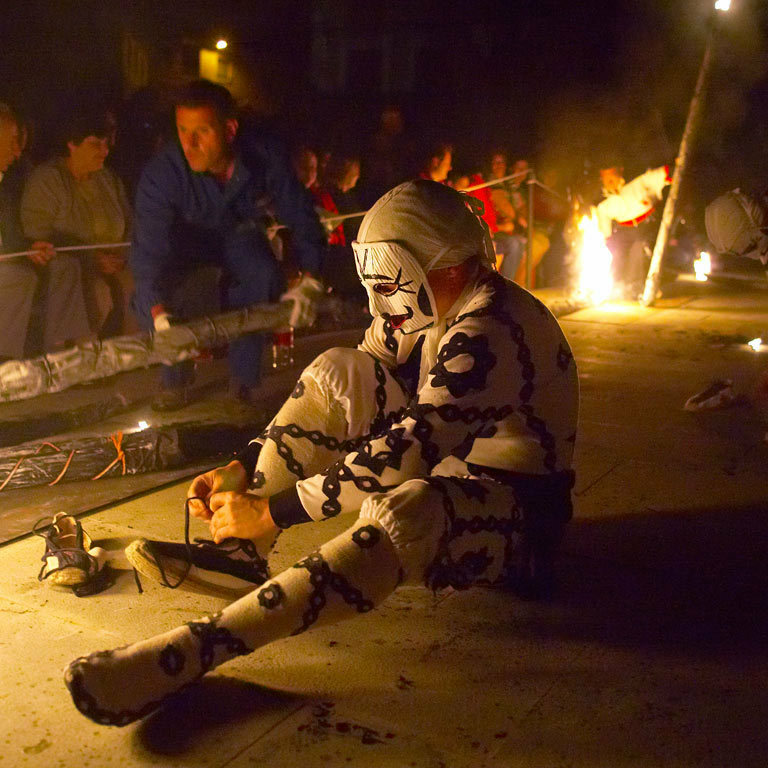 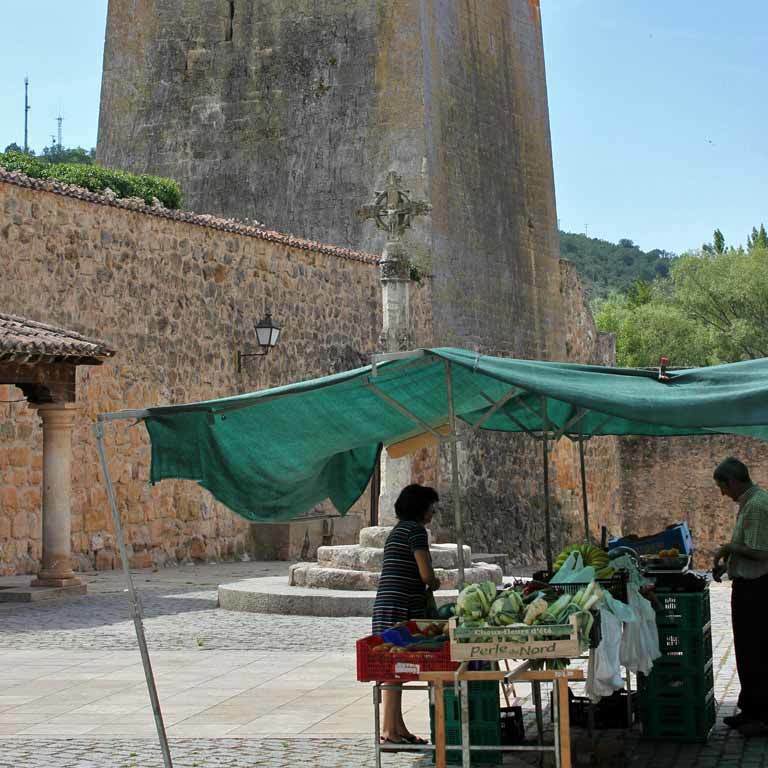 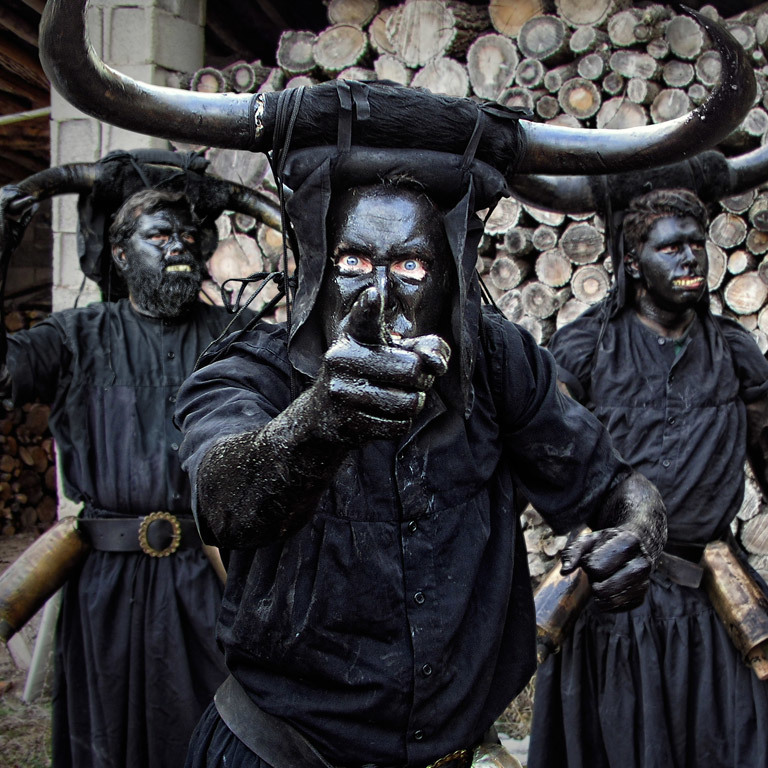 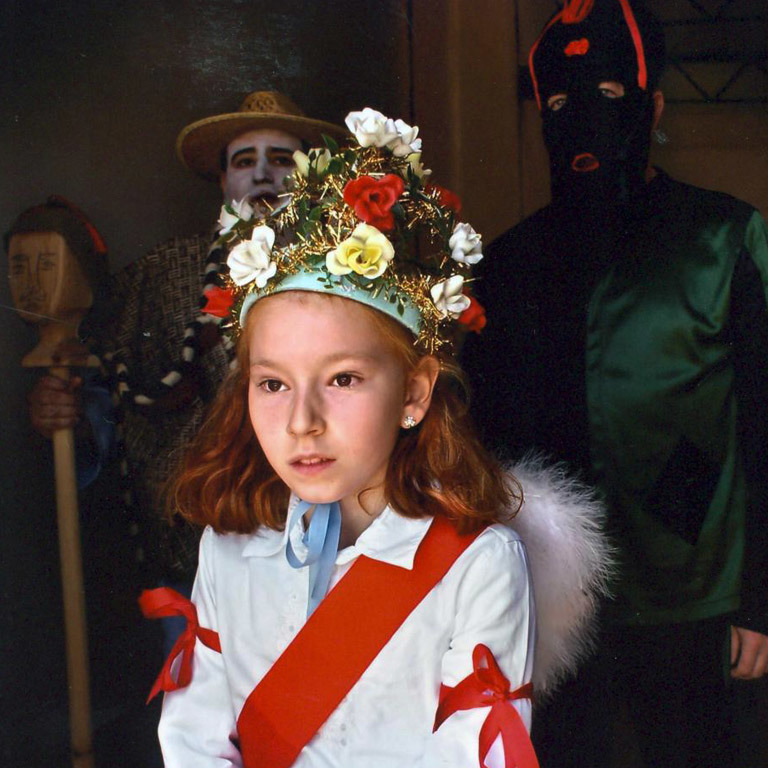 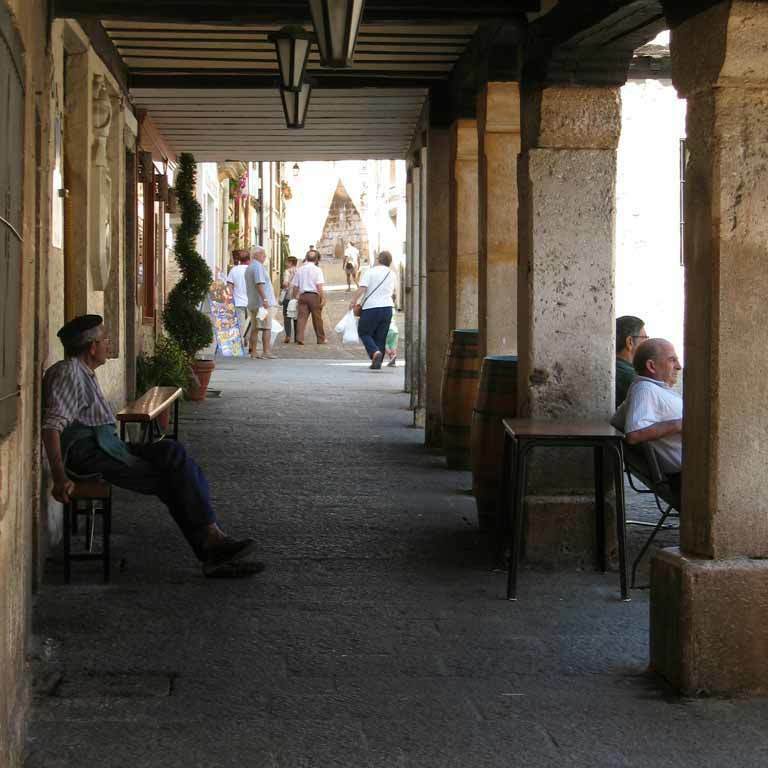 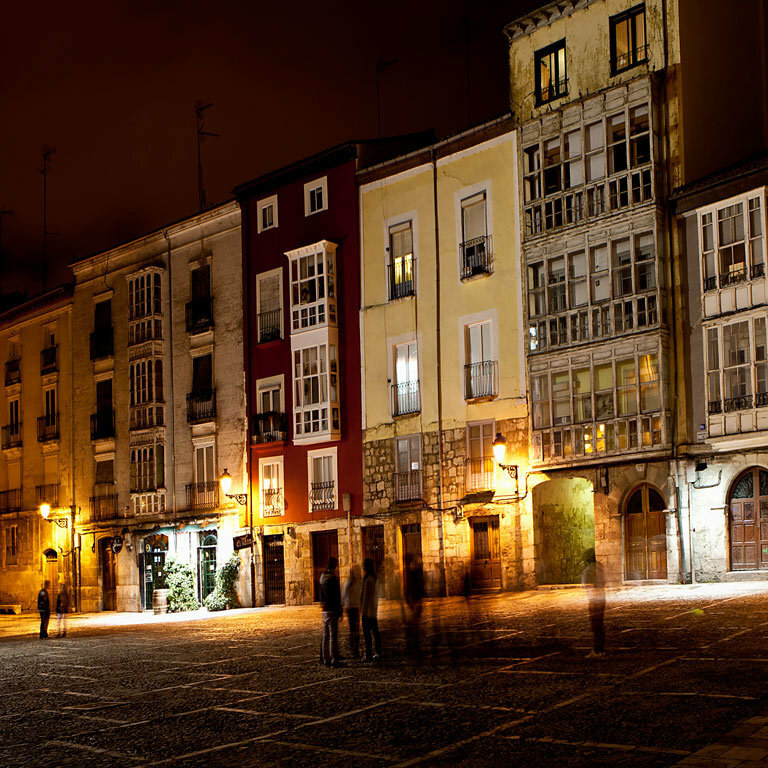 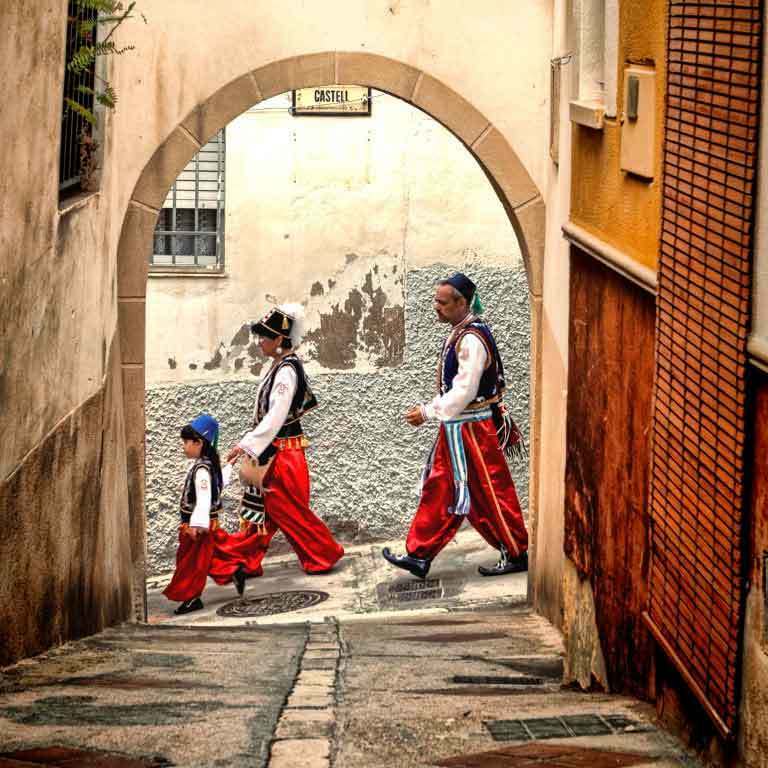 A living route: gastronomy and festivals. 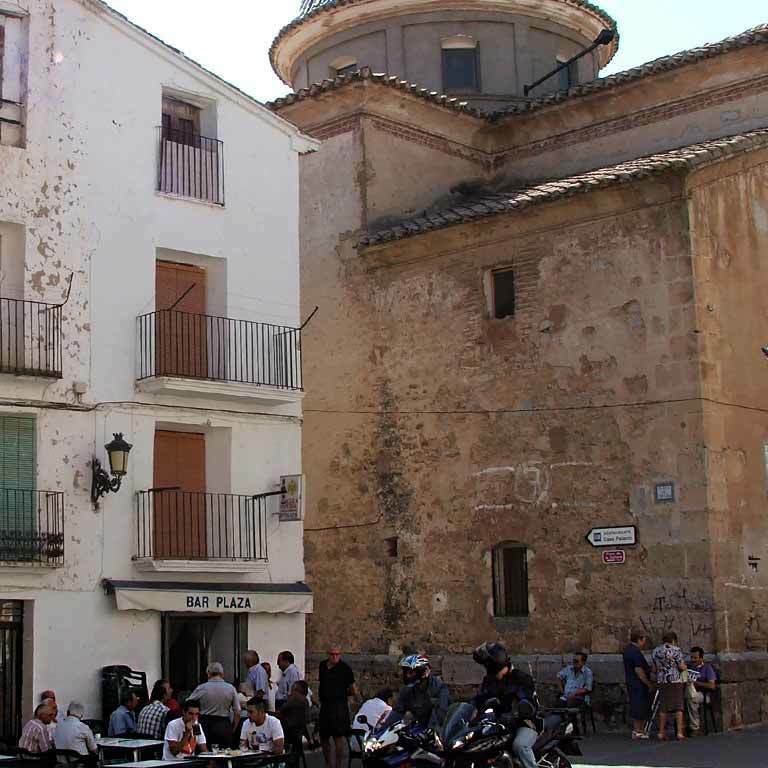 Wild mushrooms, rice dishes, roast kid or baby lamb, game stews, wonderful vegetables, cod, very sweet desserts, designation-of-origin wines, horchatas and tasty citrus fruits... 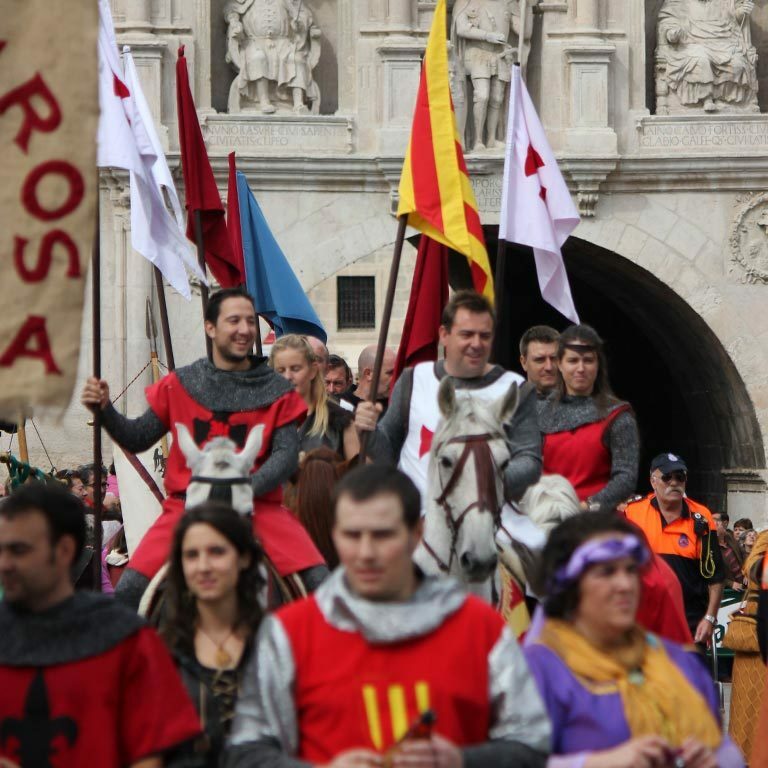 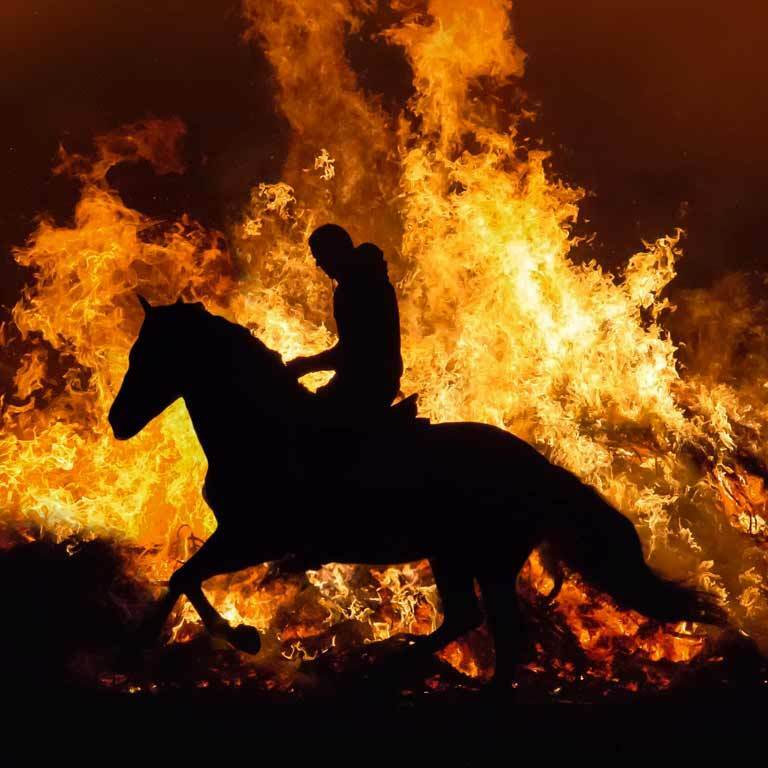 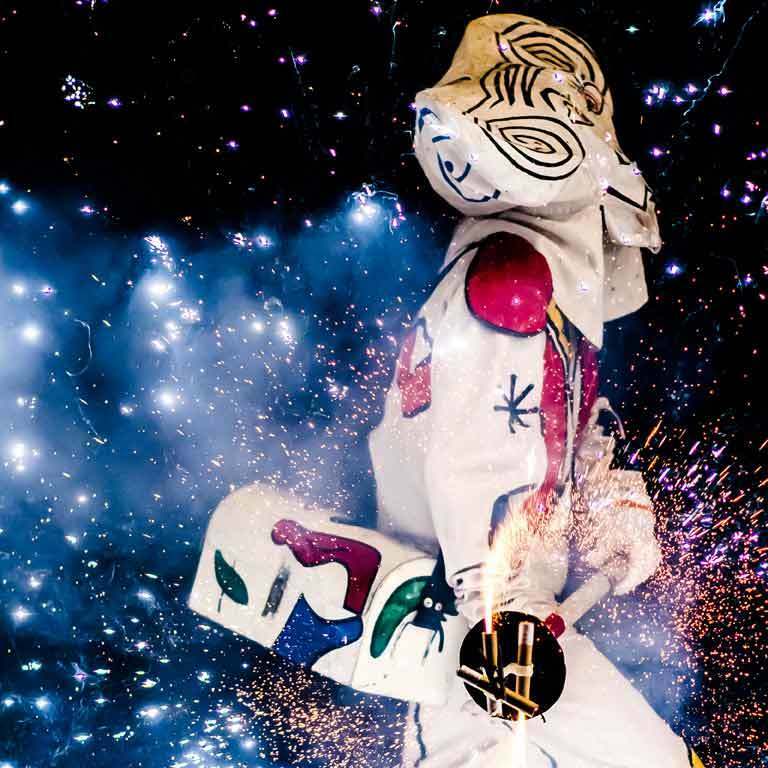 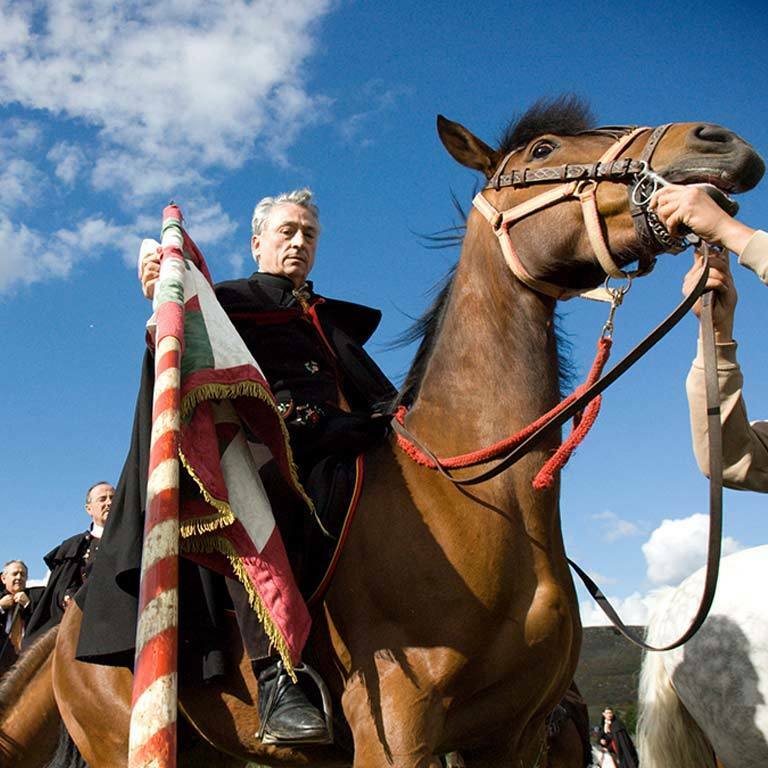 Try any traditional Spanish dish and become part of the festivals: there are 20 festivals of official national and international interest and 9 have to do with the figure of El Cid Campeador.